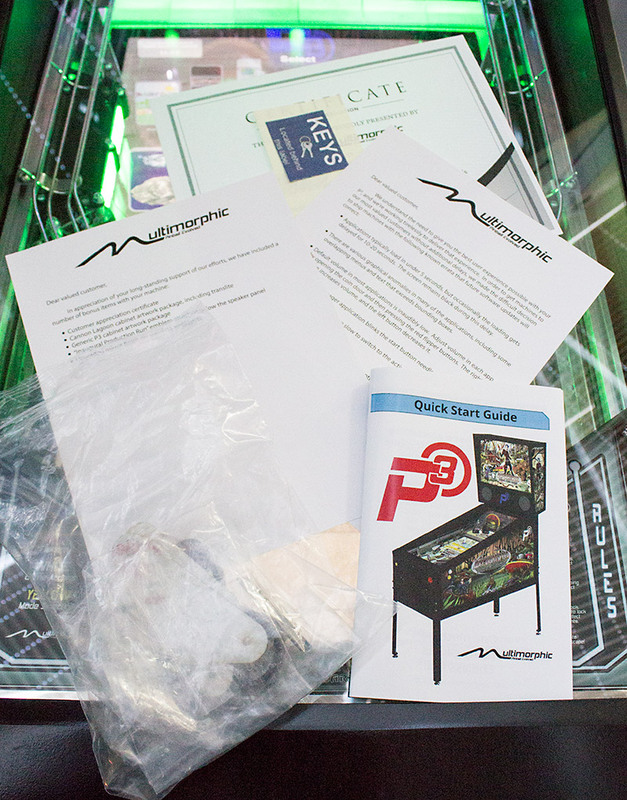 Hello and welcome to this In-Depth Review of Multimorphic’s P3 pinball platform. This review is going to be slightly different to our usual ones because we are, in effect, reviewing two separate but related products. First we have the P3 hardware and software itself, and then we have the games which run on it which in this case include Lexy Lightspeed: Escape from Earth and Cannon Lagoon. 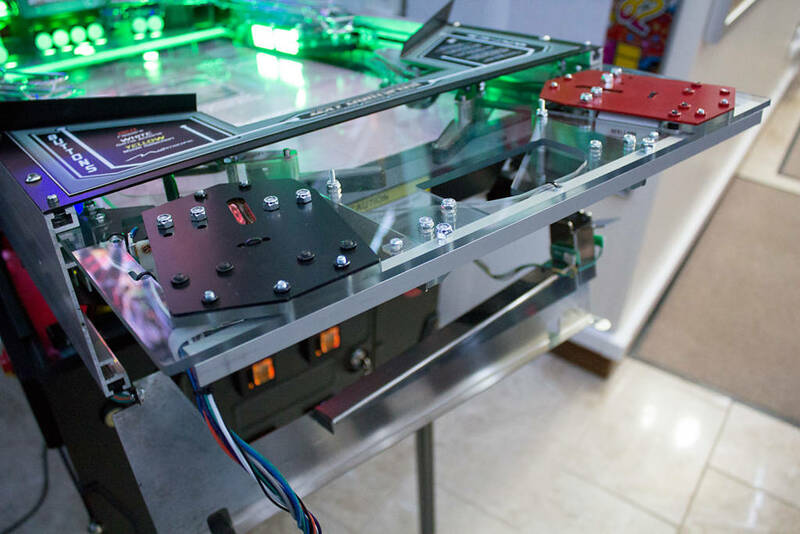 These two games are a combination of hardware (an upper playfield module) and game code, so naturally there is some crossover and interconnectivity with the P3 platform’s own hardware and software. 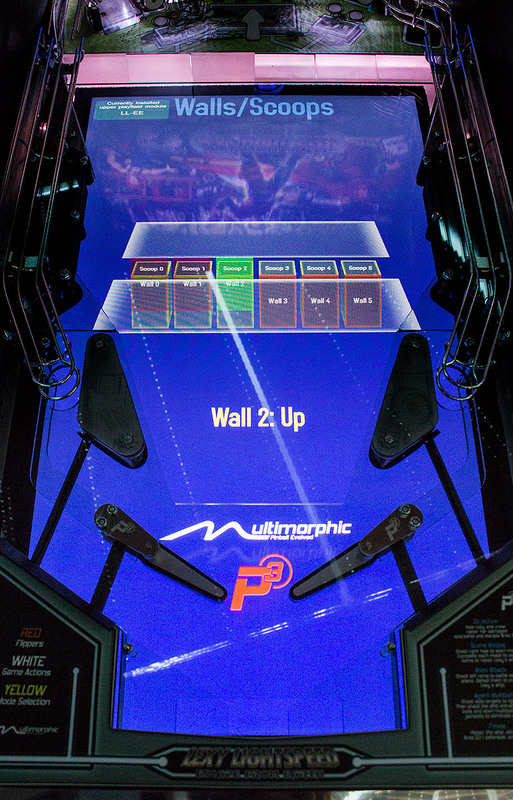 Other P3 games are purely software, but require a specific upper playfield module installed in order to run. We will highlight which parts of the P3 are game-specific and not necessarily included when purchasing the base P3 as we go along. The P3 is Multimorphic’s first full game platform. 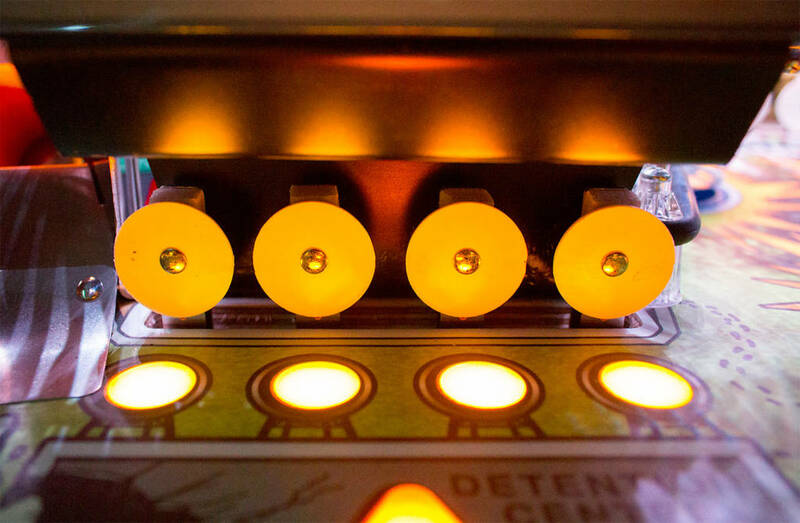 The company began by selling the ubiquitous P-ROC pinball controller which allowed a game’s owner to break it out of the walled-garden of the manufacturer’s dedicated operating system, game assets and code. 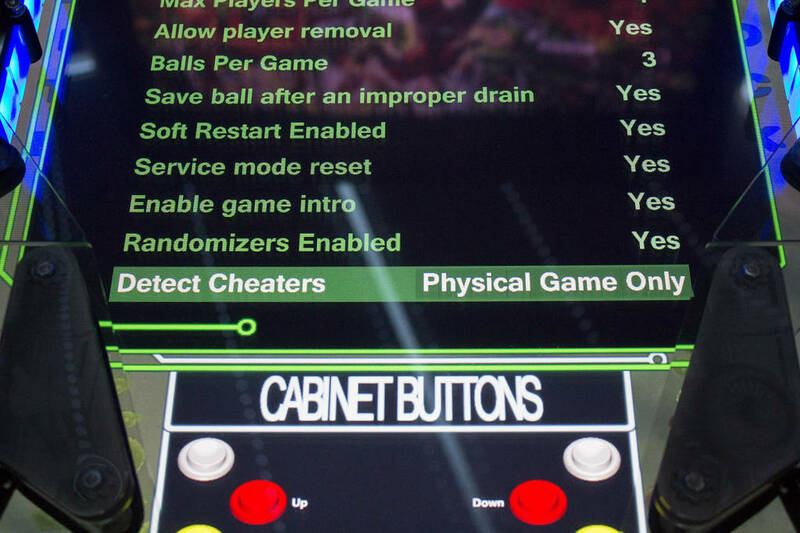 It did this by replacing the CPU board with an open platform where anyone could create sounds, display animations, lighting effects and game rules. Lots of people did, and we were introduced to the likes of Bride of Pinbot 2.0, Demolition Man on Steroids, Cactus Canyon Continued, The Big Lebowski, Buffy the Vampire Slayer and Wrath of Olympus along with many more. After the P-ROC came the P3-ROC – a more advanced product which didn’t use an existing game’s lamp driver, solenoid driver or switch boards, but came with its own set of input/output and LED driver boards using a new bus connection to link them all together. 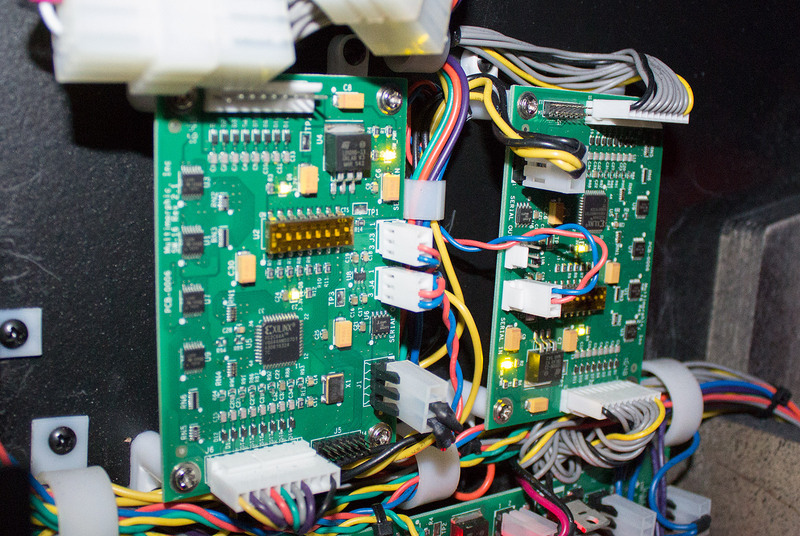 You could add as few or as many boards as you needed to drive RGB LEDs, and add large numbers of switches, solenoids and motors to your game. 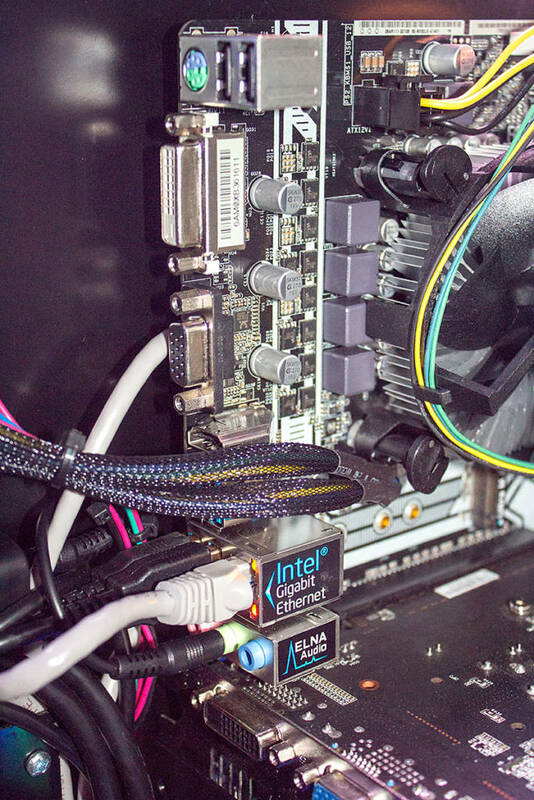 While the possibilities were huge, what was really needed was a way to demonstrate the potential from combining all this hardware. 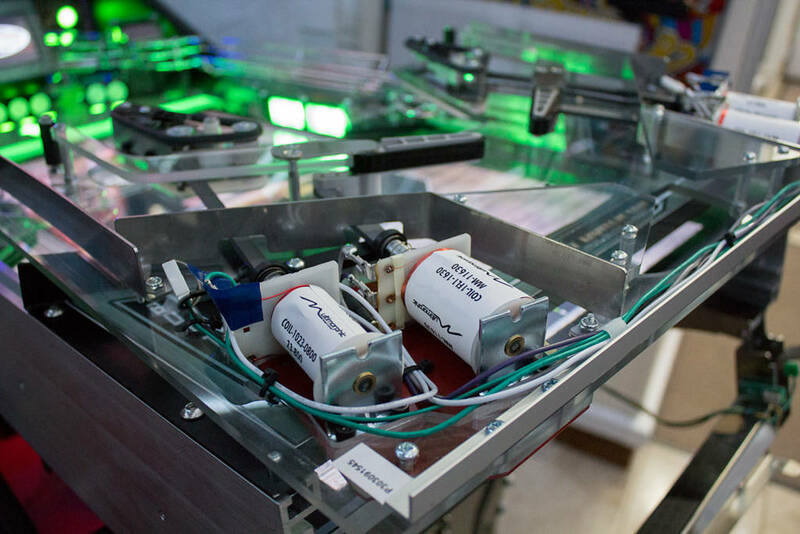 A P3-ROC-based pinball which not only used multiple inputs and outputs, but used them in a creatively different way. 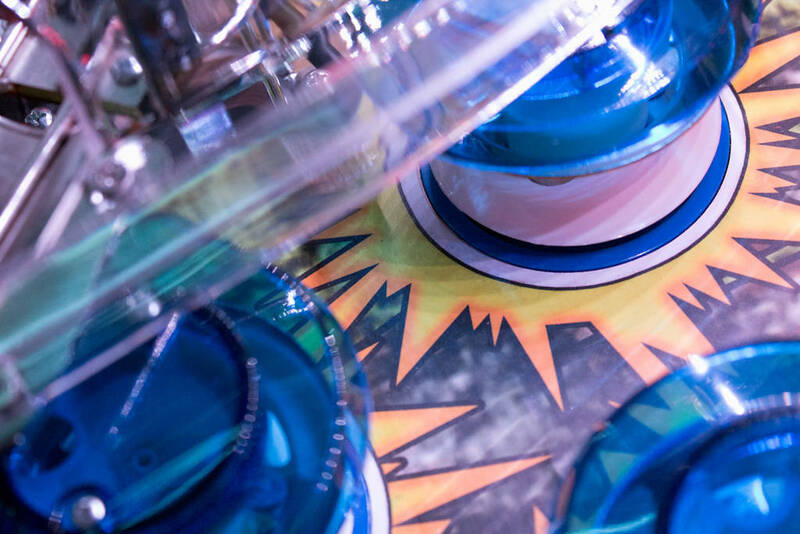 From that point on, the quest to reinvent how pinball was designed and built became Multimorphic’s mantra – some might say “obsession” – and thus the P3 Pinball Platform was created. The core machine would come with starter games, while developers were encouraged to write new games to run on it. 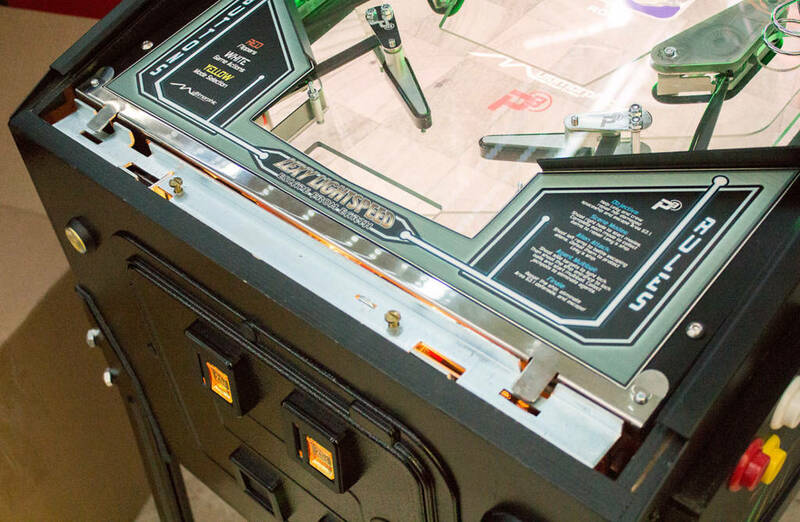 To allow future games to be more than just ‘reskins’ of the starter games, the ability to modify the hardware was added by making the upper part of the playfield into an interchangeable module. This meant most of the game’s shots, targets and toys could be customised for each game if the designer wanted to go that far. If not, they could keep the hardware and change the theme, virtual targets, sounds, music, lighting and rules. 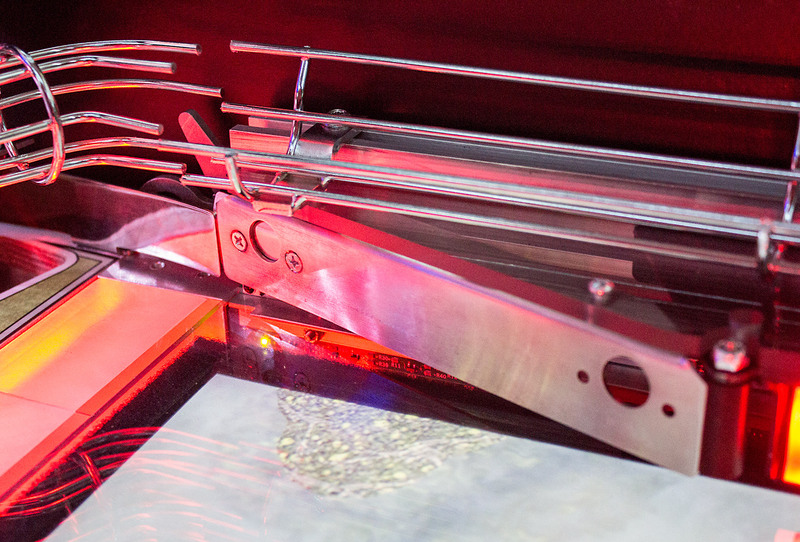 We covered the initial development and subsequent changes in some depth, but somehow getting the machine into production was always just over the horizon. 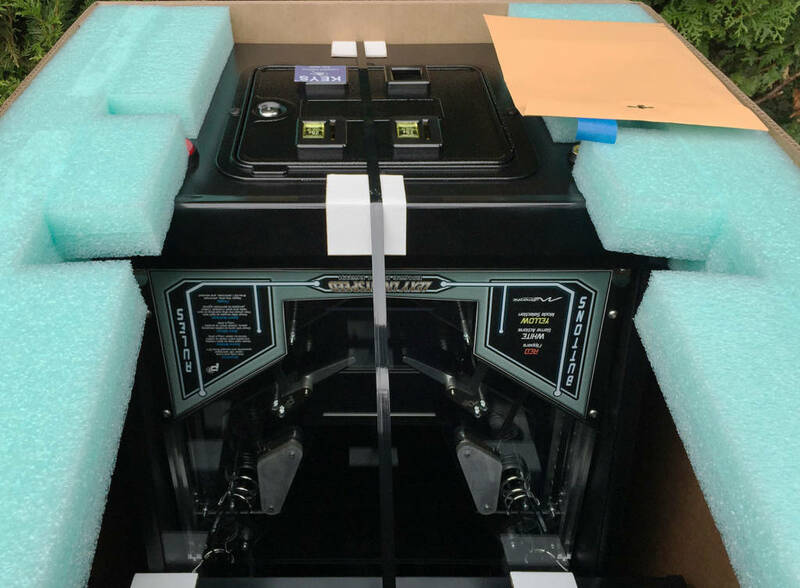 Now though the first run of P3 machines has been made, and we are reviewing one of the first to come out of the contract manufacturer’s factory in Austin and arrive at a buyer’s home. 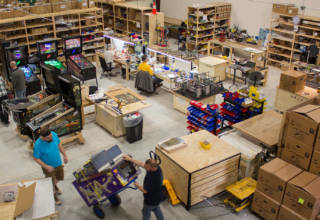 The game was well-packed – boxed, strapped to a wooden pallet and plastic-wrapped for the journey from Dallas – Fort Worth Airport. 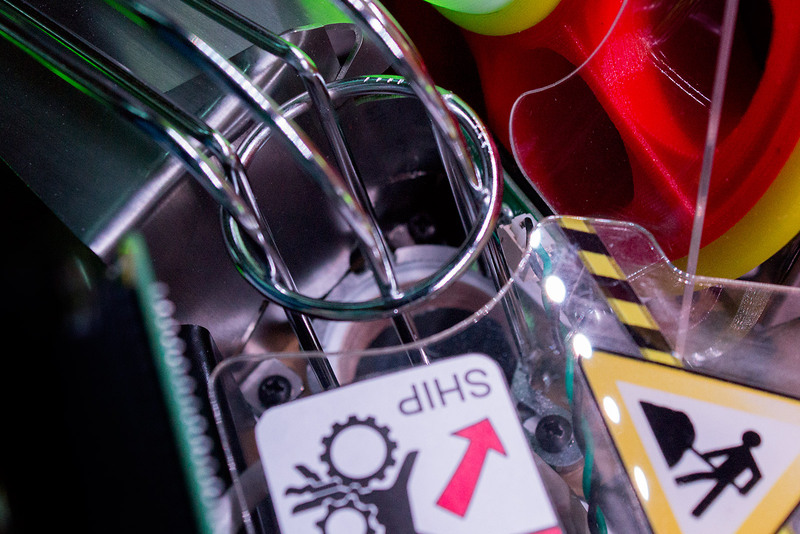 Inside, the large foam pieces had done their job, keeping the machine inside protected and damage-free. The keys for the game were under a sticker on the coin door. An envelope containing documentation and a few goodies was also included. After removal from the box, the game was set up. Earlier prototype versions had a custom design of legs, but this production model was far more conventional. 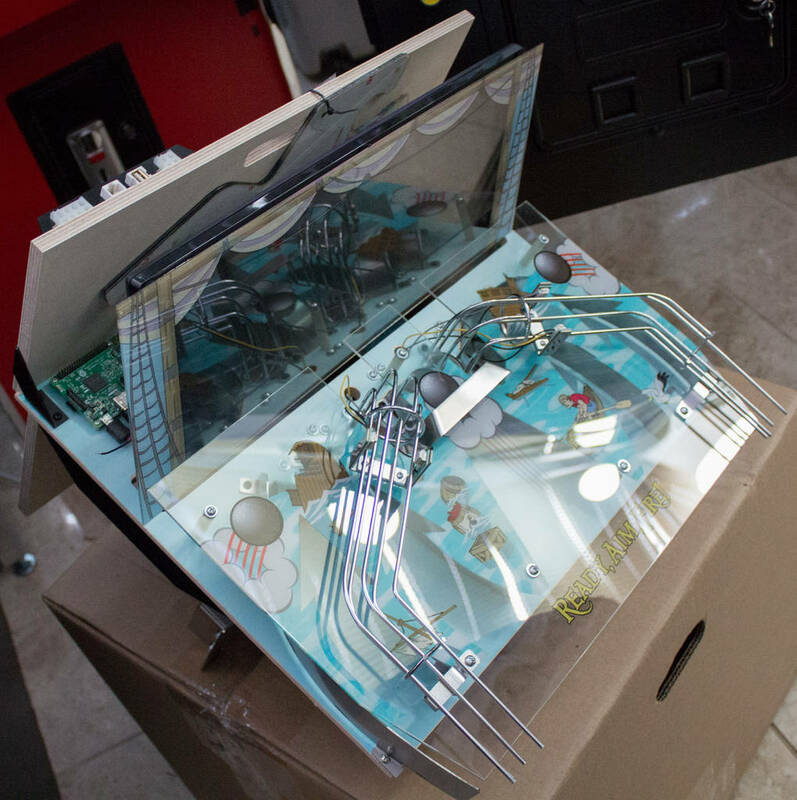 Let’s start with the cabinet and backbox builds before we open them up, look inside and then move on to the playfield features. The front of the cabinet is pretty plain. It is devoid of any artwork and so just features the coin door, the start button and the ball launch button. This is a standard US-style two-slot 25¢ coin door. There’s no cut-out for a bill acceptor or card reader device, and no headphone jack or volume control. It’s worth pointing out here that speaker volume can be controlled using the flipper buttons if that option is enabled in the settings, but a the lack of a headphone jack is surprising unless there are plans to add support for Bluetooth headphones. 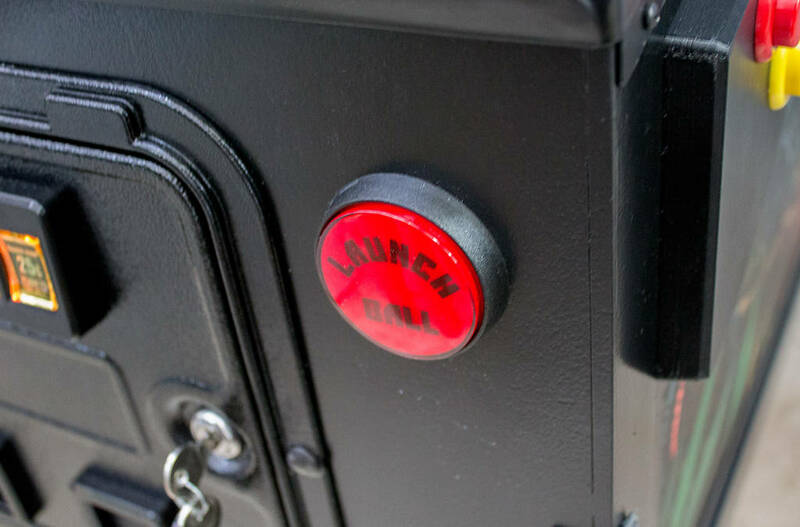 On the front right is the ball launch button. The ball is always served from one or more vertical up-kickers at the back of the game. So, there is no shooter lane and thus no possibility of a manual plunger or any strength-related skill shots. 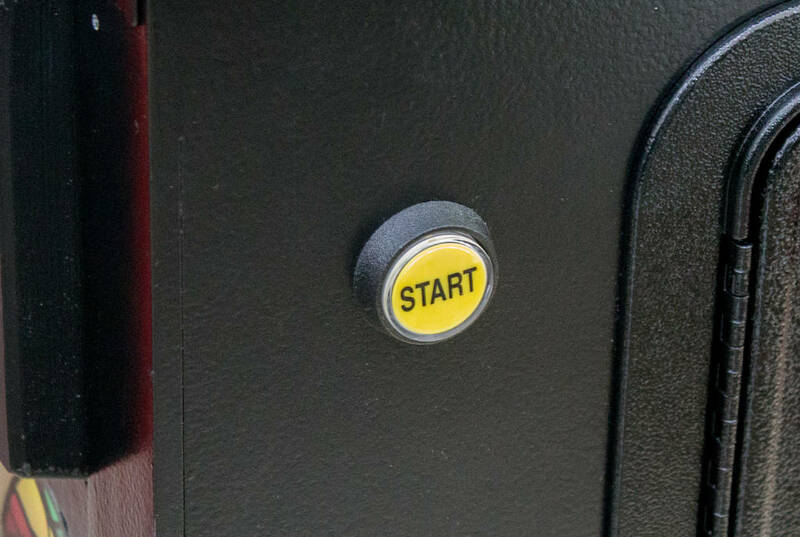 Over on the opposite side, there is just a single illuminated start button – no separate tournament start button here. 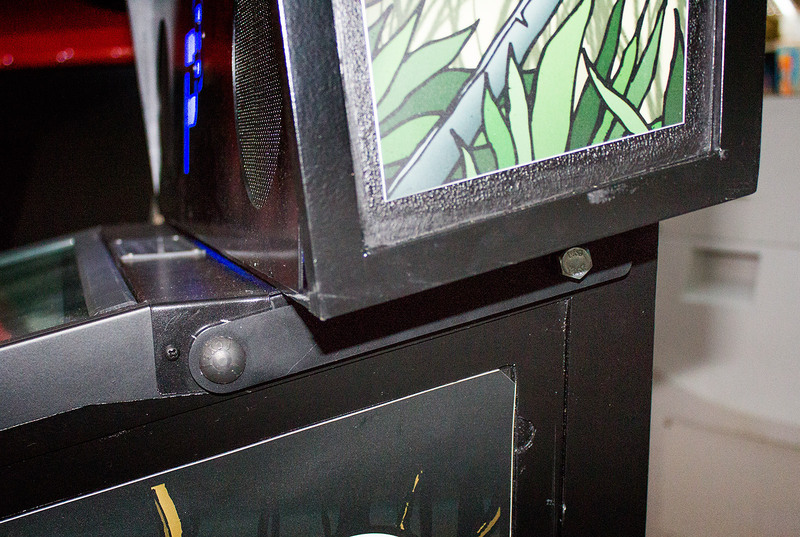 The button extends outwards which makes it easy to accidentally knock and start a game should you happen to be leaning on the machine or brush it when walking past. Because the P3 is a multi-game platform, any physical artwork needs to be able to be either generic-enough not to refer to a specific game title, or easily swappable when the game is changed. The lock bar is a standard design, painted in black with a semi-gloss smooth finish which matches the side-rails. There is no ‘action button’ on the lock bar. 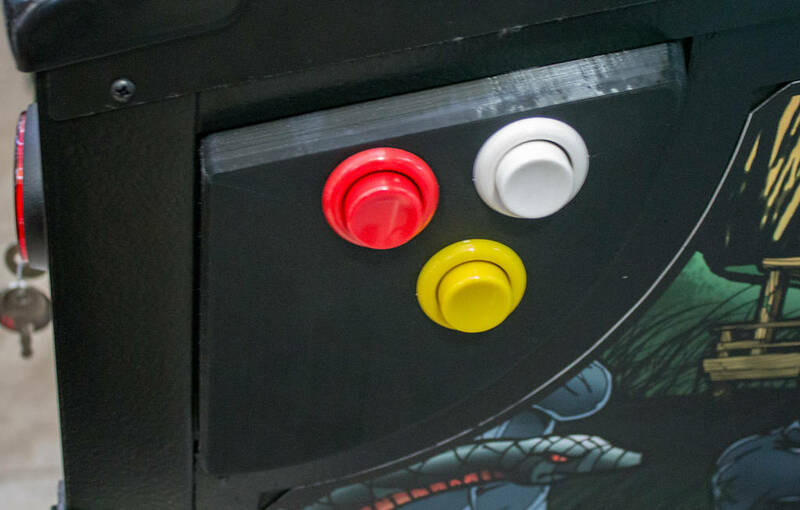 That’s because any game-specific extra buttons have been moved to the cabinet sides alongside the flipper buttons. 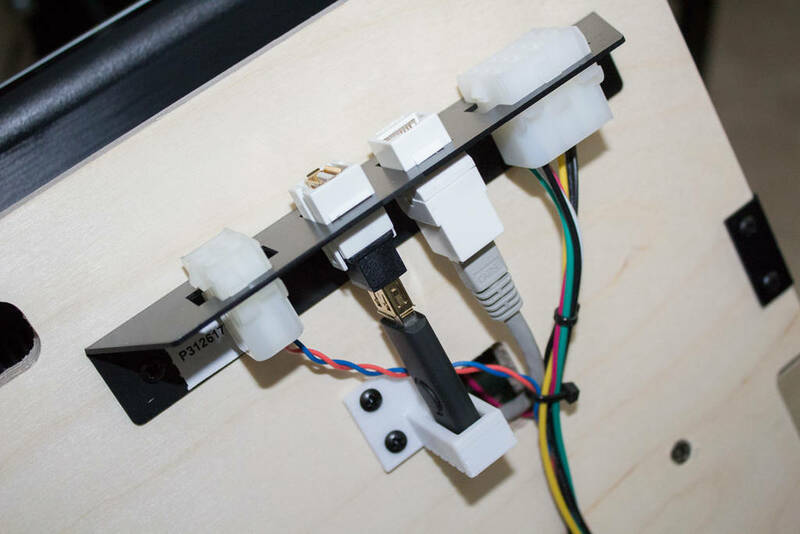 This ‘button box’ is swappable if a certain game requires additional controls and could include a track ball, joystick/joypad or even a trackpad or fingerprint reader to identify players. As supplied though, the P3 comes with three buttons on either side – a red flipper button and two assignable auxiliary buttons in white and yellow. Despite being raised from the cabinet surface, the flipper button falls naturally under the flipper fingers. The auxiliary buttons less so, but no doubt we could get used to them. 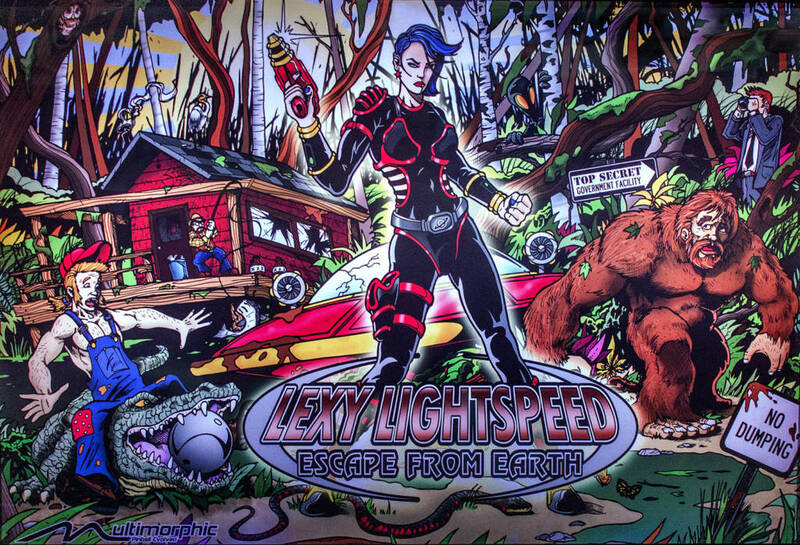 We mentioned earlier about game-specific artwork, and here we have the side art for Lexy Lightspeed: Escape from Earth. There are other artwork packages available for different games as well as a generic P3 package. If you change games and no longer want the Lexy Lightspeed artwork, it is easily removable since it is printed on a magnetic sheet which attaches to the cabinet side. 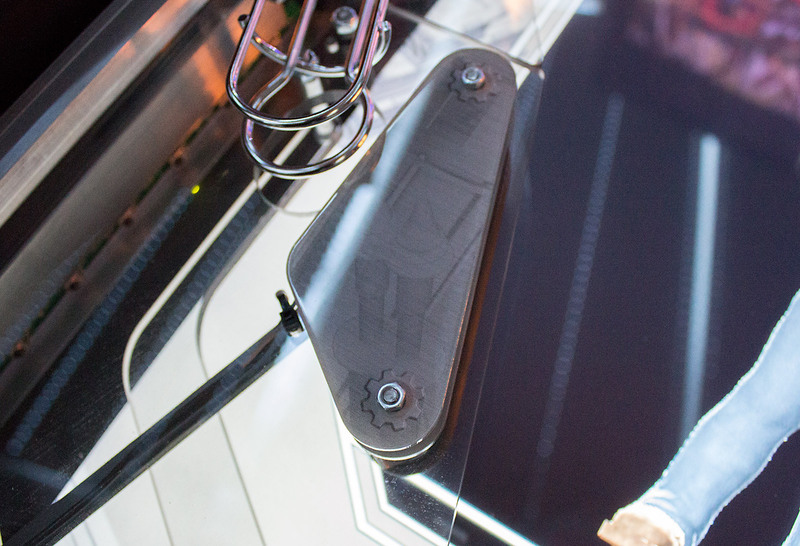 The magnetic material is pretty weighty and while it’s reassuring from a durability point of view, that weight could be a problem in the future. 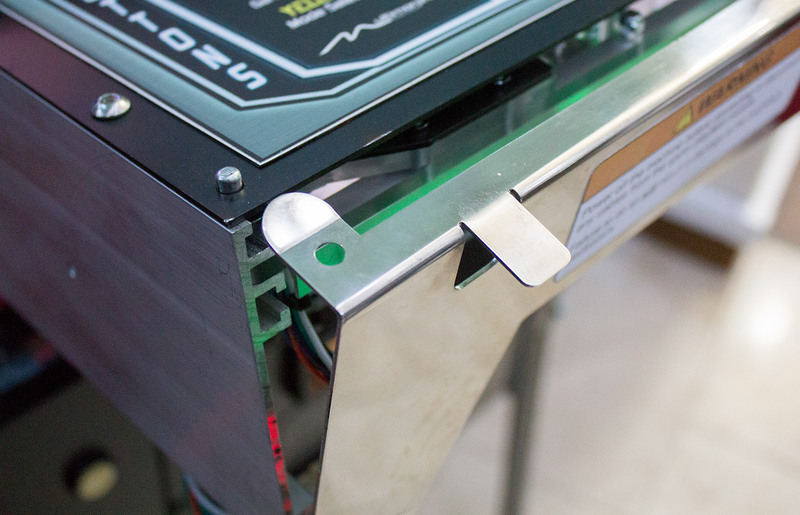 The decals were already starting to sag a little around the top edge on our review machine. 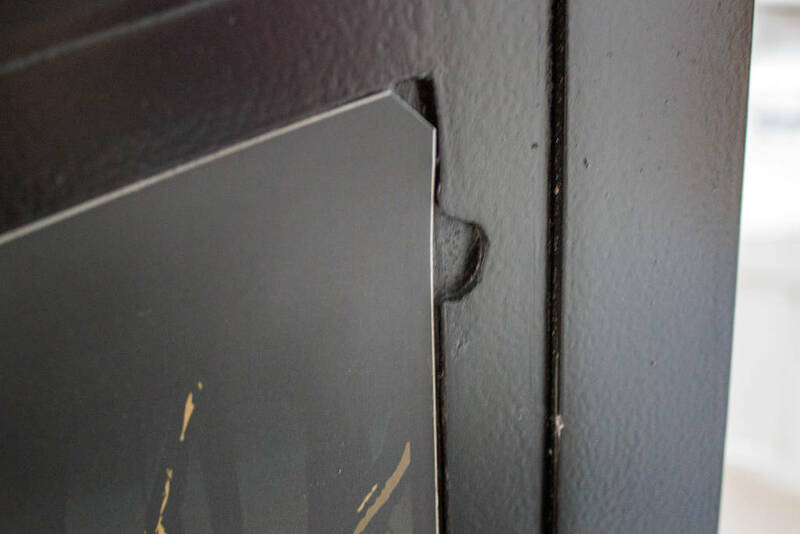 If you do want to remove them it’s pretty simple thanks to cut-outs at the back corner where you can get your fingernail under the magnetic material, while the corners are cut off too. Although we are examining the P3 in this part rather than Lexy Lightspeed, it’s a convenient time to check out that game’s backbox artwork panels which also sit within a frame with finger cut-outs to aid removal. Of course with removable art panels comes the danger someone will simply peel them off and steal them. An additional frame is available which sits over the edges of the panels to prevent this. 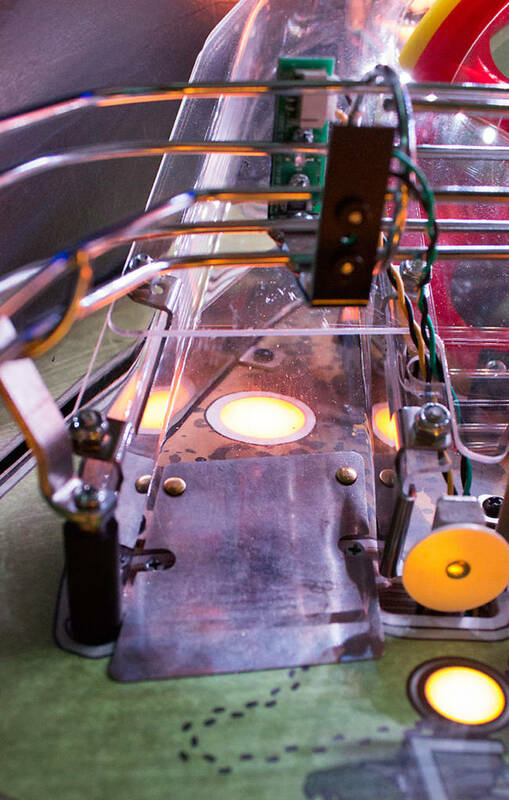 We didn’t have them on this review machine but have seen them fitted on sample models at pinball shows. They are a little chunky but nothing too obtrusive. And so to the front of the backbox which is dominated by the translite. 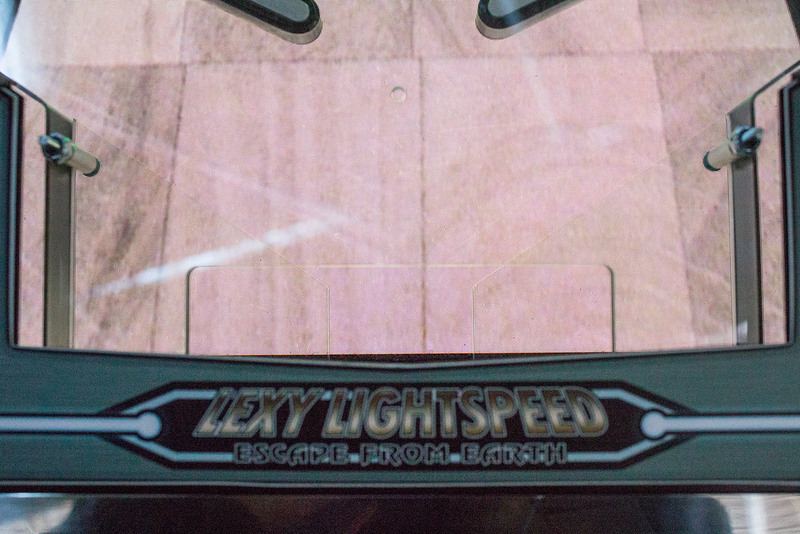 Again, this is game-specific and a generic version is also available, but here’s the Lexy Lightspeed translite. As you can see it is pretty well illuminated, although the bottom quarter is slightly darker than the rest. We will see why that is a little later. The white layer on the reverse is a little thinner than usual but seems adequate in preventing hot spots from the backlight LEDs. 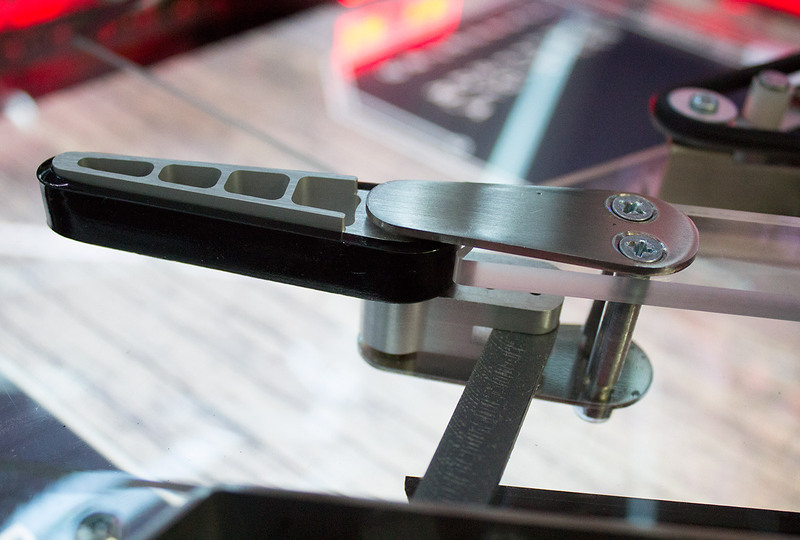 The translite is held in place by traditional-style black plastic edging pieces. Although they are reasonably quick to remove and replace, we suspect if you are changing games frequently it would be worth investing in a second piece of glass with edging pieces so you can just swap the whole unit rather than try to swap translites each time. 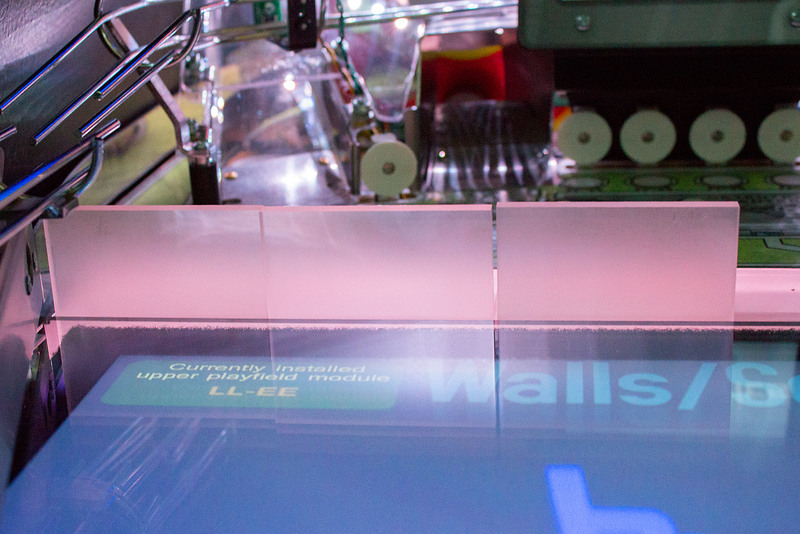 Maybe a frame could be developed which allowed you to hang unused translites on the wall and just slot them in when needed? Below the translite is the speaker panel. Because the P3 doesn’t have a display in the backbox there is a large illuminated P3 logo sitting between the stereo speakers. 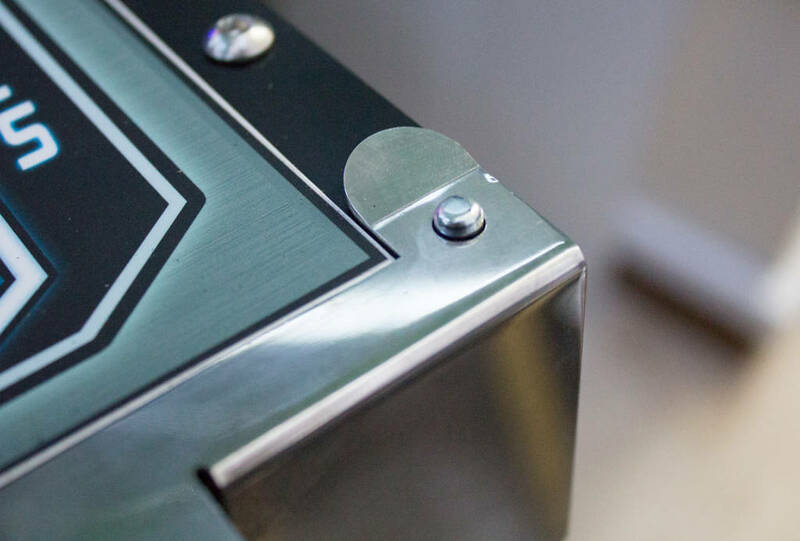 This particular P3 was one of the earliest to come off the production line – a fact marked by a special collector plaque at the base of the speaker panel. 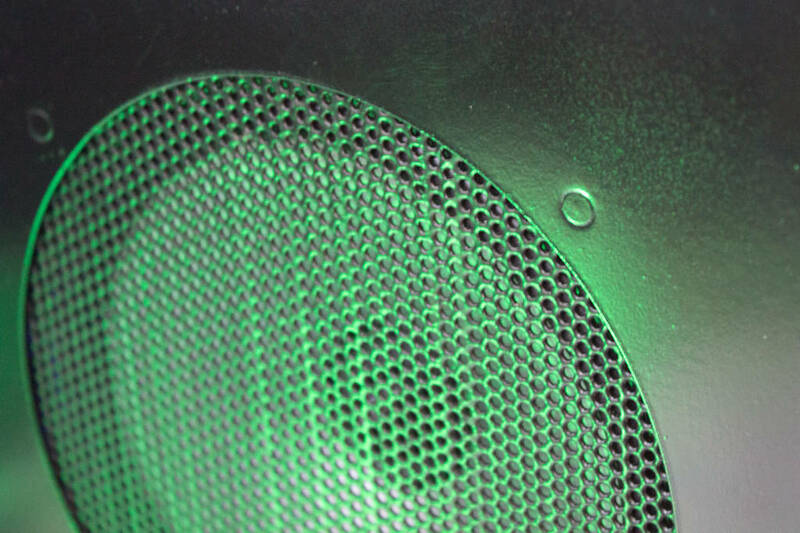 The speaker grilles are quite plain in appearance without any adornments which might make them game-specific. 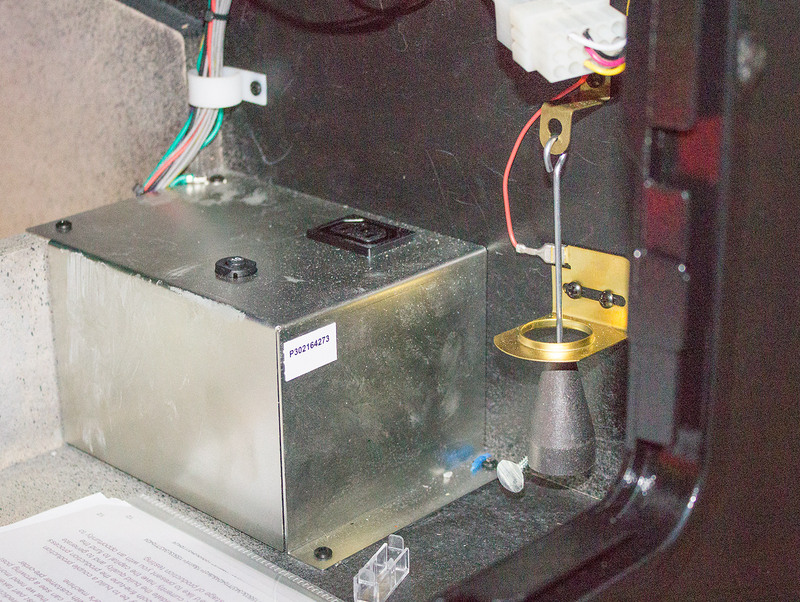 The speakers are standard single-cone full-range devices (100Hz -20KHz), while the fixings for the four mounting posts on the rear are visible from the front at certain angles. 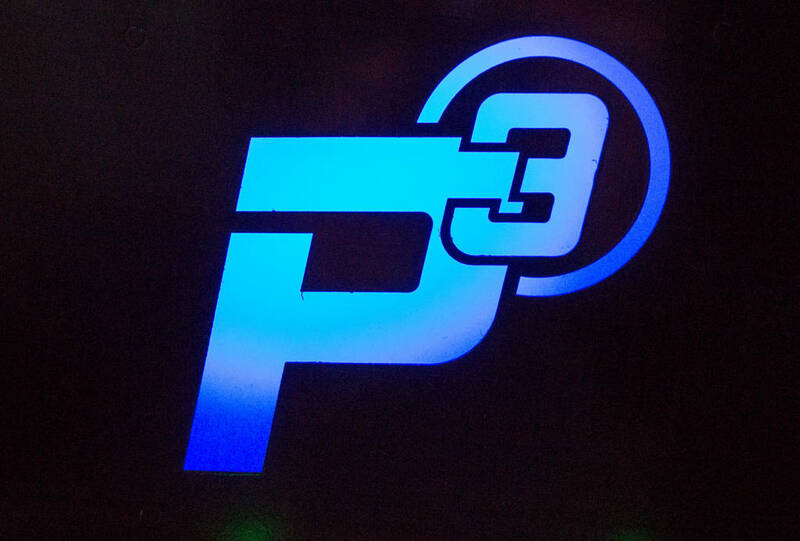 The P3 logo is backlit by RGB LEDs so can change colour both during attract mode and within the game. As this is the famed In-Depth Review, let’s go in-depth into the backbox and see what’s inside. 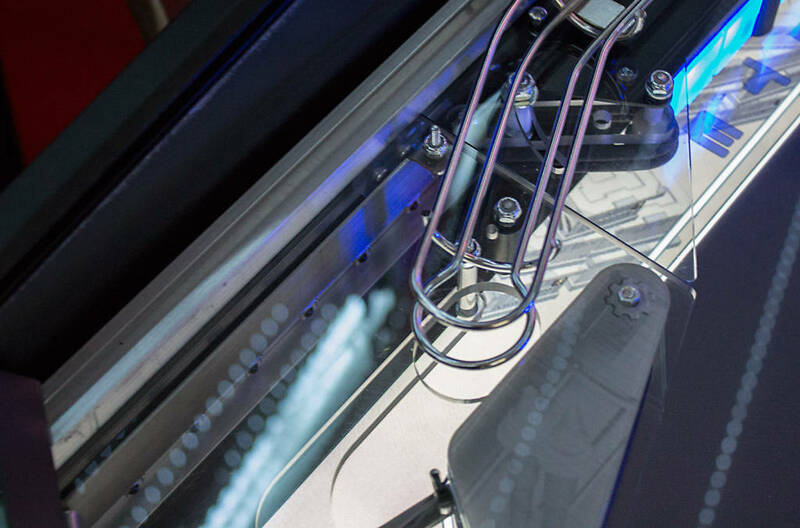 The backbox is opened in the usual way with a key lock at the top which prevents the translite glass being slid up when locked. 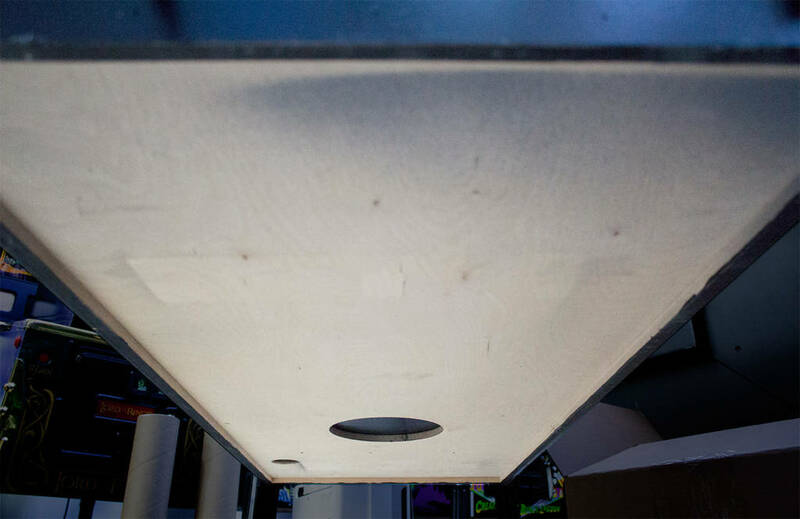 Once the translite panel is removed we can lift up and tilt forward the speaker panel. The speaker panel pivots around two posts near the bottom at the side, and hooks over another post to lock in place. 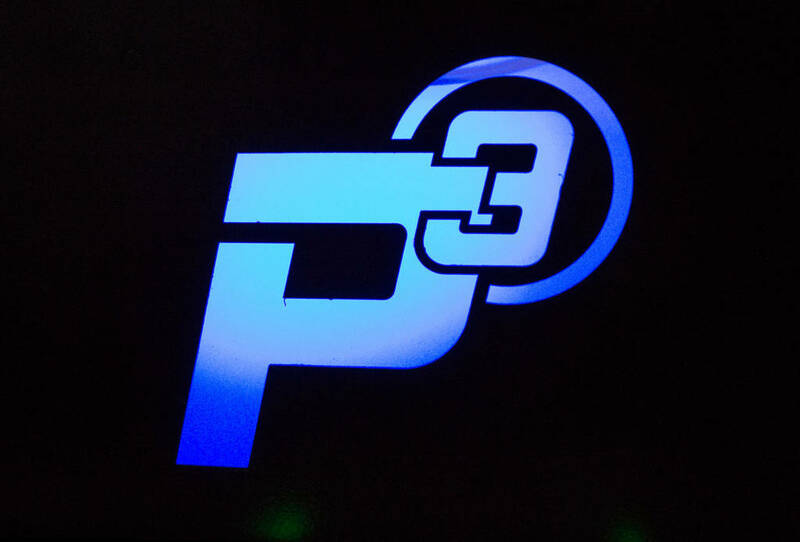 With the speaker panel lowered we can see the white panel behind the P3 logo cut-out. For some reason only three of the four possible mounting posts for the white panel were present. There is a P-clip at the top to hold the left speaker cable but it really needs an additional one on the right side too, as the cable would frequently droop and cast a shadow behind the logo. 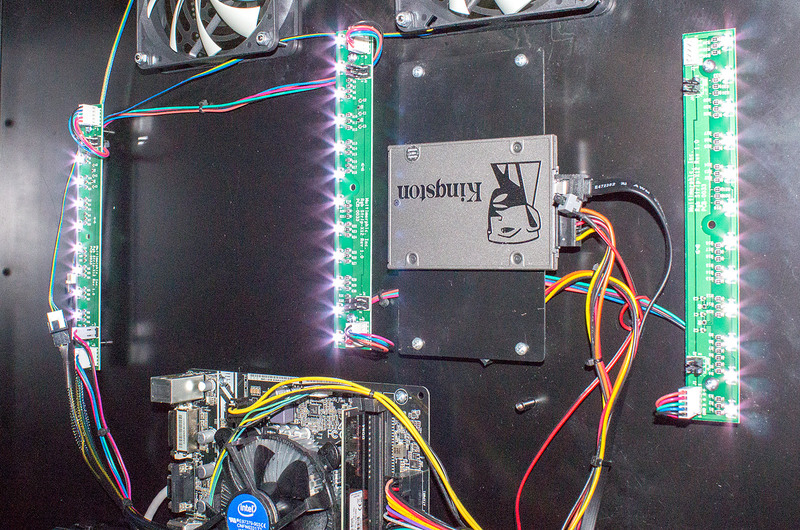 Illuminating the logo is a PCB mounted at the bottom of the cabinet and fitted with twelve RGB LEDs. 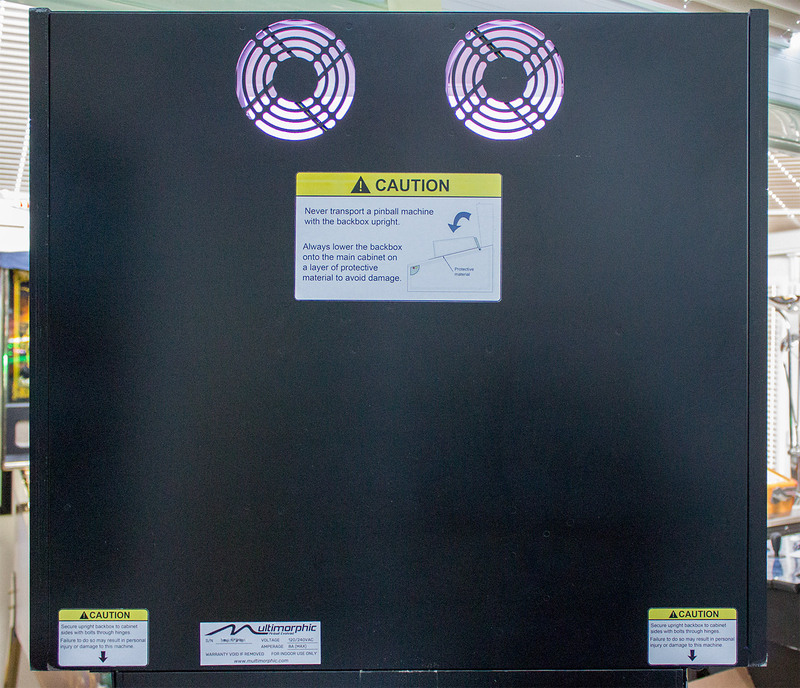 We will see this LED board popping up a few more times as we examine the rest of the machine. 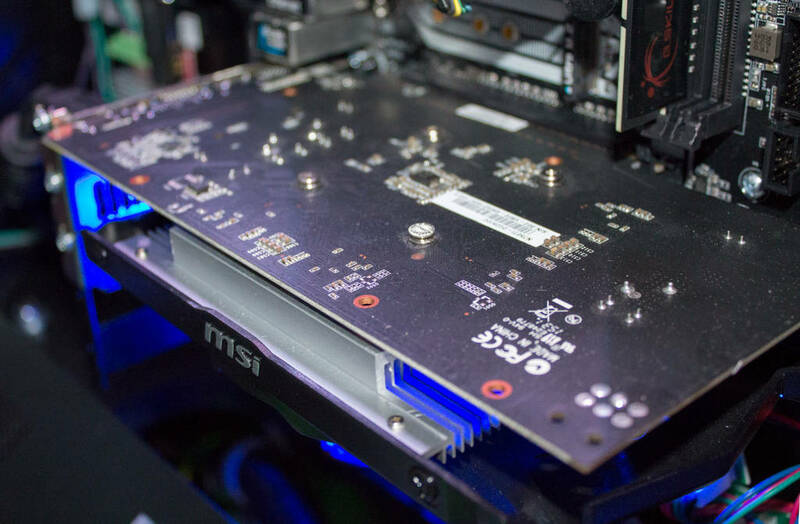 Directly above this LED board is the heart of the P3‘s processing power – the Micro-ATX PC mainboard. 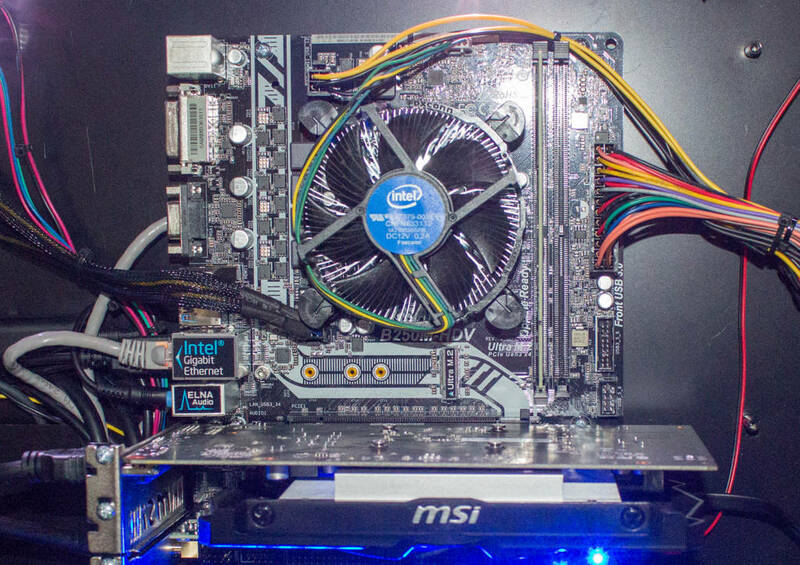 This is a B250M-HDV mainboard with built-in 7.1 channel audio, triple monitors and Ultra M2 memory, none of which is needed in this application but indicates it is an up-to-date board with capacity to spare. Although this too has multiple outputs, only the primary HDMI output is used to drive the large LCD panel below the playfield. 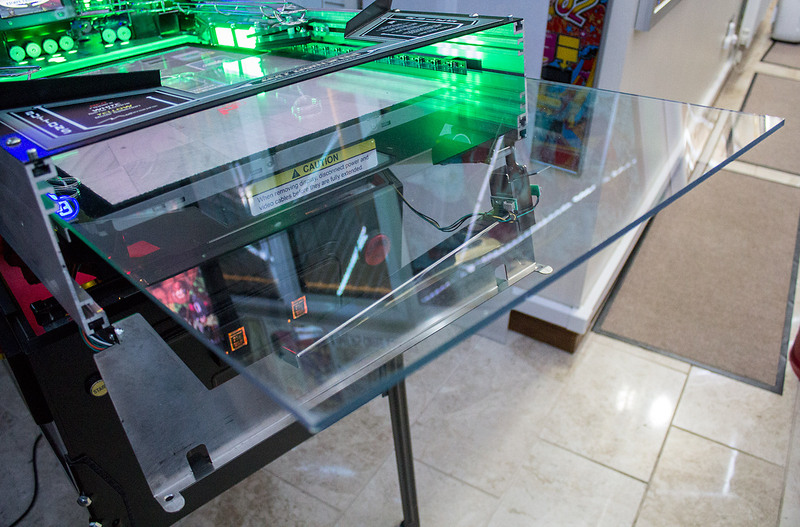 Any other displays on the upper playfield modules are driven by local micro-controllers such as an Arduino or Raspberry Pi. 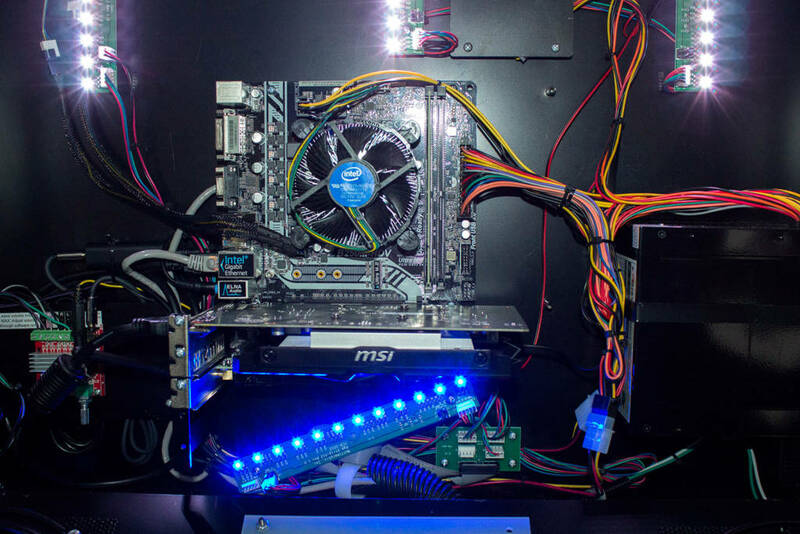 Being driven by a PC means a PC-ATX power supply is needed, so that is mounted on the right side of the backbox. 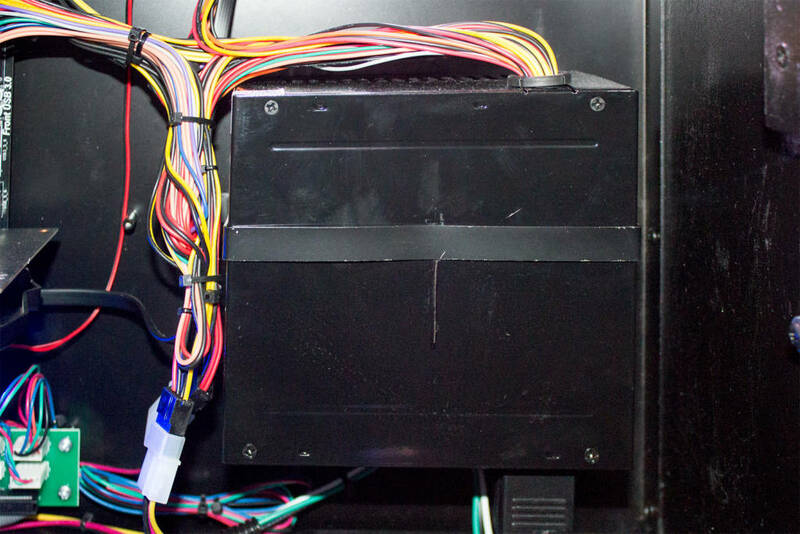 A PC also needs a boot device and something to hold the operating system, the P3‘s code and all the in-game assets. 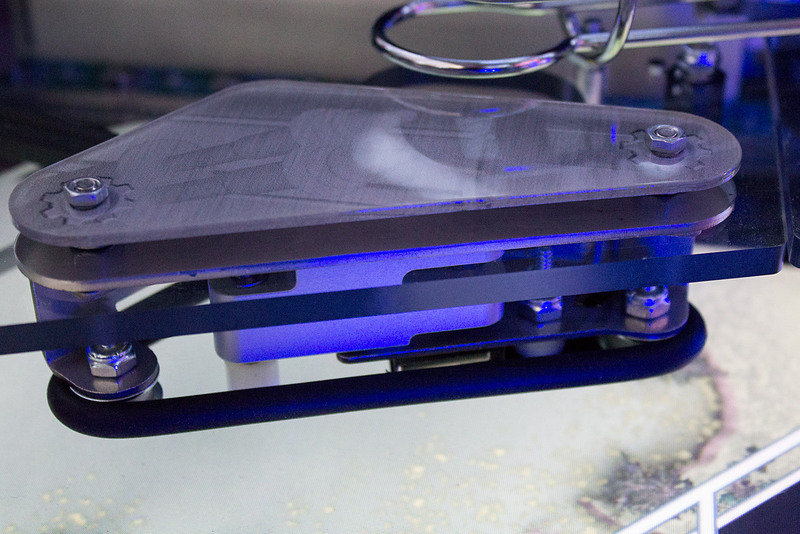 The Kingston SSDNow SATA solid-state drive sits above the mainboard on a mounting plate. 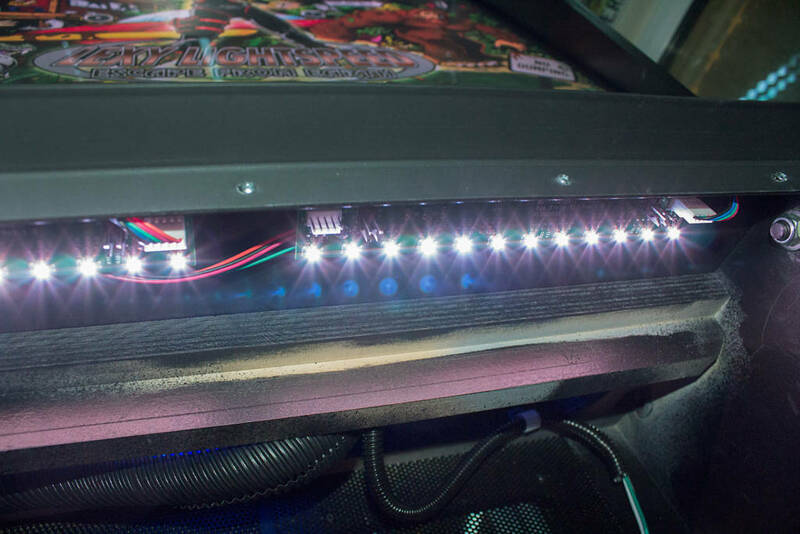 Three more of those 12-LED PCBs are mounted across the width of the backbox to illuminate the translite. 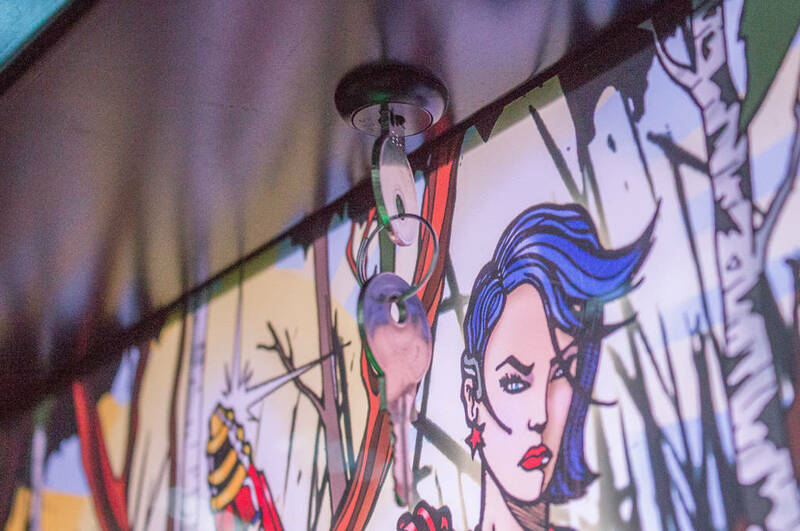 We believe all twelve LEDs on the board get the same RGB colour data, and with the boards daisy-chained together all three produce the same colour. 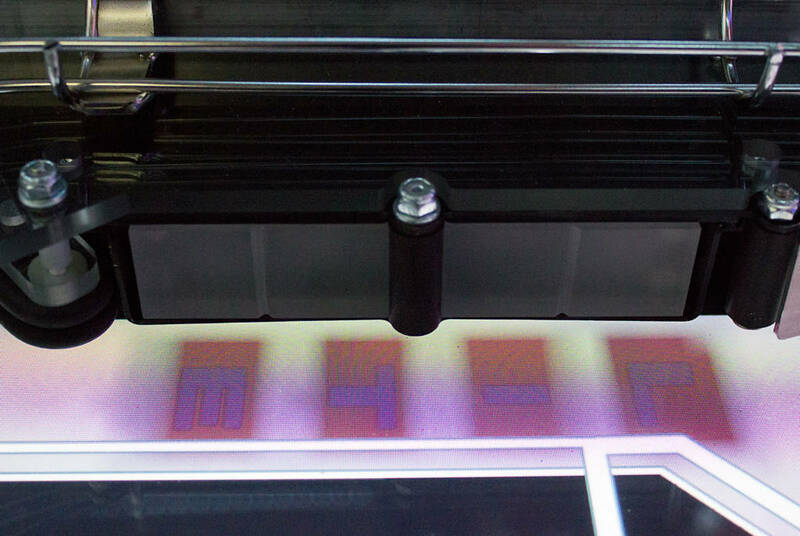 The board illuminating the P3 logo is driven separately and can produce a different colour. While a PC is good at driving displays and powering peripherals, it can’t drive any speakers larger than a pair of headphones. So, in order to give the P3 some decent sound a dose of additional amplification is needed. 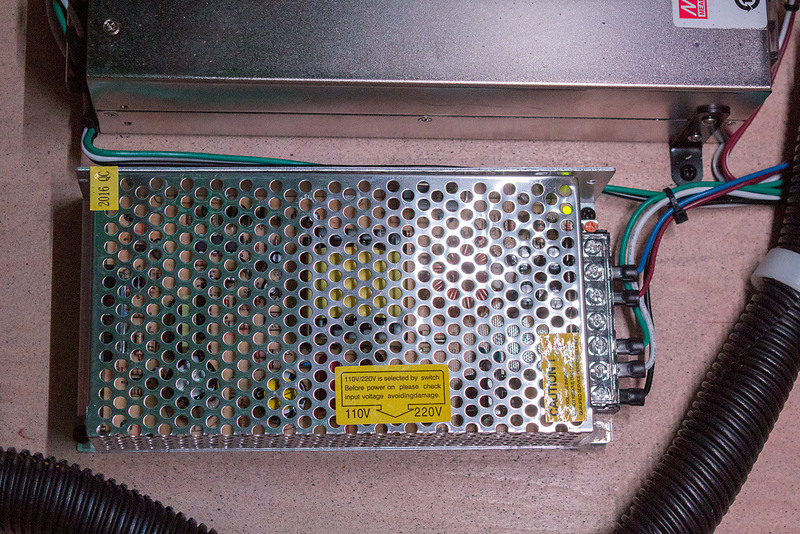 A small audio amplifier board at the bottom left of the backbox takes on this role. 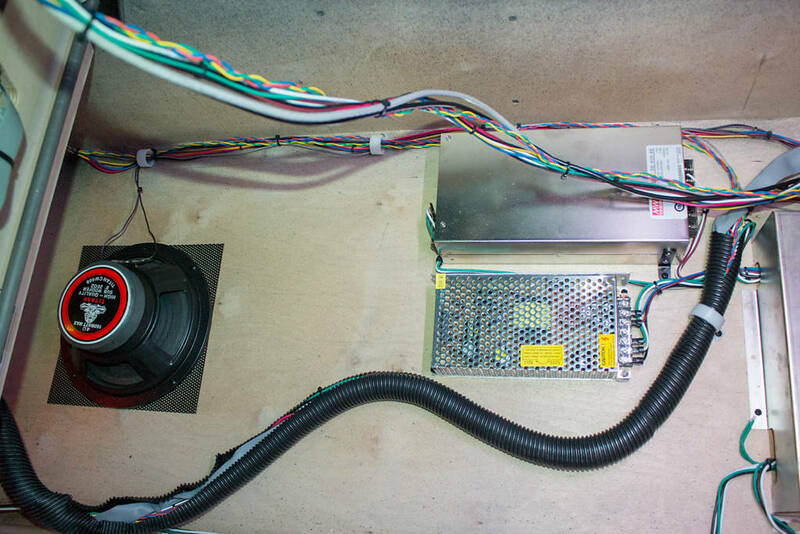 This is a 2.1 amplifier, providing feeds for left and right speakers plus a subwoofer. It’s a pretty modest device which is usually set to maximum output with the volume controlled digitally in the P3‘s software. If the amplifier is permanently turned up to 11 you better be sure there’s no interference from all that computing power, or it will produce a constant background buzz. An in-line filter helps get rid of any digital nasties. As for the rest of the PC’s inputs and outputs, they all go largely unused. 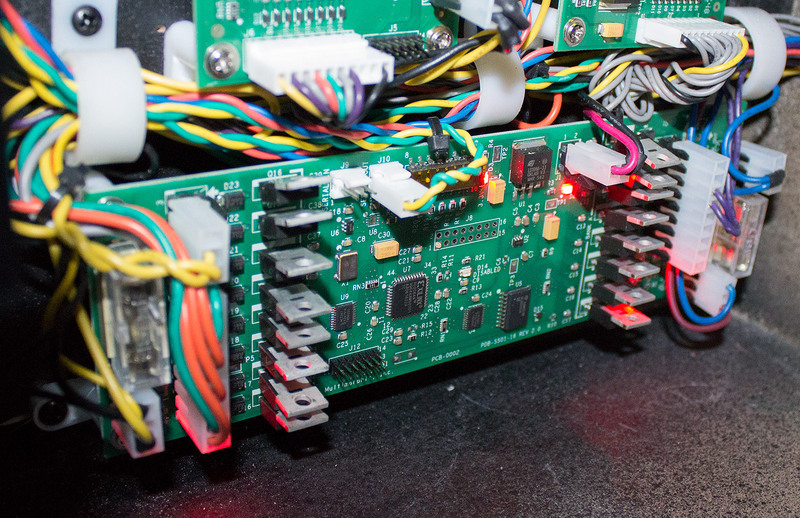 There’s a gigabit Ethernet connection to any other micro-controllers on the upper playfield module while the rest of the P3-ROC system connects through the USB port. 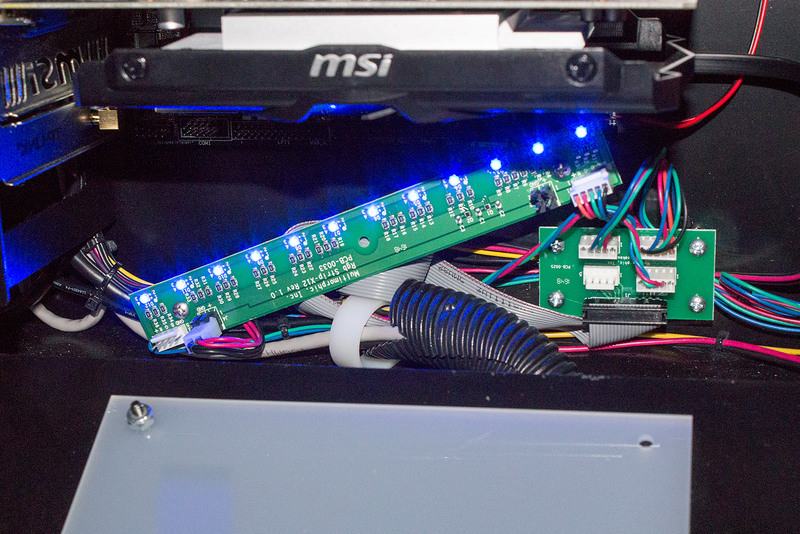 Another USB port goes to the upper playfield module which has a USB dongle attached to identify itself to the rest of the system so only suitable games can be enabled. 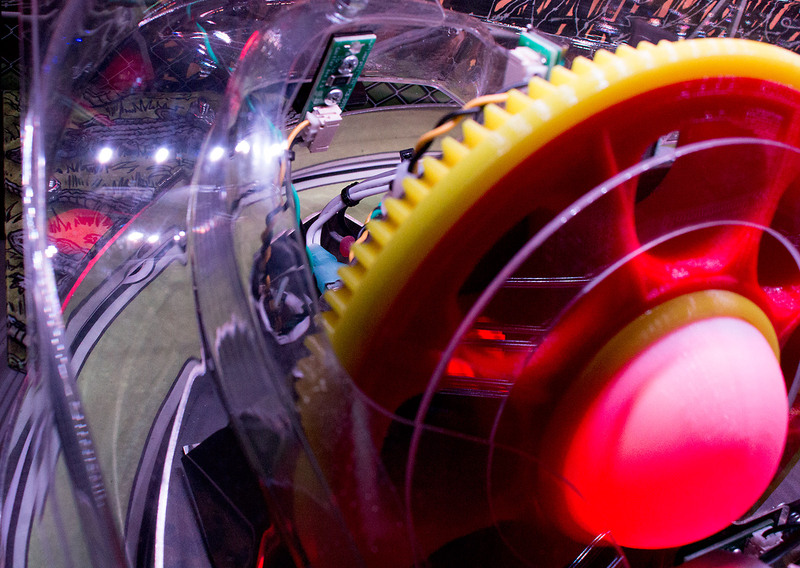 The top of the backbox – to where the heat rises – is dominated by two fans which seem to run constantly. They are very quiet though and never proved to be obtrusive. 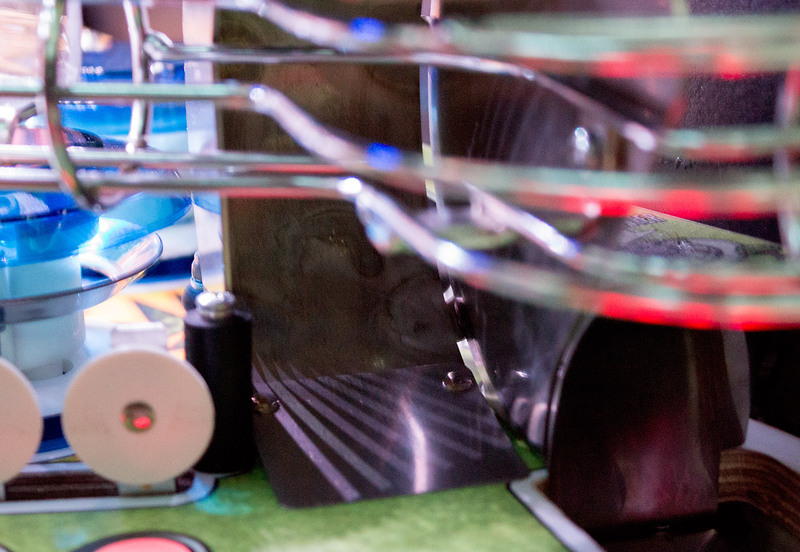 Like many modern games, however, with spinning blades dotted all around the backbox there is a slight whirr of fans when the machine is not being played and the room is otherwise silent. 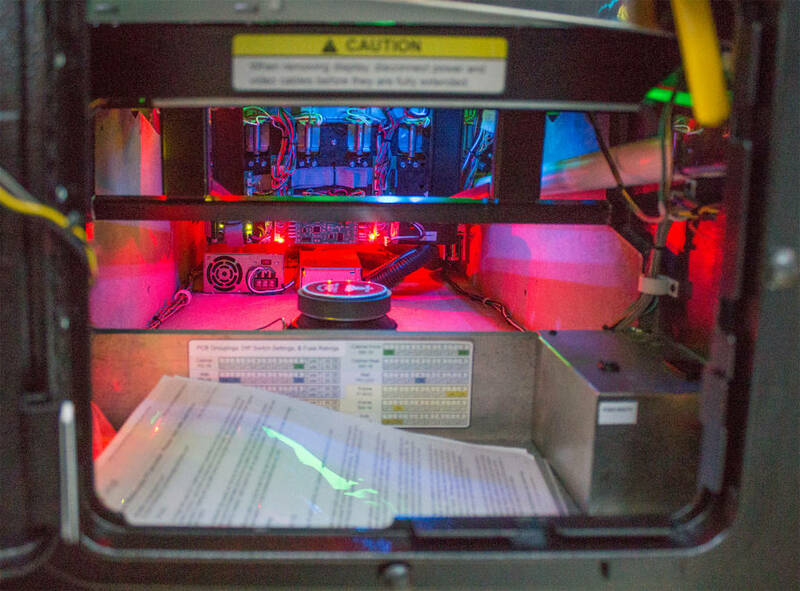 The whole backbox is held in position in a slightly different way to any other manufacturer’s products. 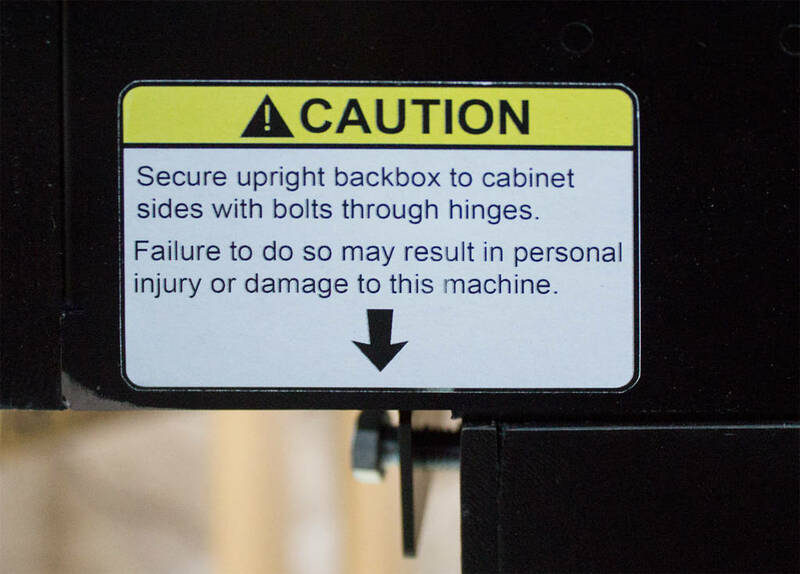 There is no latch on the back of the machine. 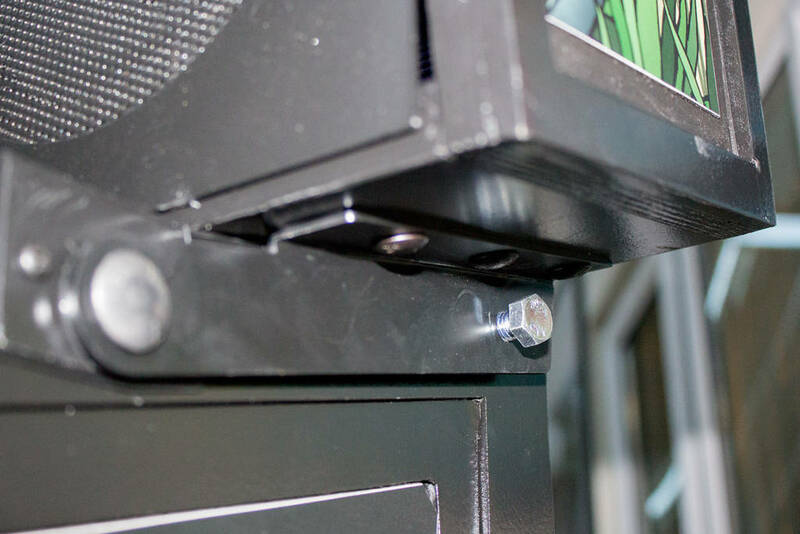 Instead, a bolt is inserted into the hinge mechanism on each side to stop the hinge pivoting, locking the backbox in place. 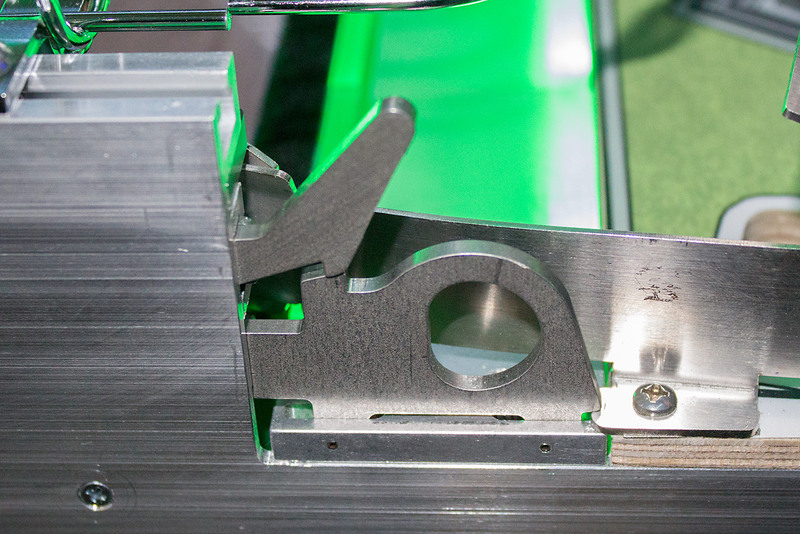 The hinge itself is also a little different, being smaller in size and feeling a little less robust. The measurements are also slightly off, leaving quite a gap between the hinge and the cabinet body. Without a latch, the back of the machine is nice and clean. 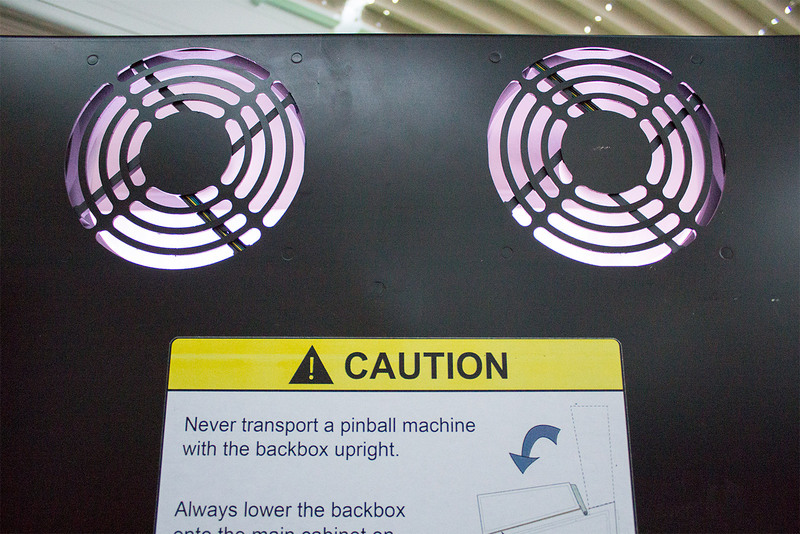 The backbox’s rear only features the two fan cut-outs and a bunch of labels mostly telling you not to do things which will damage the game. There is also the serial number label which gives a voltage range of 120V-240V. That’s a little misleading though as at least one component in the game needs to be switched to either 110V or 220V input. The label also states the current draw is a maximum of 8A. At the back of the cabinet we find the usual two wooden slide rails with nylon sliders attached. Between them are two mesh grilles which act as air vents for the more radiant components inside. Power enters the game through the familiar IEC mains connector at the base of the cabinet’s back panel. 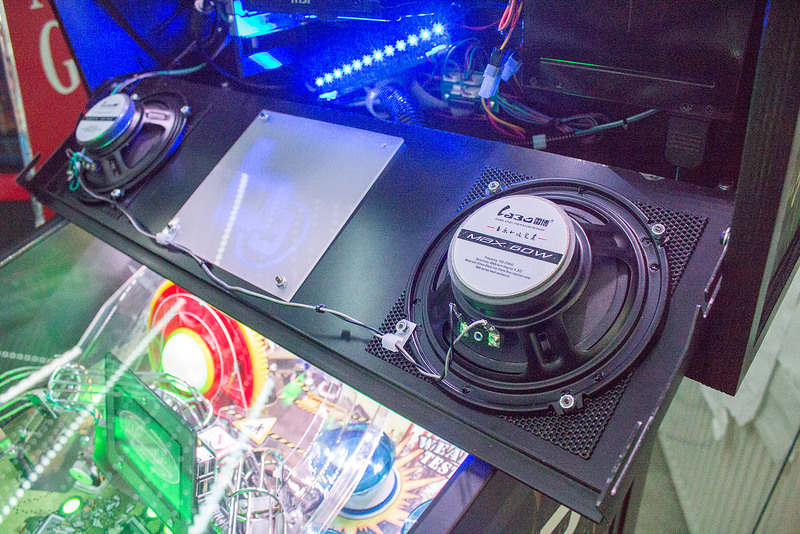 The main power switch for the game is in the traditional place, under the front right corner of the cabinet, while the only other item of note under the cabinet is the speaker grille for the subwoofer. 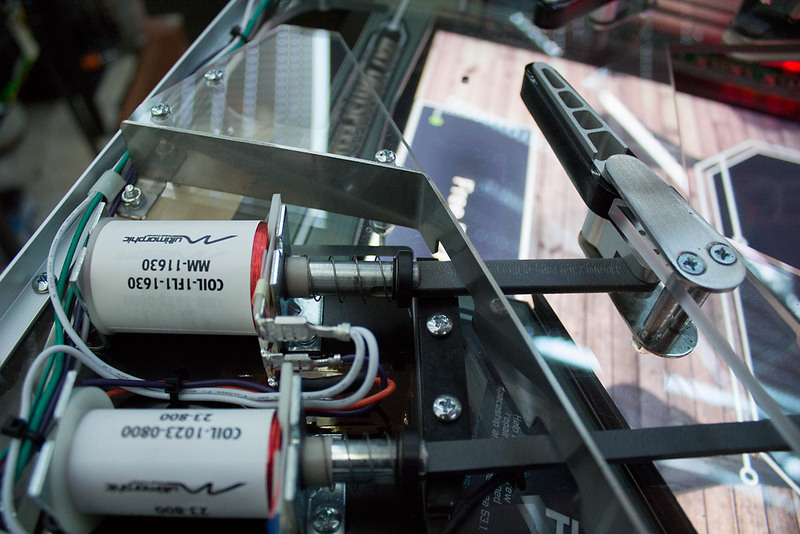 Now let’s take a look inside that cabinet to see what’s familiar and what’s new with the P3. Opening the coin door and if you are naturally inquisitive you head straight for the menu buttons. No such luck here, as there aren’t any. Neither are there any coin mechs which is perhaps more common. All the configuration, audit and troubleshooting options are accessed using the start, launch and the flipper buttons. 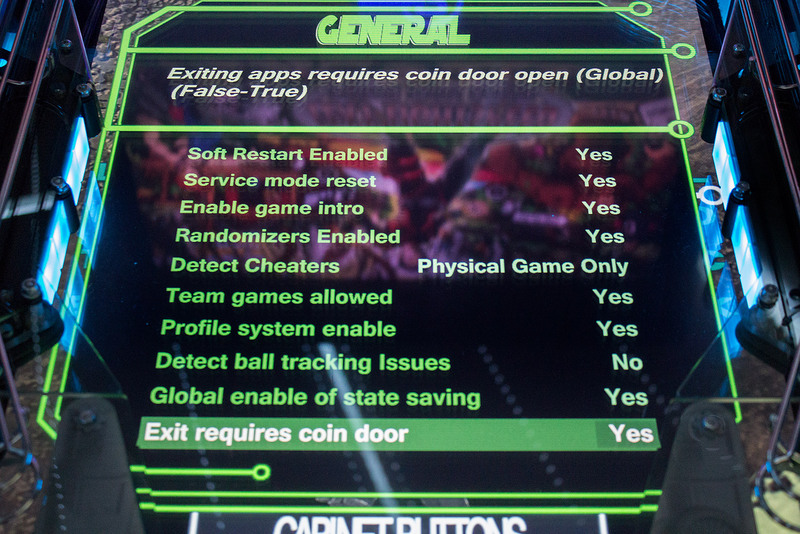 There is a switch to sense when the coin door is open, changing the buttons’ functions and enabling the menus. 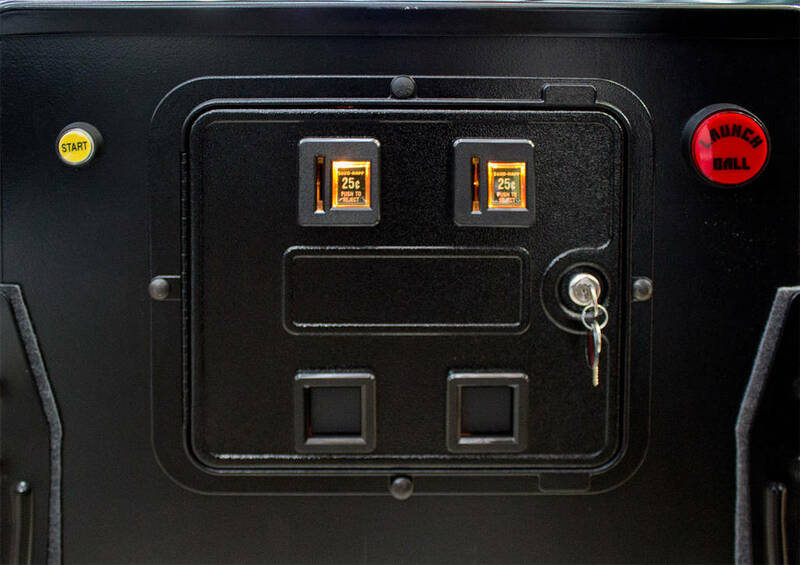 The backbox keys live behind the coin door on the usual hook. Behind the coin door is the coin box location, although no coin box was provided. At the back of that is a chart showing the various Multimorphic controller boards used in the game – the P3-ROC, the power driver boards, the LED driver board and the switch boards – their address DIP switch configurations, their locations, and the fuse ratings for the power driver boards (all 4A slow-blow). 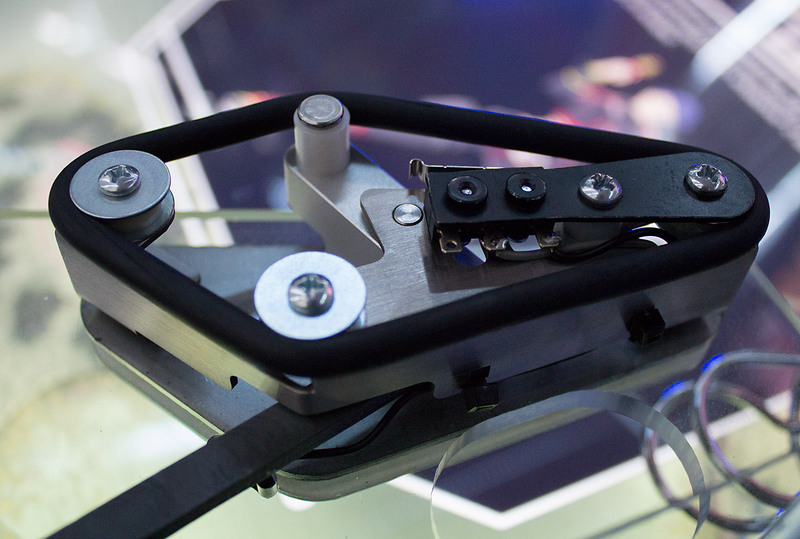 As high-tech as the P3 is, it still relies on the tried-and-tested mechanical tilt bob mechanism to sense over-enthusiastic play. 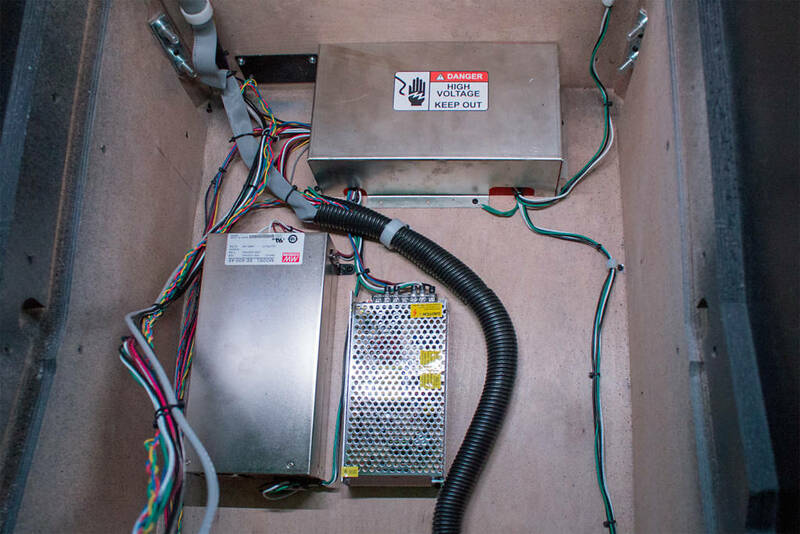 This is positioned in the front right corner of the cabinet, next to the power switch box which also houses the main game fuse and an IEC service outlet. Since nobody ever has any tools with this connection, it is usually only used to power mods or other add-ons. 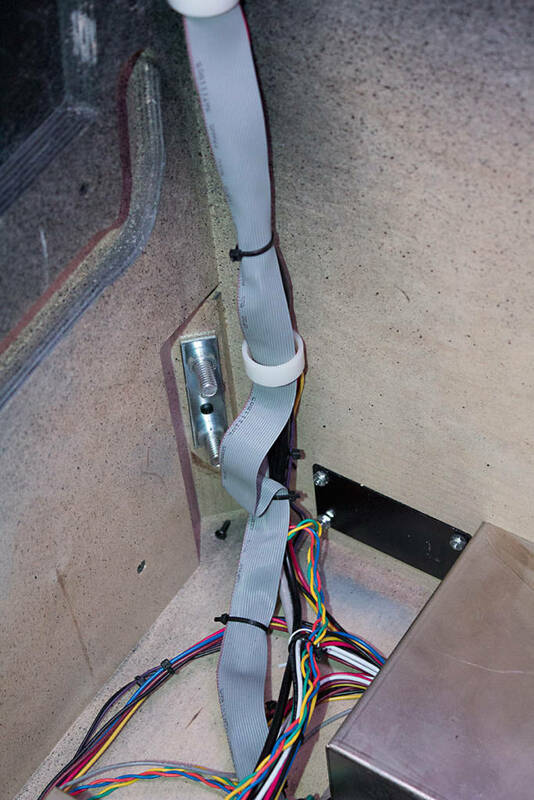 On the left side of the cabinet are switch and driver boards for the cabinet switches and LEDs. 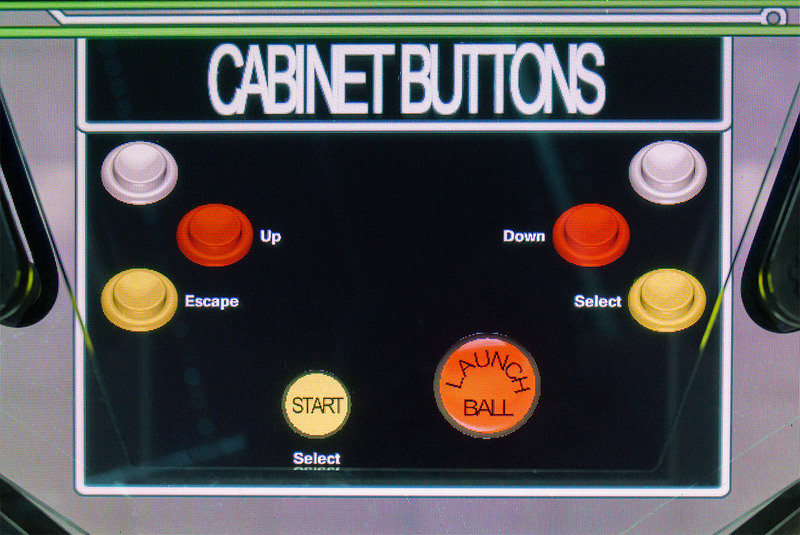 You might not think there are all that many switches on the cabinet, but apart from the tilt bob and the start and lunch buttons, there are three flipper button switches on either side plus the possibility of more switches if the button boxes are swapped for ones with more controls. There are also the coin mech inputs and the possibility of other payment devices. The P3 ships with an envelope containing a bunch of paperwork and a small goodie bag of spares. 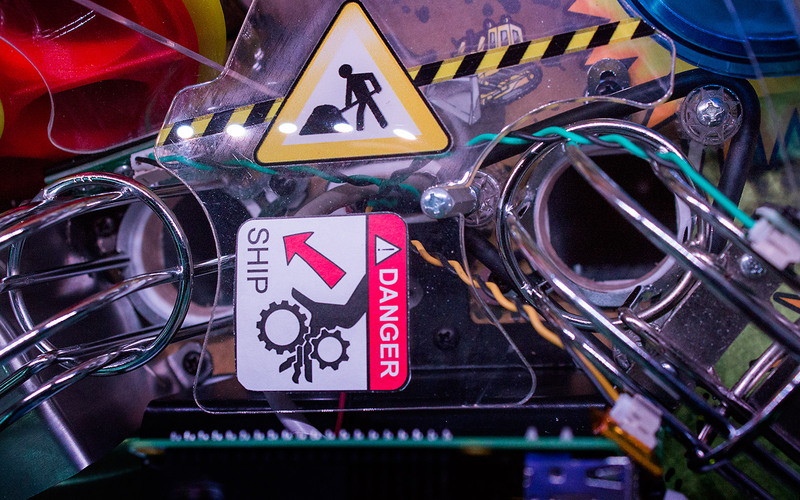 There is a quick start guide to setting up your machine, a certificate of ownership, a list of the included items and a sheet detailing the known issues with the game software when it was shipped and which will be addressed in upcoming updates. 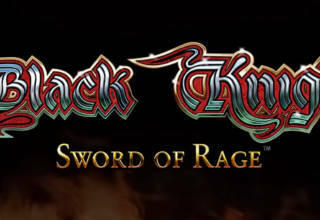 The list of items shipped with the game varies according to what was ordered, when the order was placed and any deals done in the interim to compensate for delays in production. 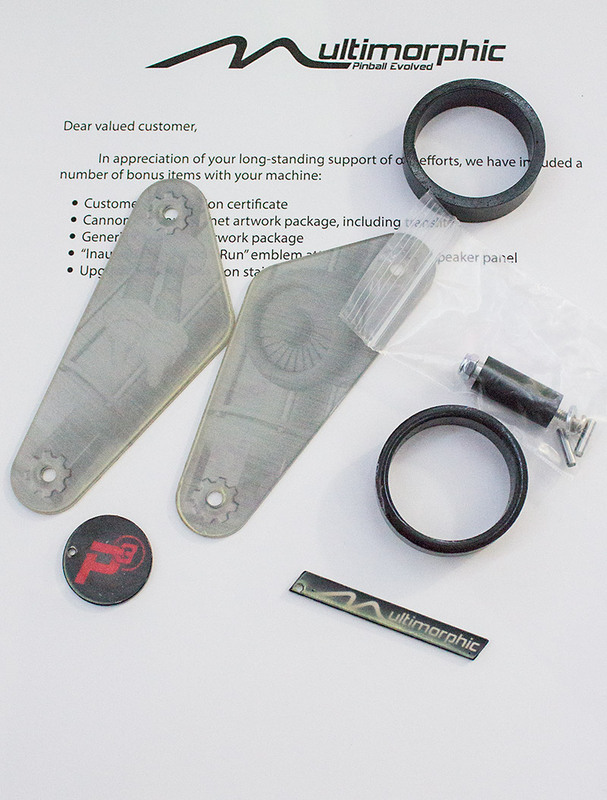 The goodie bag contains a few spares – slingshot plastics for Lexy Lightspeed, rubber bands, a couple of key fobs, two roll pins for the flipper and slingshot linkages, and what we took to be a centre post which can be installed between the flippers if desired. 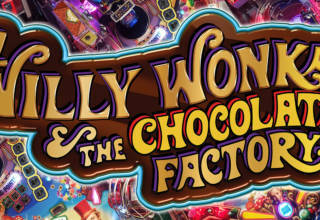 We said earlier how any artwork needed to be either game-agnostic – so it worked with any title – or removable. This also extends to the bottom apron button and rules information which is also magnetic and can also be removed and swapped if required. That’s how the backbox and cabinet are built, so now it’s time to look at the fun part – the playfield. 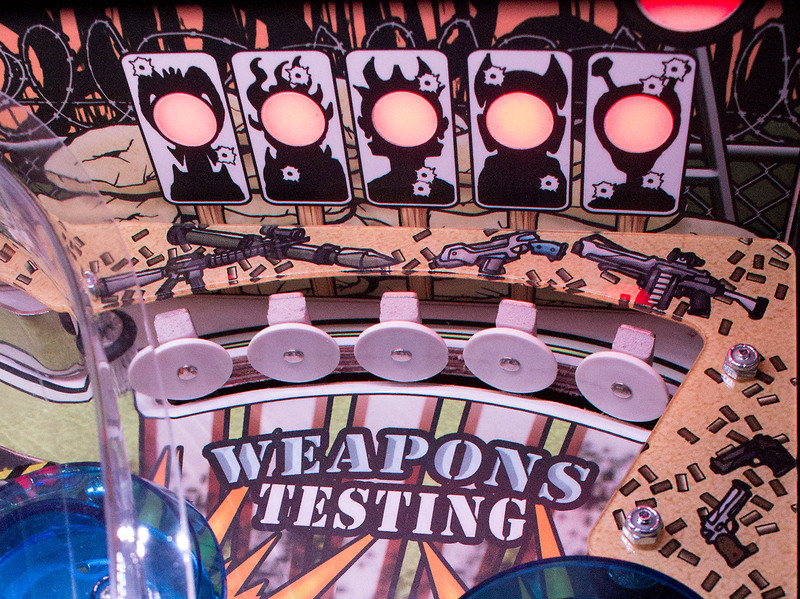 The playfield is the most innovate part of the game. 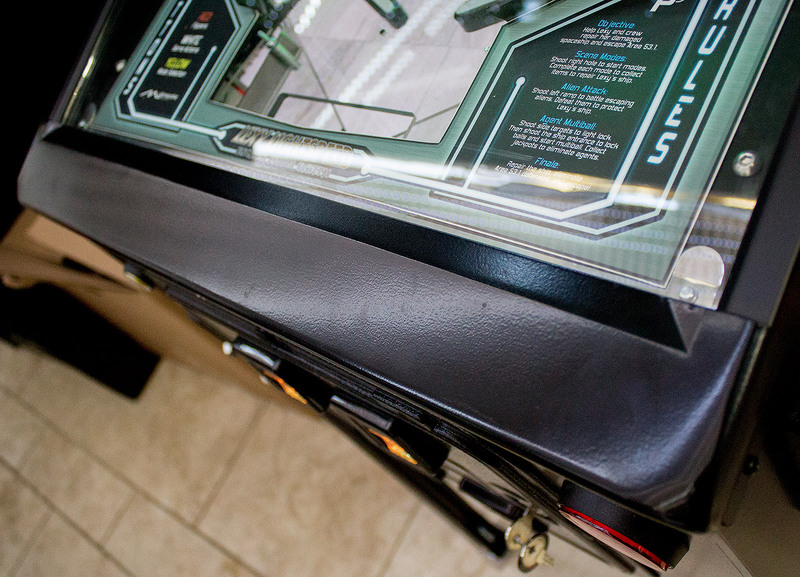 While the cabinet and backbox are largely similar to existing games, the playing area is far from traditional. 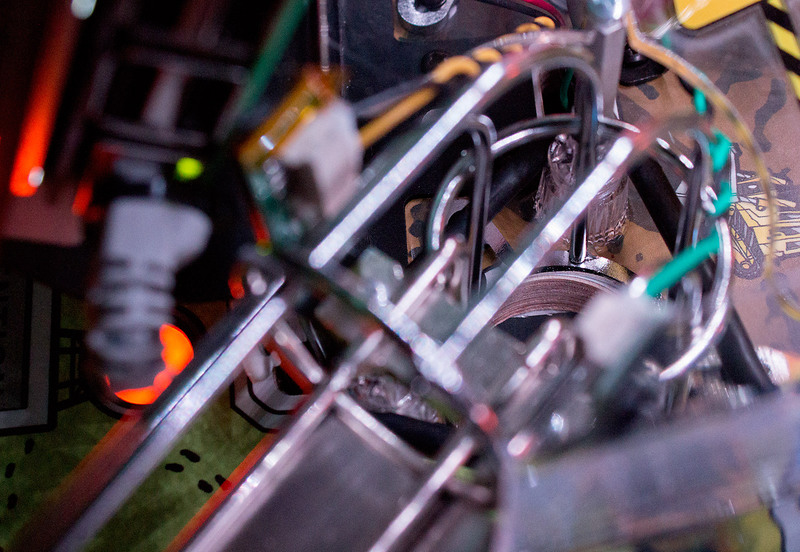 To find out more we need to lift out the playfield, and that in itself is quite different. Above the bottom arch is a cut-out in the clear plastic covering the drain area. We use this to lift the playfield up so it can be slid forward. This doesn’t feel entirely robust and our fingers found a loom of cables under the bottom apron, but if you ignore those points you can start lifting the playfield up. You then realise what a hefty beast it is. It really does take some effort to raise the playfield and slide it forward. 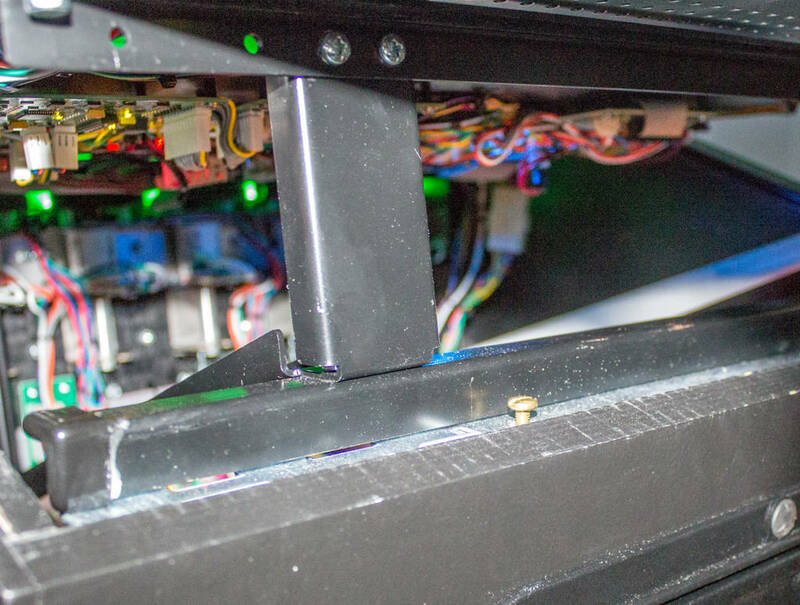 Once you have though, there is a black metal support frame which sits on the lock bar’s front moulding to give you access to most of the key playfield parts. The support frame is reassuringly solid and the 90° angle on the foot ensures there is no slippage. It feels a little unsure the first few times you do it, but pretty soon everything slides into place quite naturally. 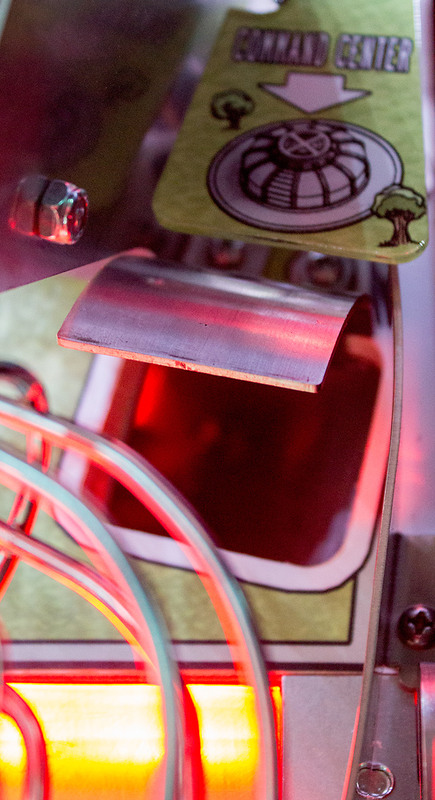 There are a couple of reasons why the playfield feels so heavy. 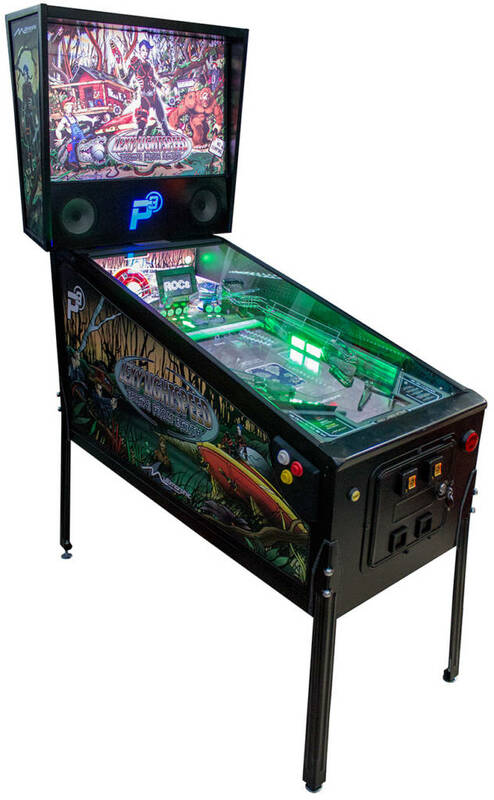 Apart from housing the 27″ LCD panel and containing ten or more balls (Lexy Lightspeed uses a minimum of twelve), the whole playfield is encased in a metal enclosure. 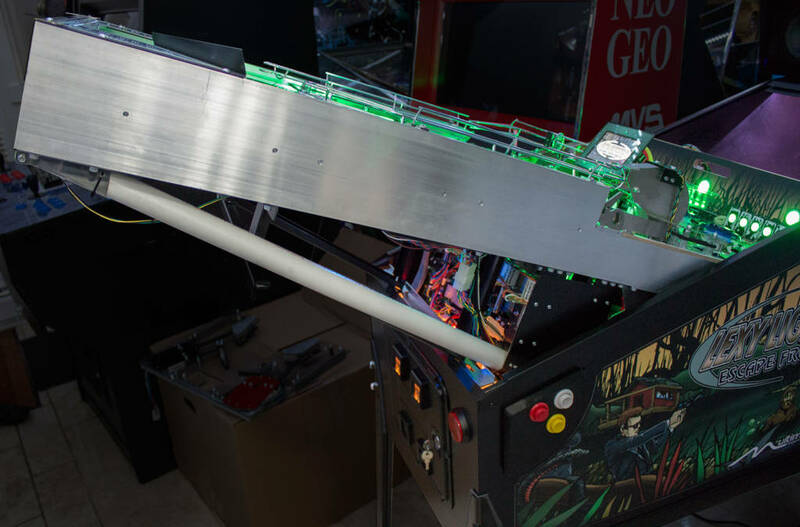 With the playfield slid out to the first service position, there are a couple of wire looms hanging down which need to be handled carefully. One is for the power to the flippers and slingshots along with the switch connections, while the other is for a ball drain sensor. To find out more we need to start pulling the playfield apart. So let’s do exactly that. 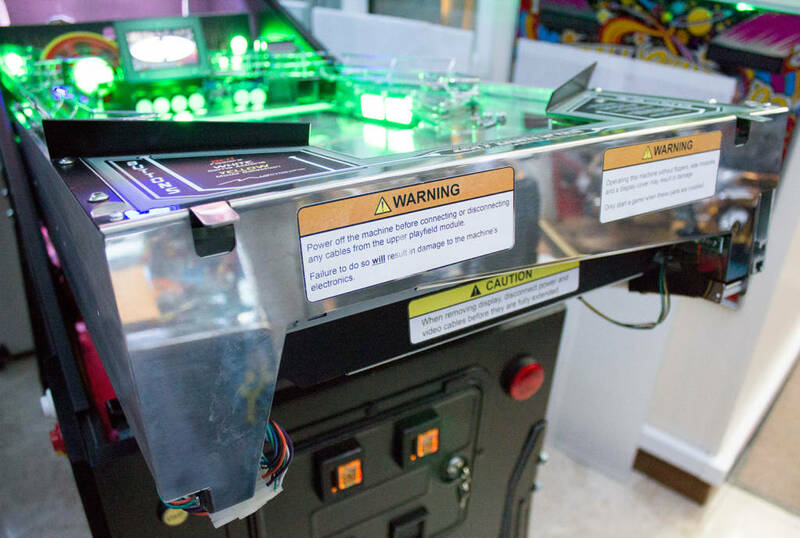 There are several warning labels on the front of the playfield enclosure explaining the damaging effects of working on the game with the power on. To get at the good stuff we need to fold down the front panel which hinges along its bottom edge. It is secured in place by two retractable pins – one on either side – which can be pressed in to release the latch. 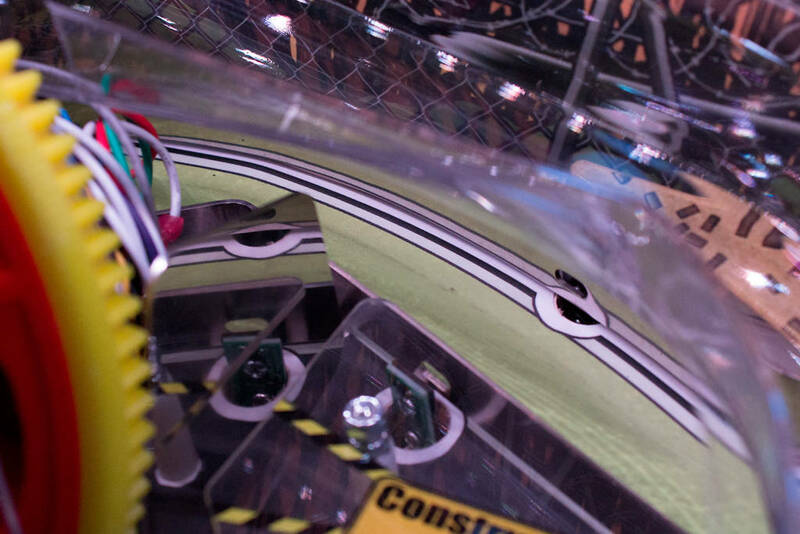 Once the panel is open we can see the slide rails built into the playfield enclosure’s sides. 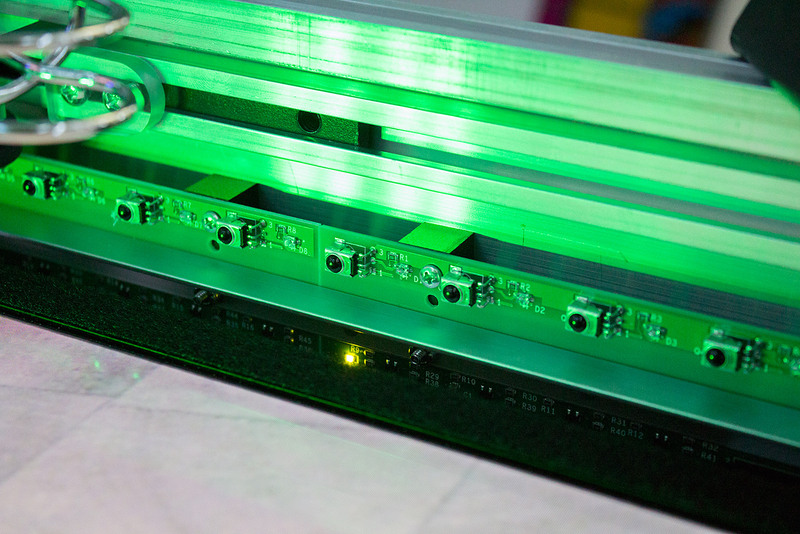 Most playfield components are mounted on these rails and so can be slid in or out for maintenance or cleaning. The front panel includes an angled channel through which any drained balls are returned to the ball trough at the back of the playfield. 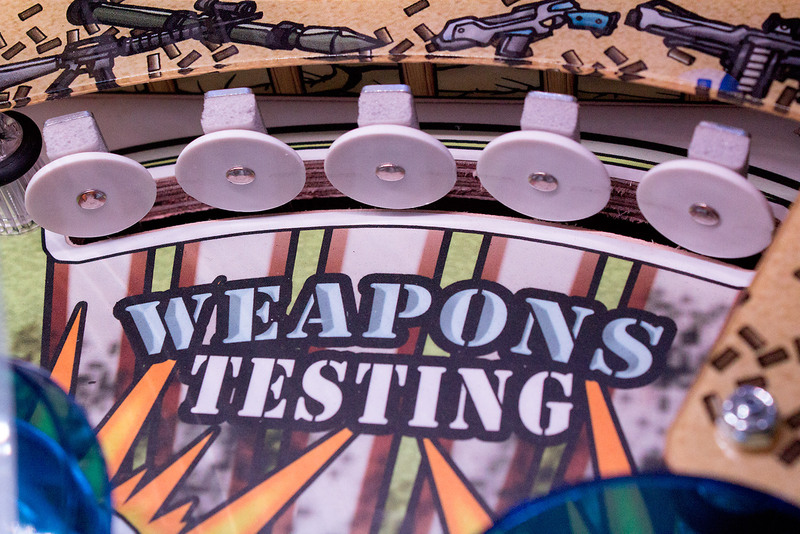 Balls roll down the channel and are deflected into a white plastic tube which runs down the length of the playfield. 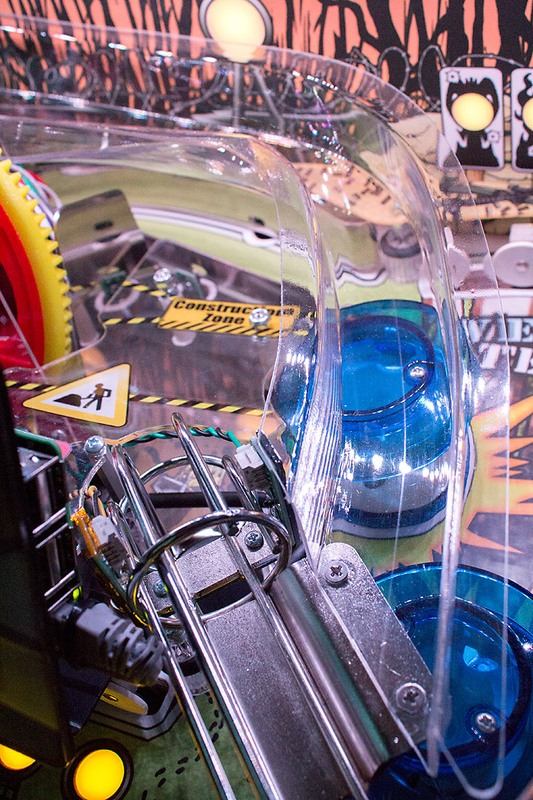 There is an optical switch mounted on the front panel to let the game know when a ball has drained. That other dangling cable loom carries power to the flippers and slingshots, so let’s take a look at those. To do that we need to slide out the panel on which they are mounted, and to do that we need to disconnect them. We can then pull the clear panel with the flippers and slingshots along the channel in which it sits, and out of the front of the P3. 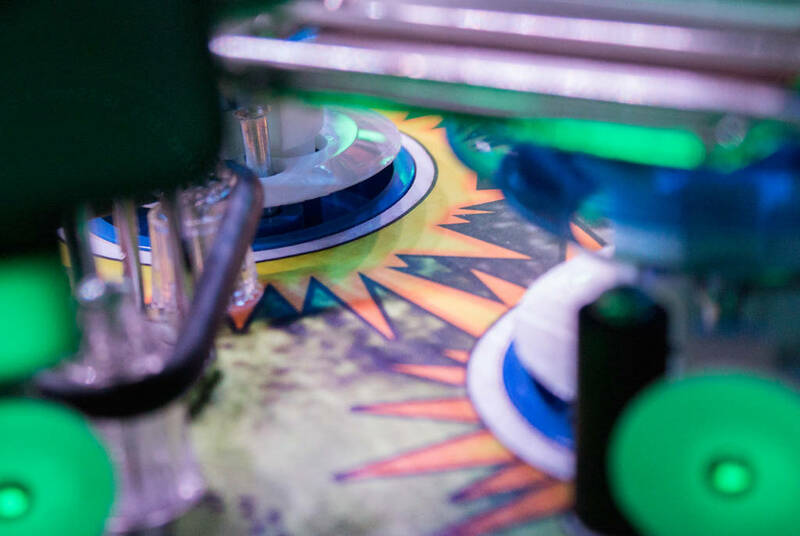 One of the key features of the P3 is the way it can track the ball’s movement across the main (non-removable) part of the playfield. 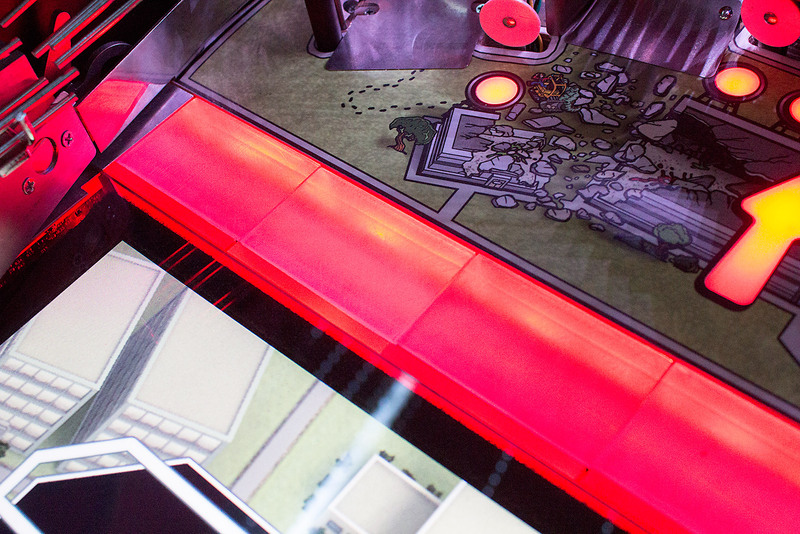 It does this with a grid of infra-red LED beams which shine across and just above the surface of the playfield. 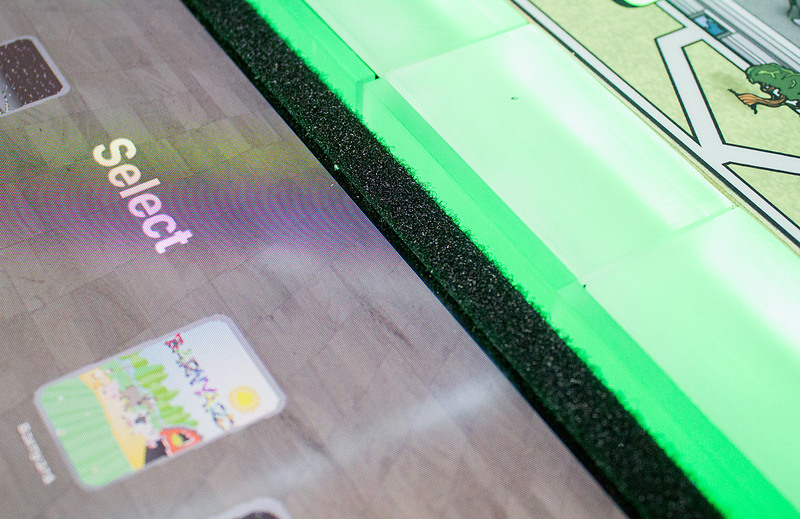 Another major innovation is the use of an LCD monitor below the playfield to show interactive artwork, dynamic targets and reactive effects according to the ball’s movement and position. 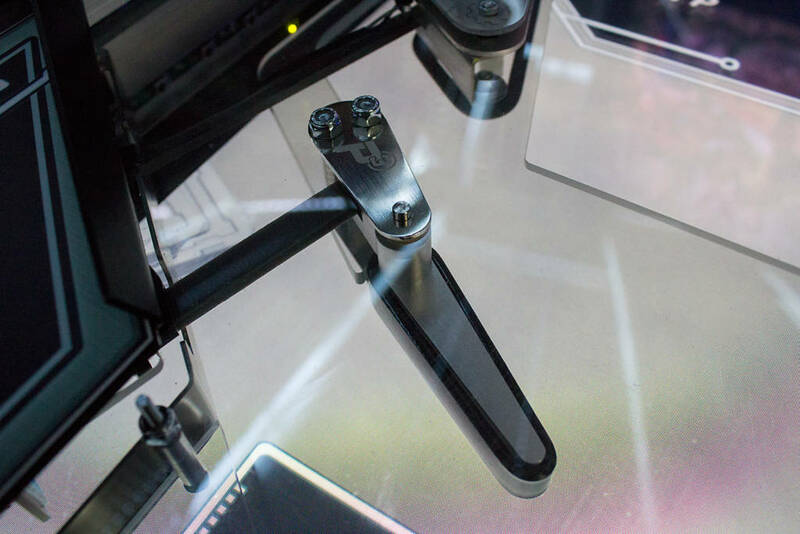 While these are crucial to the unique nature of the P3, they do mean that you can’t have devices and mechanisms bolted to the playfield in the area covered by the LCD and the motion-tracking IR LEDs. 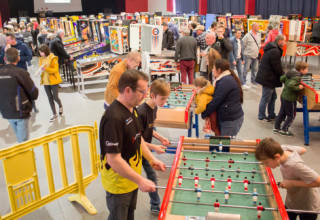 As a result, standard mechanisms such as flippers, slingshots, targets and lane guides have to be suspended above the playfield and not actually touching it or passing through it. 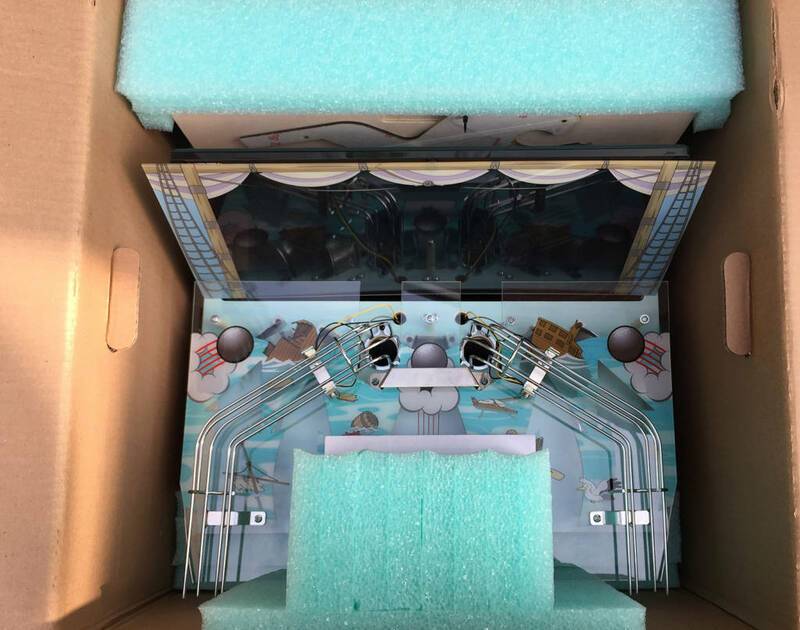 That might seem like a showstopper for a physical pinball machine, but Multimorphic has developed versions of all these mechanisms which are suspended from a clear plastic sheet instead of being mounted below the playfield. 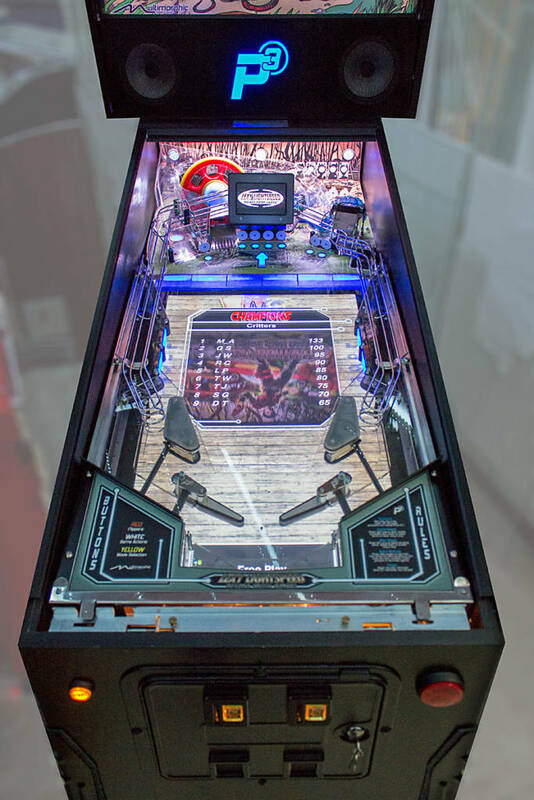 The flippers and slingshots we have here are exactly that – mounted on a clear sheet which slides into the rack’s slots and thus sit above the playfield surface. 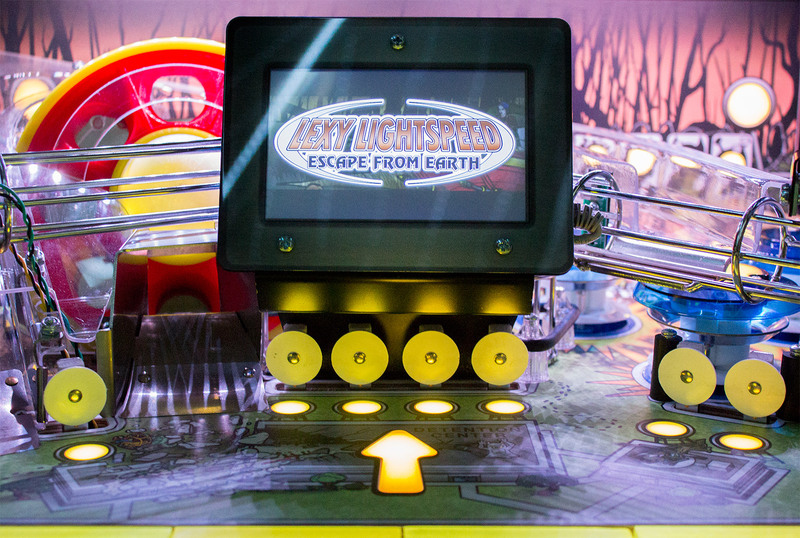 With no flipper shaft or slingshot kicker arm passing through the playfield, they need to have a different design. 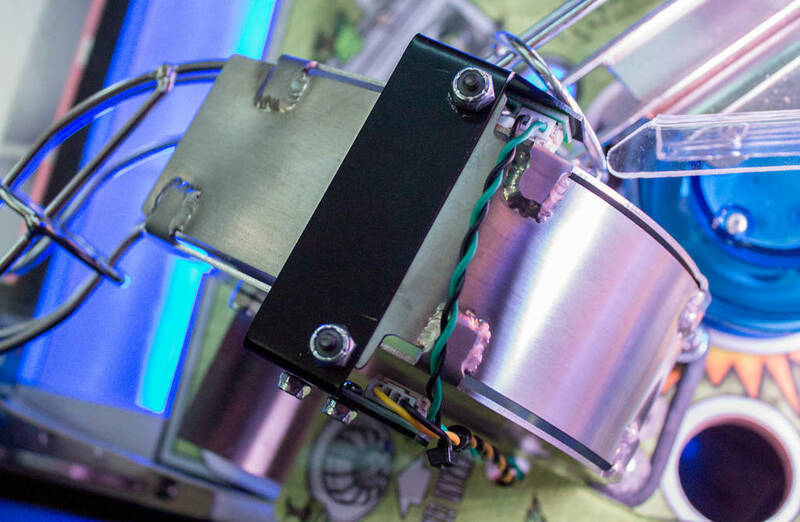 Both are solenoid-operated as usual, but they work by the solenoid’s plunger being connected to a flat link actuator. 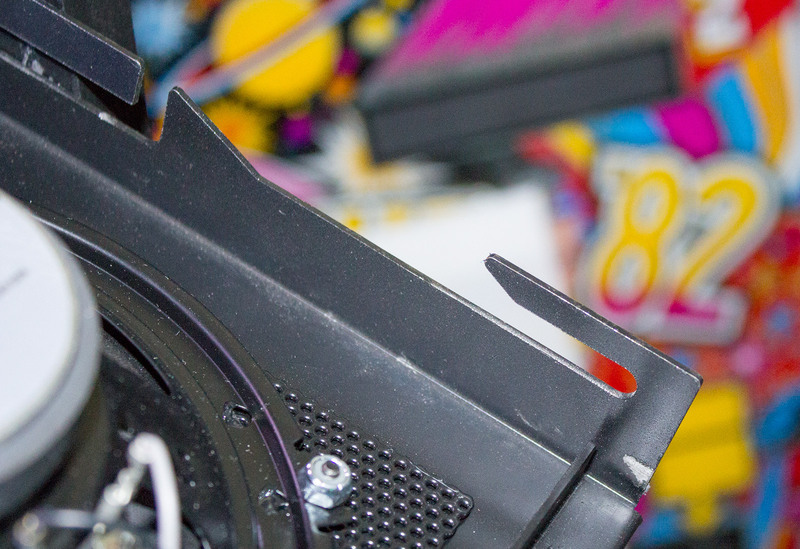 This is actually how the flippers work in a traditional design when mounted below the playfield, except that the flipper link arm is somewhat elongated here and much more visible. 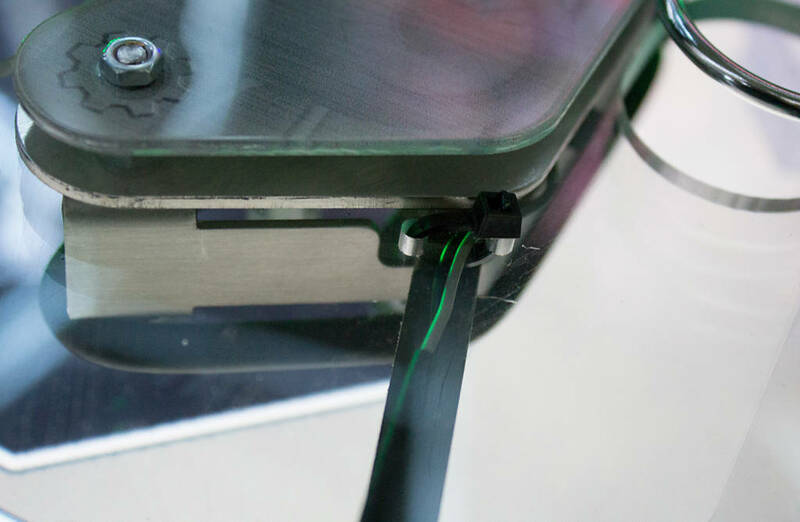 Rather than the flipper mechanism being screwed into the clear plastic sheet which would be liable to cracking and wear, the flippers are mounted in a robust metal bracket and are themselves made of aluminium. 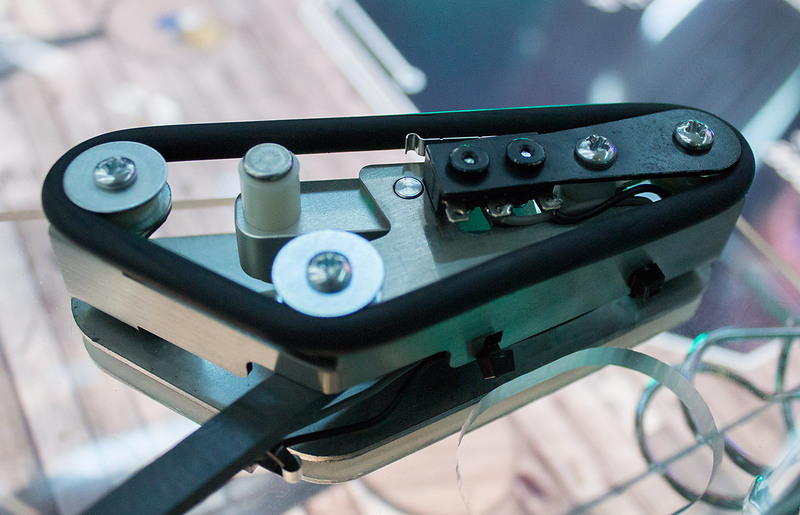 The whole flipper mechanism has a slightly ‘industrial’ feel to it, showing more of its workings than would normally be the case but looking both functional and durable. Black flipper rubbers on a mid-grey flipper could lead to a lack of definition and hence aiming accuracy, but for the most part the background tones are sufficiently different to not merge together. There’s a nice etched P3 logo on the flipper bracket which helps detract from the two rather ugly locking nuts next to it. There has been criticism of the P3‘s flippers in the past but do these feel durable and accurate enough, even though they do take a couple of games to get use to their unique feel. The slingshot is just as unconventional. Another ‘floating’ mechanism, the black rubber ring is stretched around the bottom of the device, surrounding three fixed posts and held in place by a combination of elasticity, the switch mounting and a couple of metal washers. 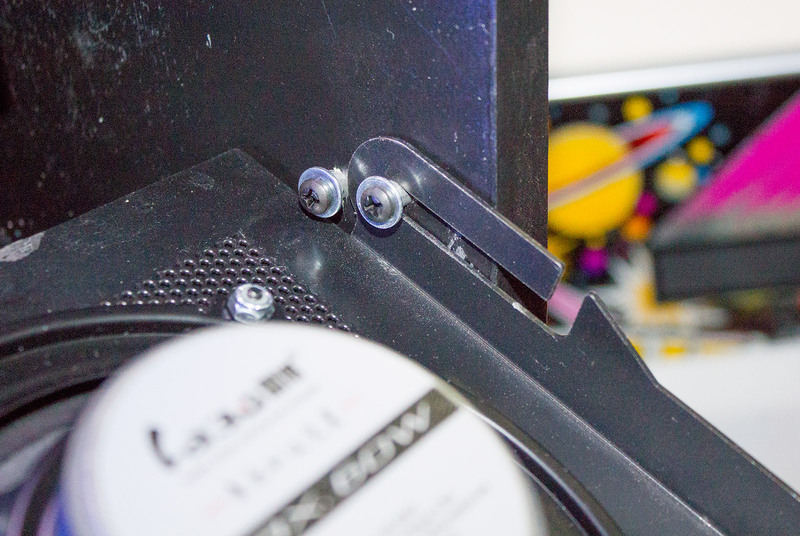 Instead of the usual two blade switches to detect when the ball strikes the slingshot face, there is a solitary microswitch mounted approximately half way along. When the ball hits the rubber ring, depresses it and activates the microswitch, the solenoid fires, pulls down on the activating rod which in turn pivots out an arm which kicks the ball away. The picture above shows the slingshot in its rest position, while the shot below shows it activated. In practice we found the slingshots to be less responsive than you might expect due, we suspect, to the single switch and the extra pressure needed to activate it compared to a leaf switch. 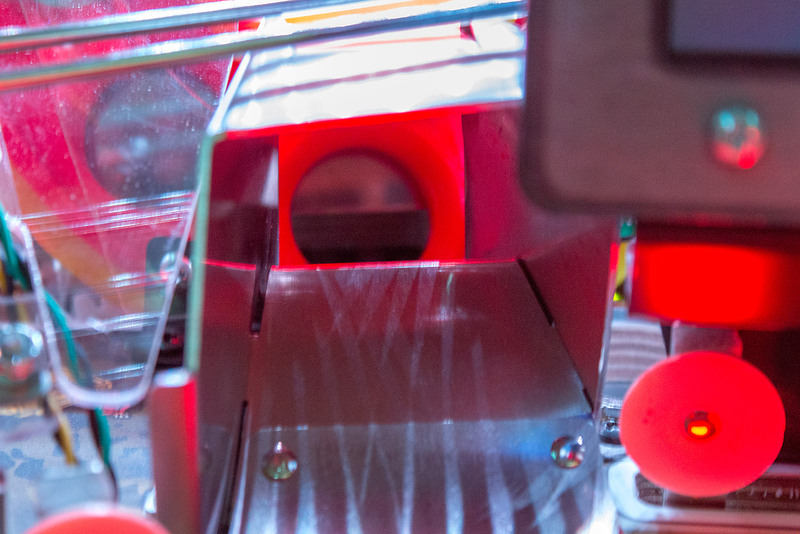 When the ball hits towards either end of the front face it is always going to be less likely to register, but the lone microswitch in the centre exacerbates that effect. 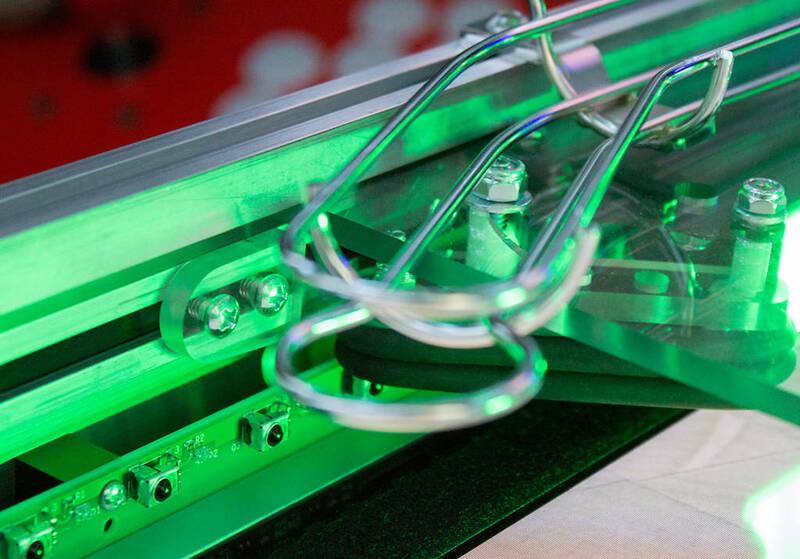 While the concept of firing the slingshot from a remote solenoid using a flat metal rod is the same as the flipper, the slingshot had one further requirement. 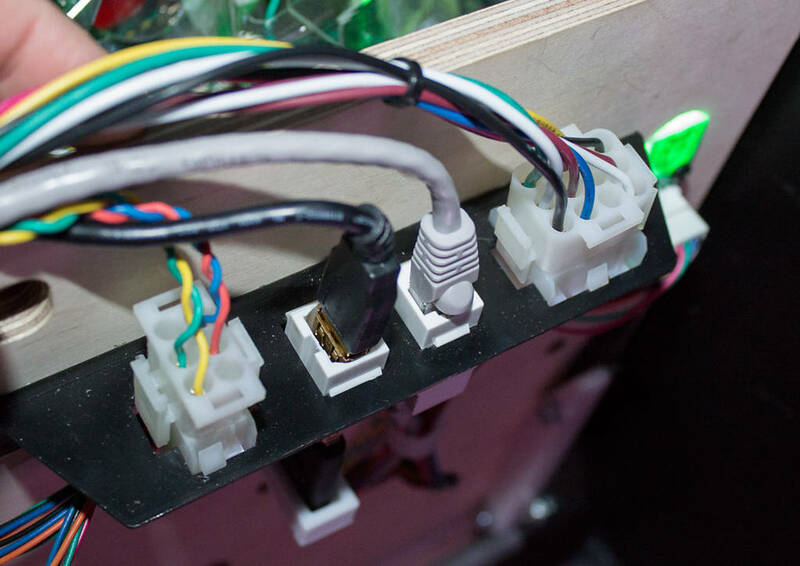 While the flipper is a ‘dumb’ device requiring no extra components, the slingshot needs a cable from the switch back to the switch board. 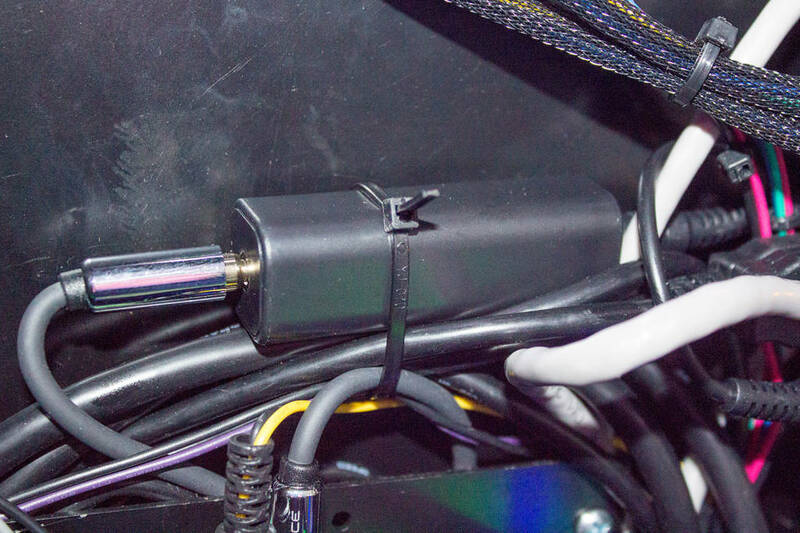 This switch cable is shrink-wrapped and cable-tied so it lies on top of the activation rod. It’s not as elegant as it could be if it ran in a small fixed black tube, but it does work. Down at the other end of the activation rods are the flipper and slingshot solenoids. These are mounted side-by-side on the clear plastic sheet and sit under the bottom arch when everything is reassembled. 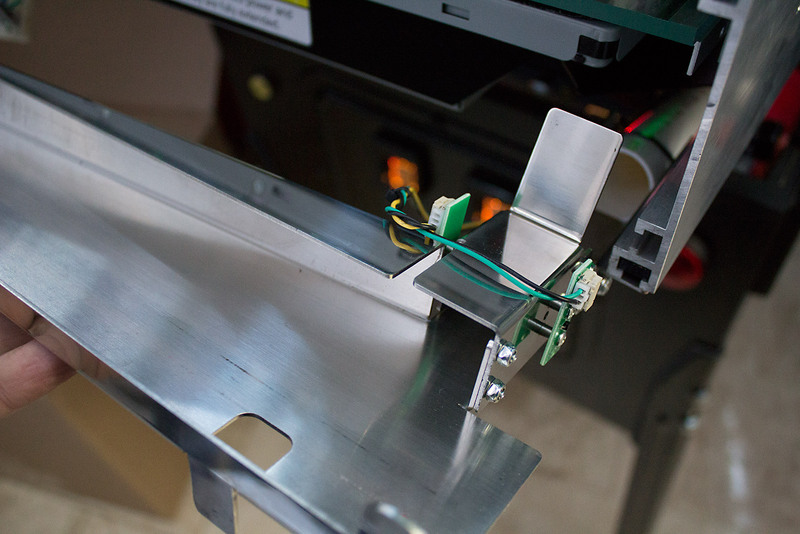 It’s worth noting that there is no end-of-stroke switch on the flipper to help manage power use and thus coil temperature. Presumably the Multimorphic team has found that not to be an issue. The solenoids are also hidden from view by being surrounded by a metal ball guide which forms the back wall of the outlane. 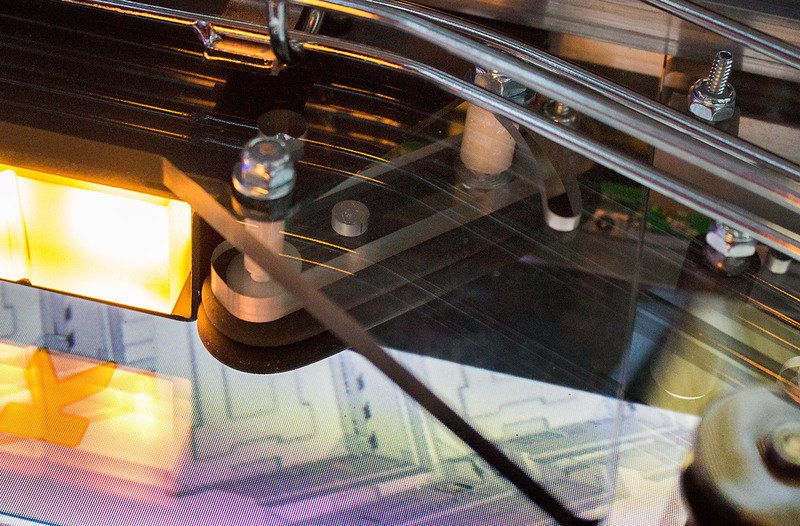 The next layer down from the flippers and slingshots is the playfield surface. 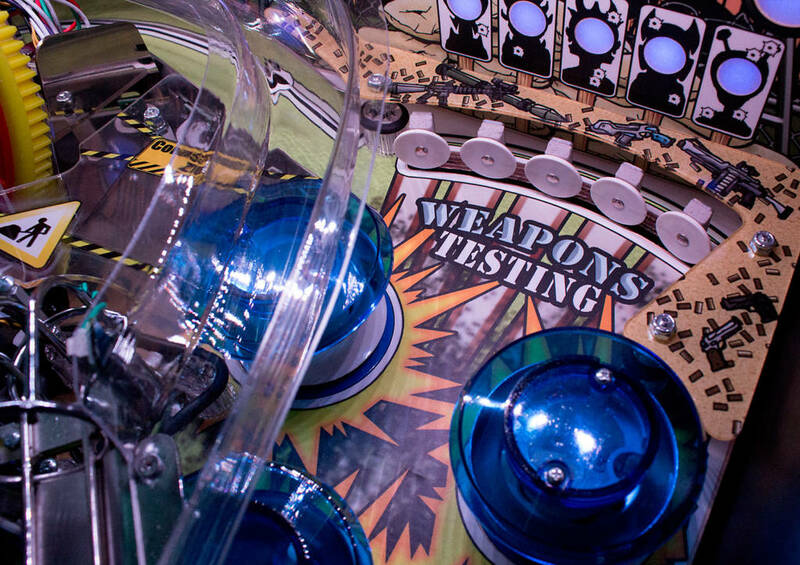 Although the LCD monitor provides the playfield artwork, in-game graphics, and the scores and player information, the face of the panel is not something you’d want a steel ball rolling and bouncing over. 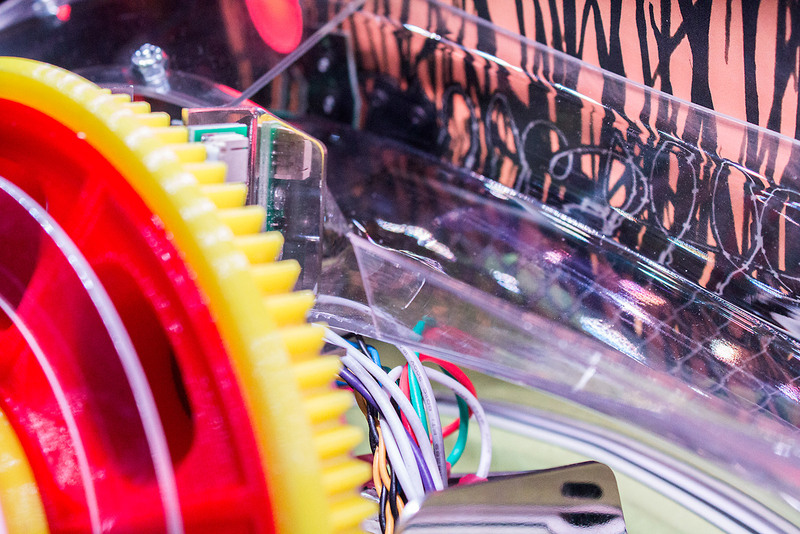 So there is a clear plastic sheet covering the monitor for the ball to roll on. 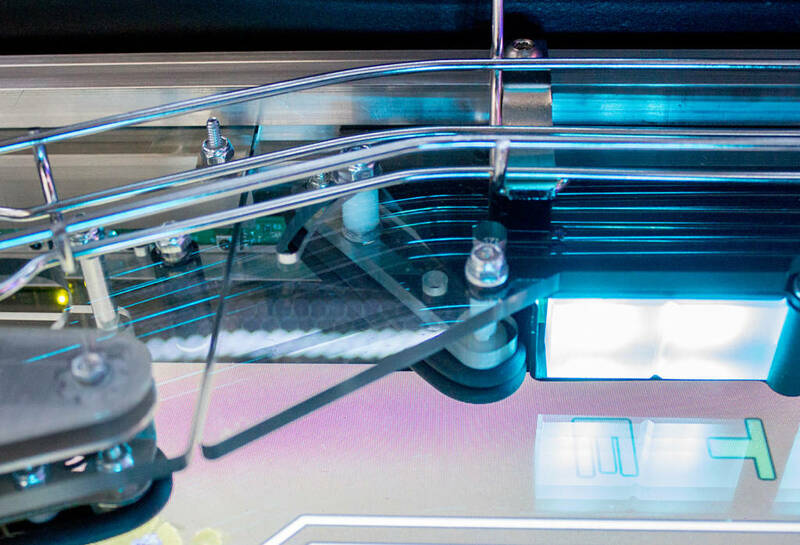 If there are any scratches, dimples or any dirt build-up, they will be on the plastic sheet which can be taken out for cleaning or to be replaced. 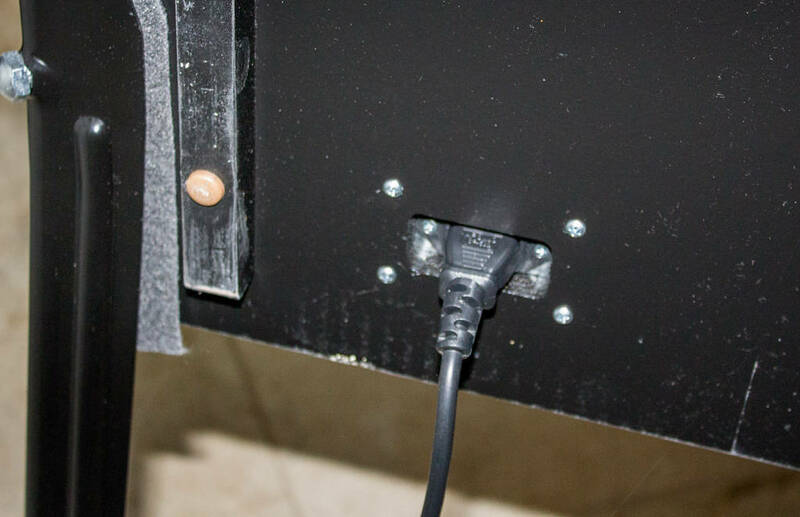 To help keep the monitor’s surface clean, there is a fuzzy felt edging strip to prevent dust and dirt getting under the clear playfield sheet. 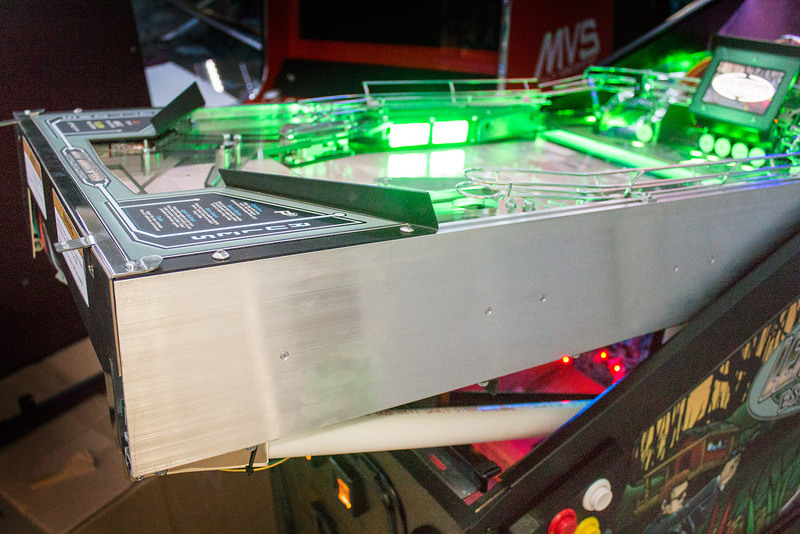 When it is in place, the playfield sheet sits in the gap just below the two long rows of infra-red LED running down either side of the playfield enclosure. 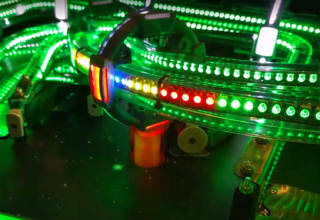 Above the IR LEDs are the slide rails where the flippers/slingshots sheet goes, and where most of the main playfield mechanisms attach. 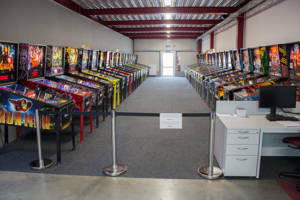 That means they also slide in and out if you need to clean, service or replace them, and gives the possibility of adding extra mods or playfield features for certain games. 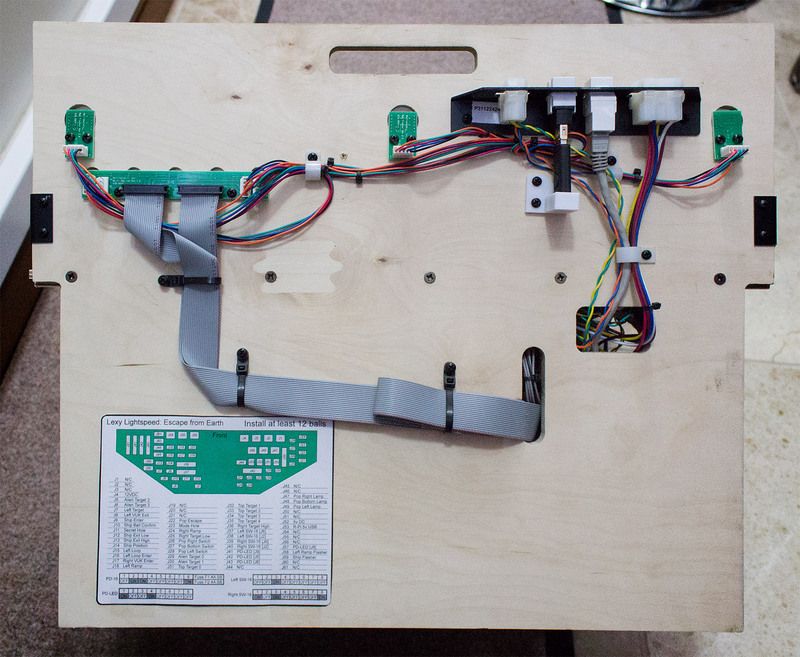 It’s not quite as modular as swapping out the upper playfield module, but it’s certainly possible. 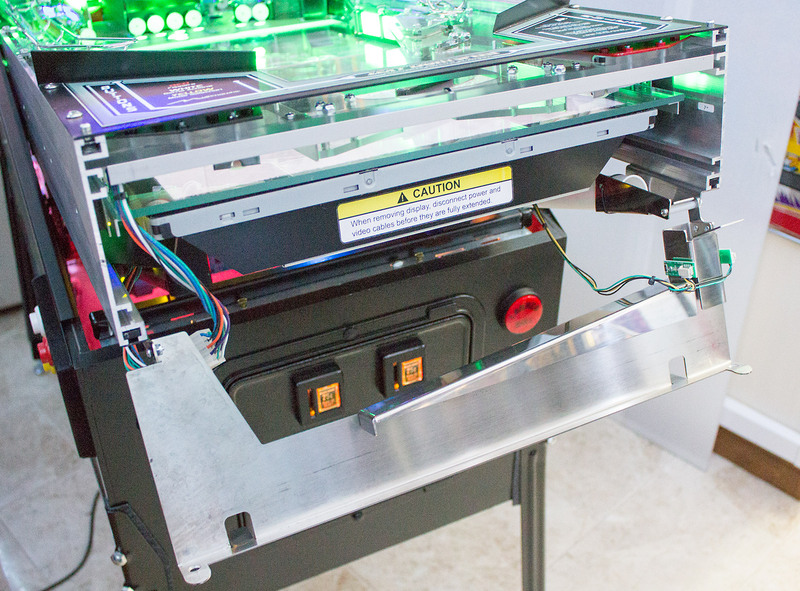 To see what’s in the base of the cabinet we need to move the playfield into its second service position. 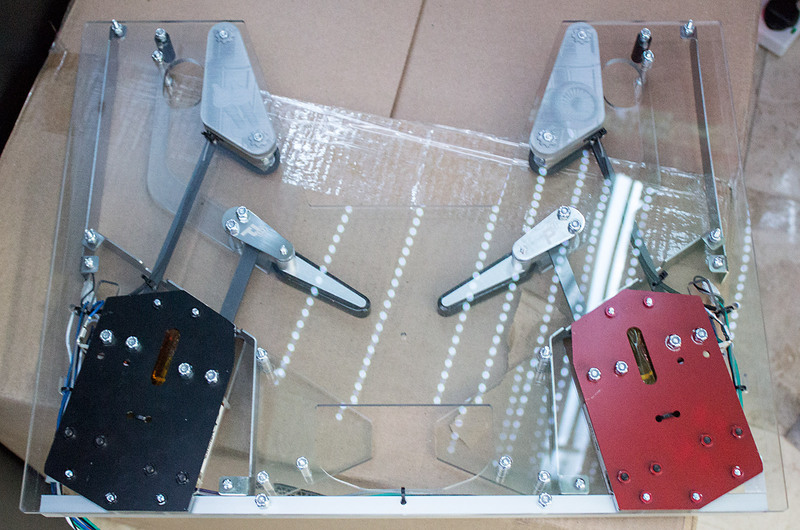 That involves sliding the whole enclosure out further and resting it on the back of the playfield support frame. At the back of the cabinet is where the main power handling is done. There is the mains power connector on the back which is hidden inside a metal box with a warning label attached. We didn’t disassemble it but we suspect there is also a power supply or two in that box given the multitude of cables emerging from the left side. There are certainly a couple of power supplies in front of the power box. The first is a single low-voltage DC switching supply which needs to be set to the appropriate voltage for the region. 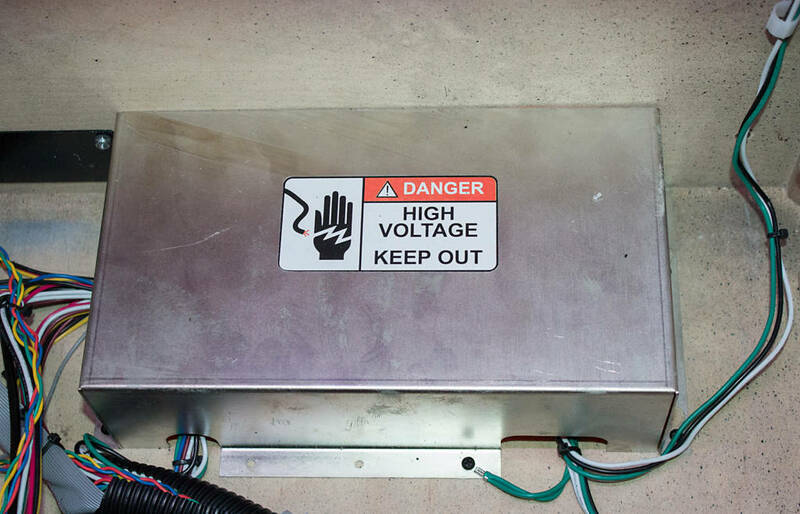 The actual voltage is variable but we suspect it is the 12V feed for motors and other toys. 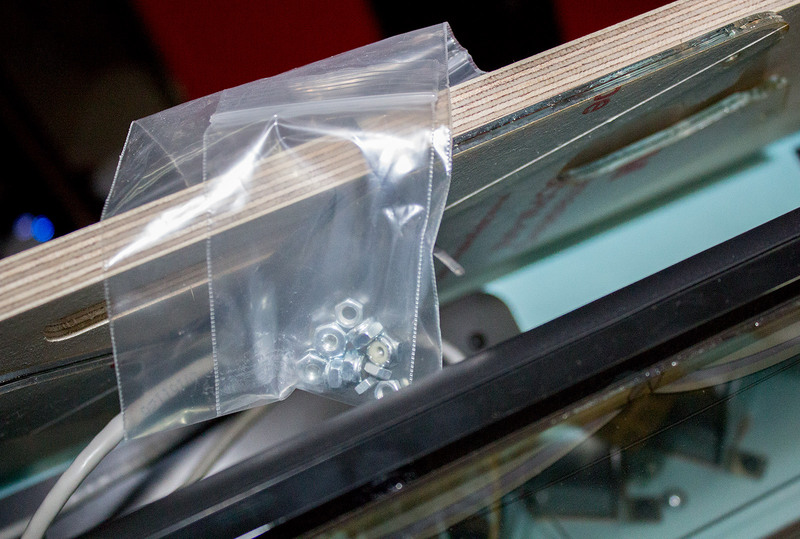 There’s no protective plastic shield over this supply to stop any small parts falling through the metal case, although it’s worth saying the holes are pretty small and probably fine enough to prevent any of the screws, bolts, nuts, washers or other hardware getting inside. 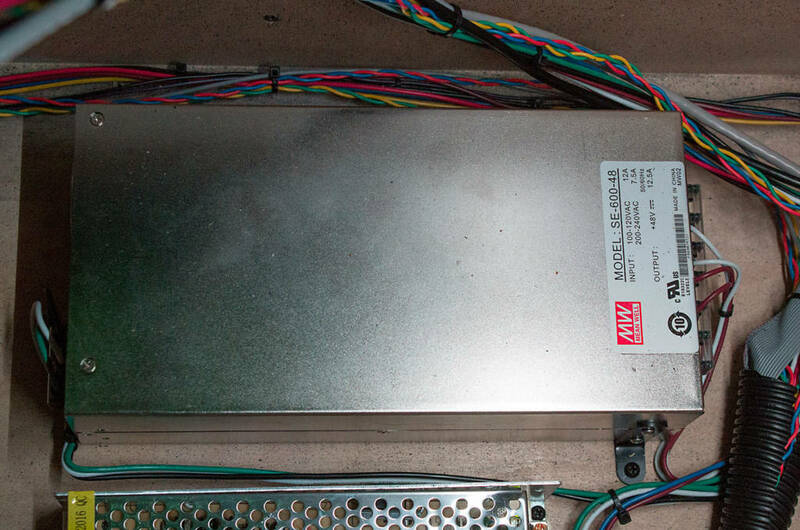 Next door is the higher-voltage 48V DC supply for the solenoids. 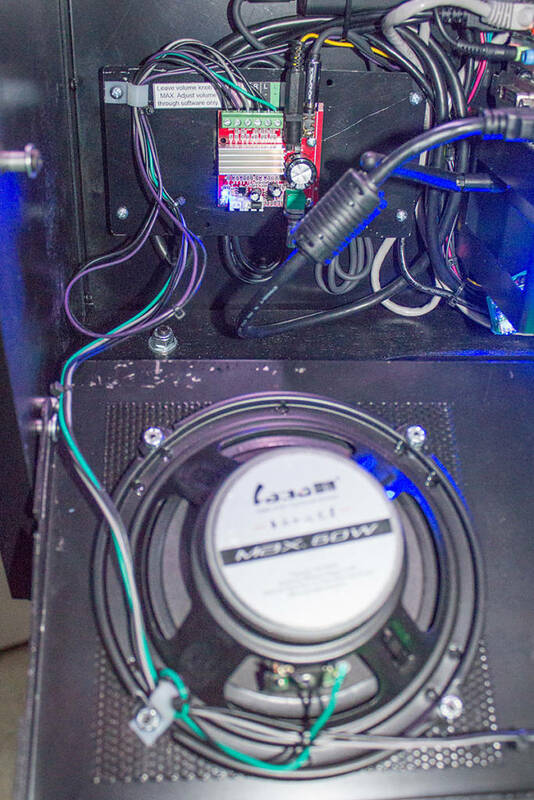 These power supplies are joined in the base of the cabinet by the subwoofer speaker. 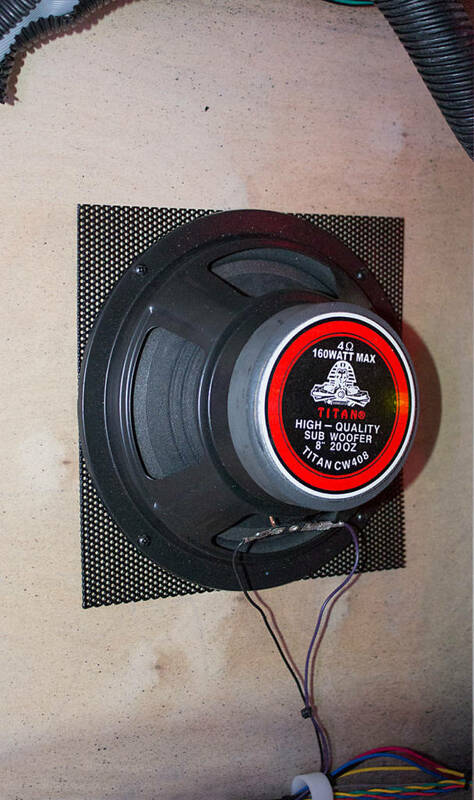 This is a standard 8-inch bass speaker which is surprisingly powerful for its size, given the grade of cables used and the small amplifier driving it. In the back-left corner is a run of cables going up to the backbox. Not all of them are for the backbox though, as there are two more 12-LED lighting boards mounted at the back of the cabinet below the backbox. 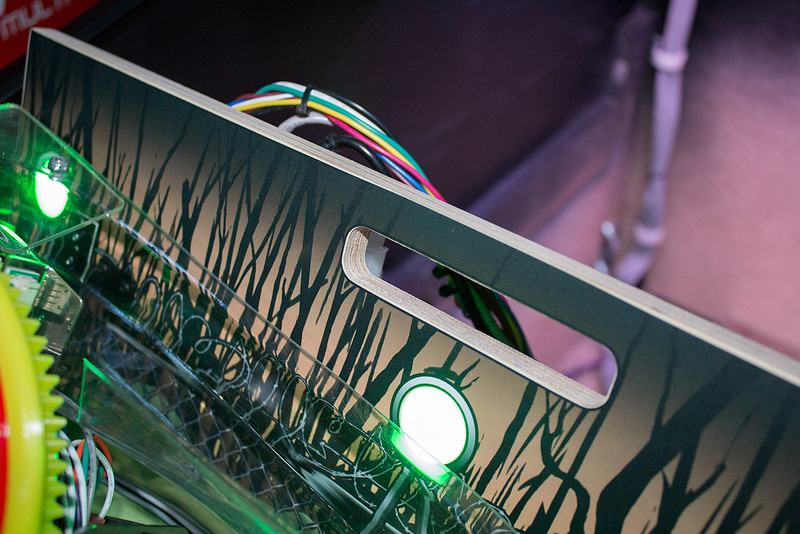 These light up the back of the playfield very nicely, and are normally completely hidden from view. 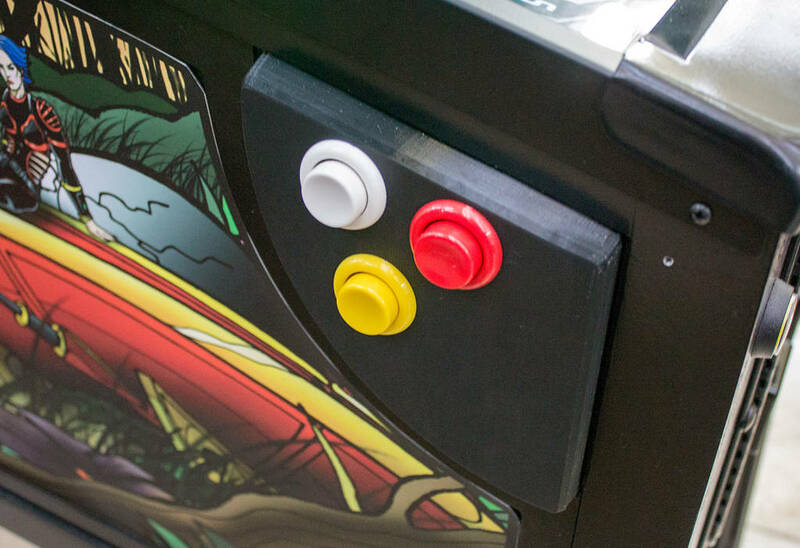 Before we leave the cabinet it’s worth a quick look at the shaped wooden guides on which the playfield slides when it is pulled forward. Now we return to the playfield and the hardware devices included with the P3. 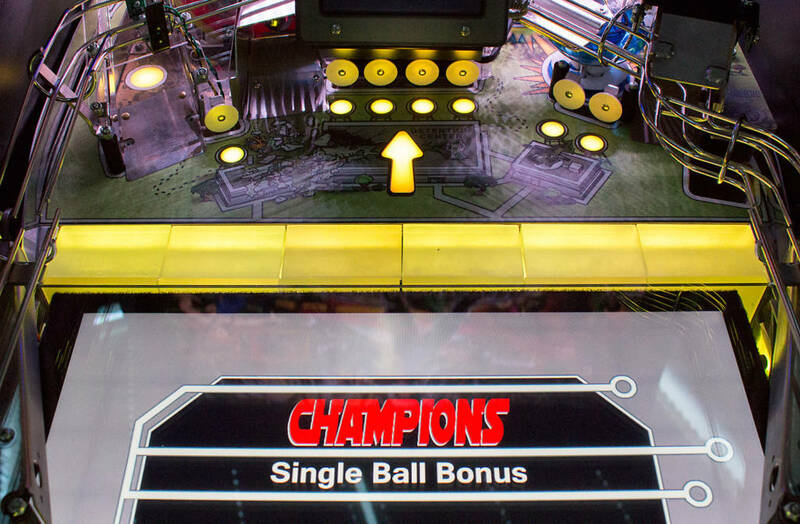 We’ll do this in two parts starting with the main P3 part of the playfield which doesn’t change between games, followed by the upper playfield module which can be exchanged. 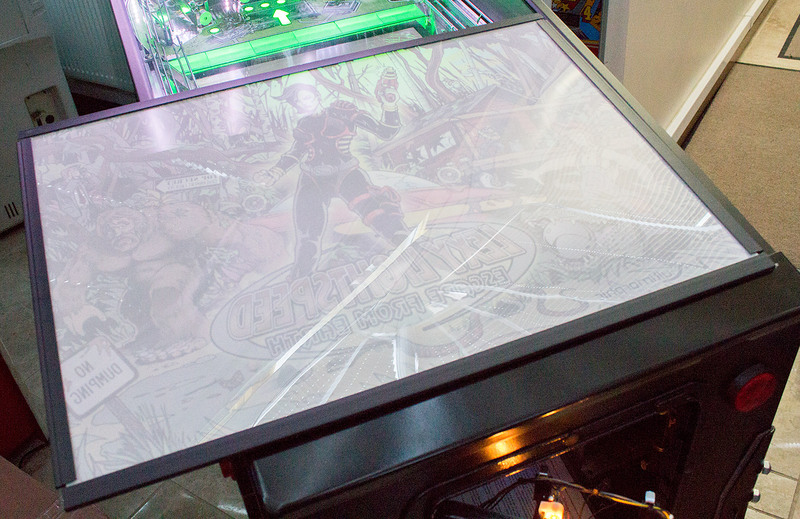 With no backbox LCD display, game information is all shown on the 32″ playfield panel. The area below the flippers is where the standard information about credits, player scores, ball number and so on is displayed. This also shows you whether the game is level horizontally and the vertical pitch, which is a nice touch. We looked at the flippers and slingshots earlier, so let’s just take a quick look at how the slingshot looks in position before jumping over to the inlane/outlane arrangement. 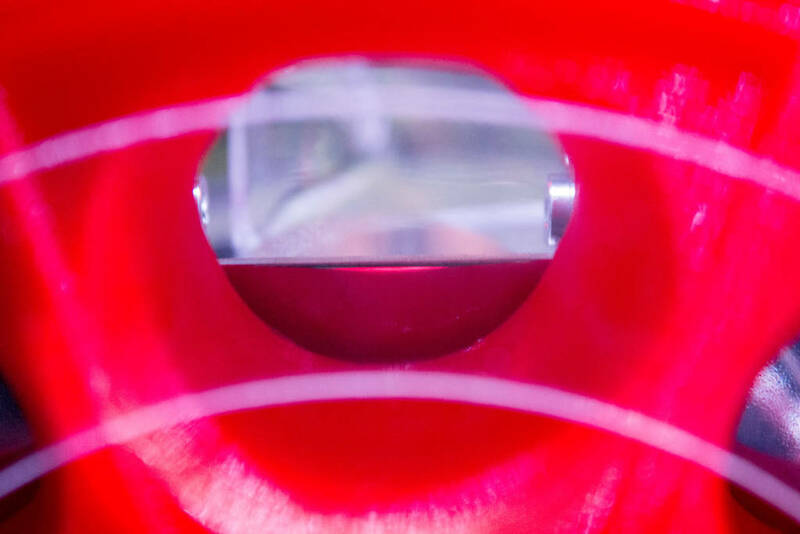 There is one inlane and one outlane on either side, with a clear plastic ball guide dividing them. 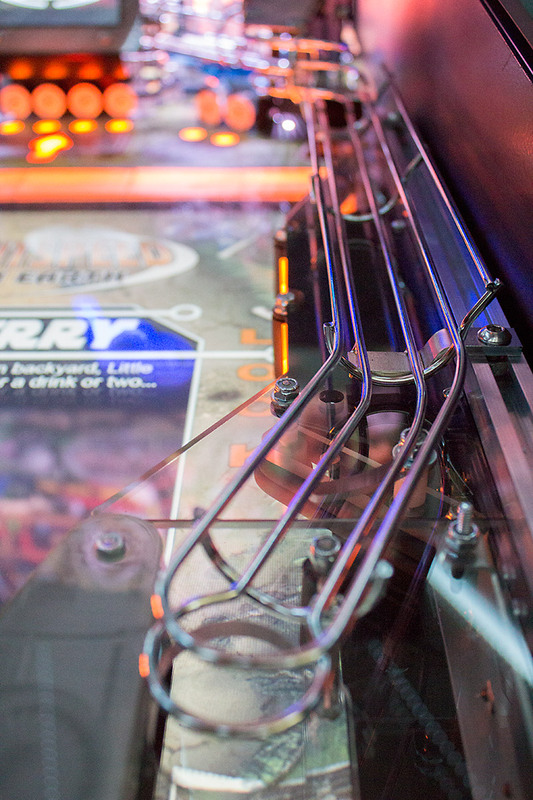 With the monitor below the playfield, the posts at the top of the inlane, just like the slingshot assembly, have to be suspended from the same clear plastic sheet. 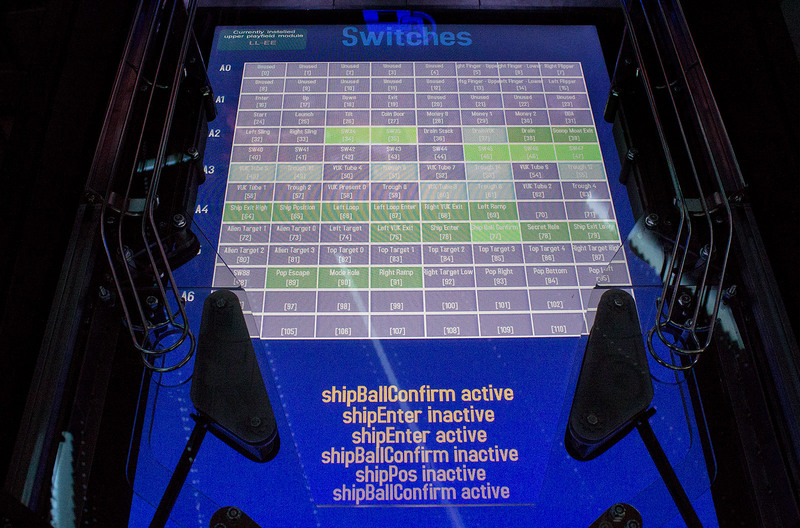 That also means there are no physical switches to detect when the ball rolls through either lane. Instead, all ball detection in this area is done by the IR LED ball tracking system. The inlane is the drop-off point for the left wireform. Where this is fed from depends on how the upper playfield module is designed, so it could be from a ramp, an upkicker, an upper playfield exit, or some other toy. Most games allow you to adjust the width of the outlane to vary the game’s difficulty, and the P3 is no exception. A rubber ring-encased bar can be pivoted to open up or narrow the outlane’s width and to deflect balls towards the inlane. It’s a practical solution, although the wireform above does make adjustment a little more difficult that it could be. In addition, the post at the top of the inlane/outlane divider can be moved down to a lower position to make the outlane entrance wider. Above the inlane/outlane area is the first of two four-banks of illuminated standup targets. We call them standup targets but that’s more a description of how they look than how they operate. 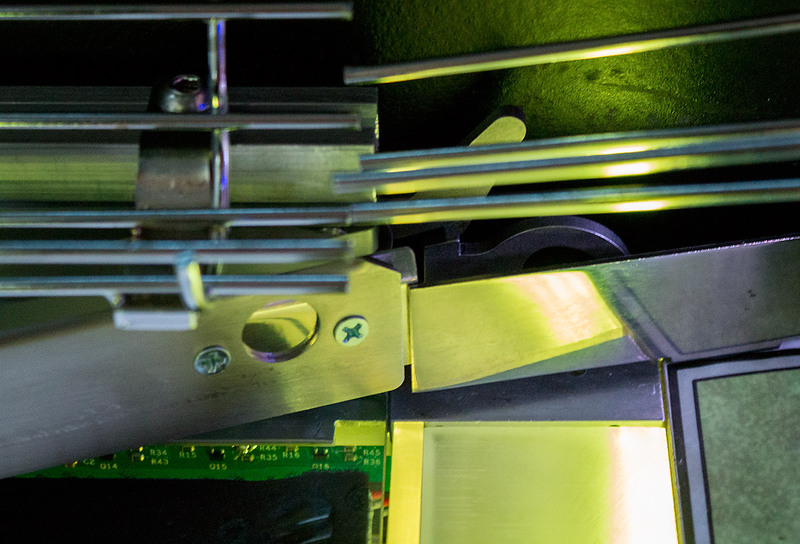 These targets are mounted on the slide rails (like everything else) so the IR LED grid can shine below them, and it is this which determines when the targets are hit. All four are internally illuminated by RGB LEDs to indicate when they are available and when they have been hit, while their function in the game is shown on the LCD screen below. Above the four-bank is a rather odd-looking ball guide with cut-outs which don’t seem to perform any practical function but does allow tools to be inserted to unbolt the target bank. It seems like the space could have been used to provide another target or feature. Above the ball guide is the metal wireform which returns the ball to the left inlane. 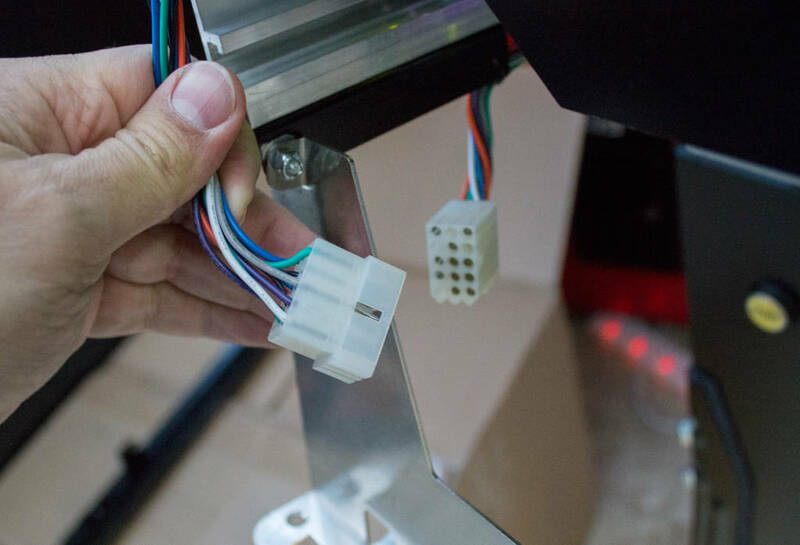 This needs to mate with the equivalent wireform on the removable upper playfield module to ensure the balls roll smoothly back to the flippers, but also needs to stay out of the way when the upper playfield is being removed. 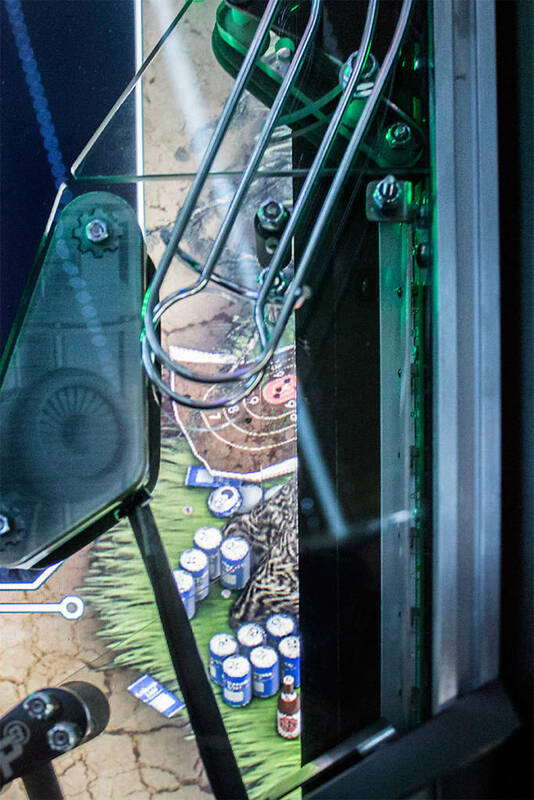 The biggest mechanism (apart from the monitor) on the playfield is the row of six walls and scoops which run across the width of the playfield just above the monitor. The walls are pop-up blockers which prevent a shot being made. 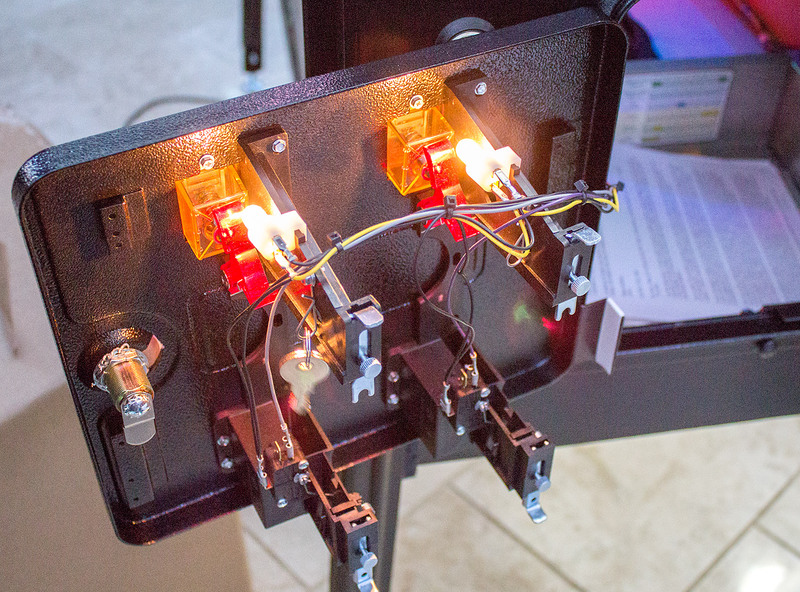 They are all individually controllable and bottom-lit by RGB LEDs. In most cases hitting the walls does nothing other than stop the ball, but the ball tracking can be used to react by dropping the target, giving awards or taking things away if you unintentionally hit one. Behind the walls are six pop-up scoops. Balls shot into the scoops roll into the ball trough behind, which then ejects them through upkickers onto the upper playfield module. That’s as far up the playfield as we can go before we hit the upper playfield module, so let’s swing over to the right and see what’s on the main playfield there. The right side is a mirror-image of the left side, with the same strange ball guide, the wireform linking with the upper playfield wireform, the illuminated four-bank of targets and a single inlane and outlane. So that’s what’s installed on the main part of the playfield. Apart from the walls and scoops there’s not a huge amount going on either side of the monitor. However that is ignoring all the possibilities of virtual targets right across the monitor’s surface area. 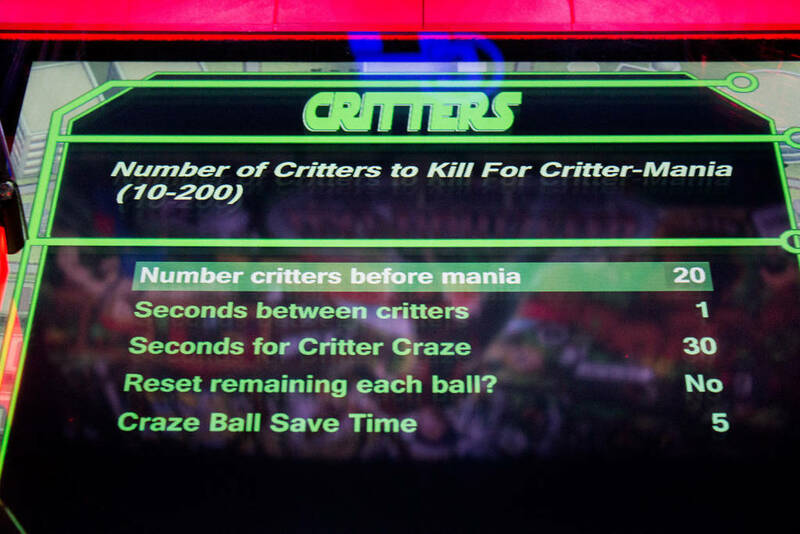 The ball-tracking means an almost unlimited number of detection points across the playfield, any of which could be designated a target. With supporting reactive artwork to match, the number of shots possibilities is also huge. There remains, though, the underlying problem that for some reason hitting virtual targets always feels less satisfying than hitting physical ones. 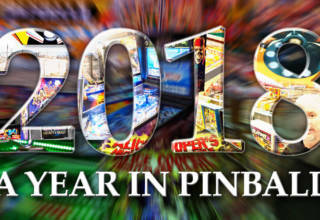 Pinball is a physical game, of course, so virtuality has never proved all that popular whenever it has been tried, unless it is combined with physical objects to enhance their functionality. So the P3 also needs plenty of physical shots, targets and toys, and that’s where the upper playfield module comes into play. 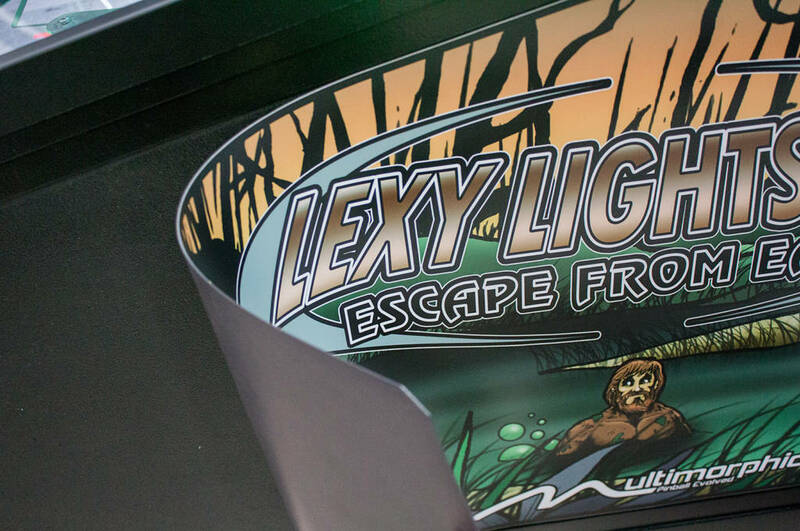 At the time of writing there are two upper playfield modules available – Lexy Lightspeed and Cannon Lagoon. 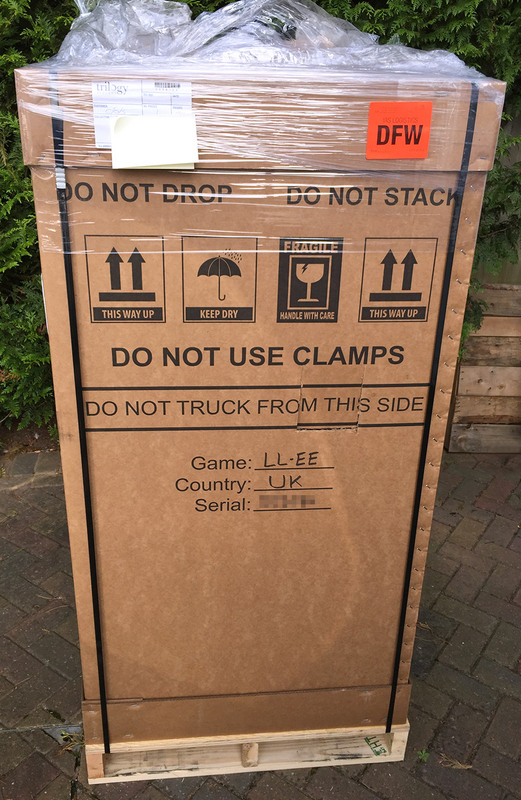 Lexy was installed with the game, while Cannon Lagoon was shipped in a separate box. 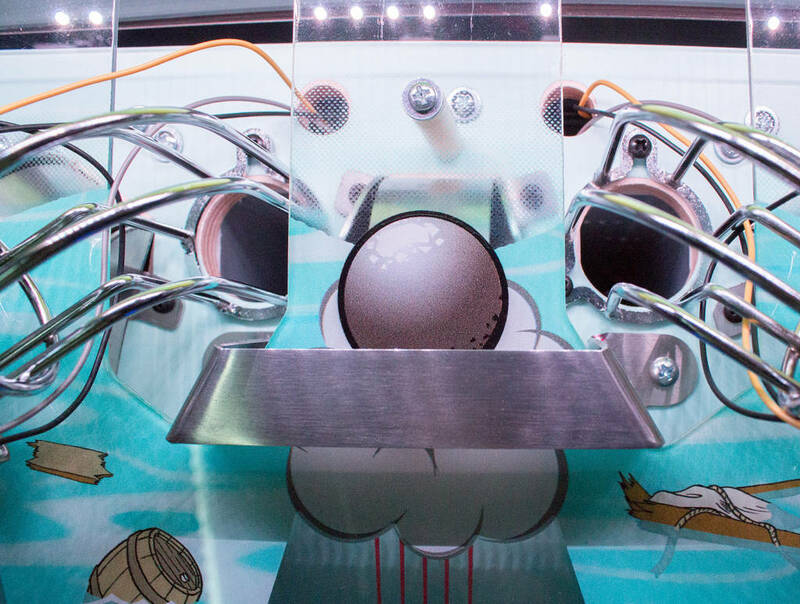 You always need an upper playfield to play any of the games, although titles such as Rocs and Barnyard use the walls and scoops to block shots to the upper part of the playfield, so plugging in any module will do. 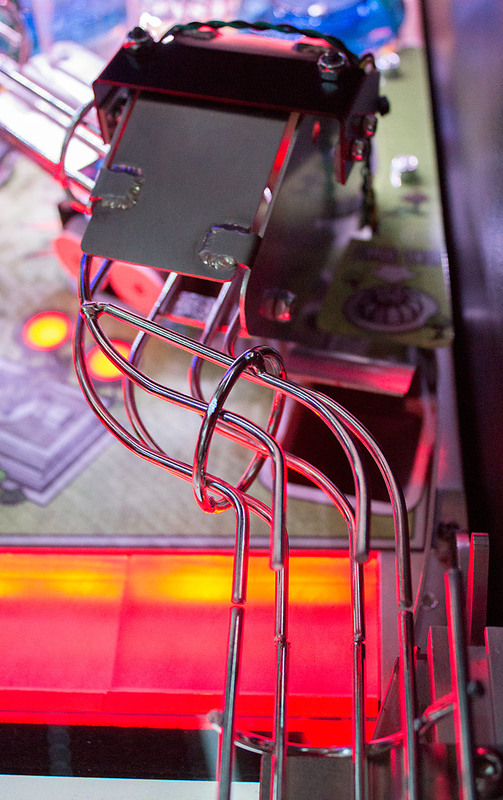 The upper playfield modules are secured in place by two latches – one on either side of the playfield next to the walls and scoops. The locking mechanism is a little odd. You pull the metal ring shown above towards the front until the latch drops. 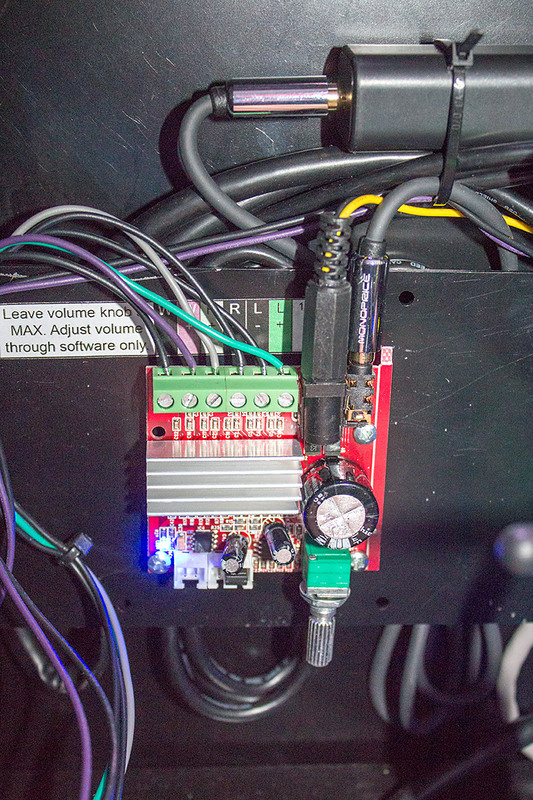 That releases the module but before it can be lifted out there are some connectors to unplug, and – if you remember the warning stickers from earlier in this review – these need to be disconnected with the power off. The connectors are on the rear of the module on the left side. 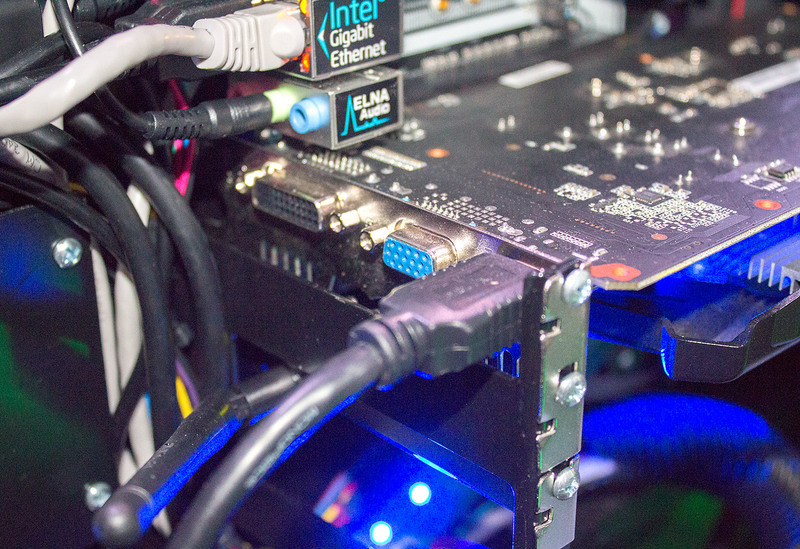 There are four connectors – two power cables for high and low power, an Ethernet cable for data communications and a USB cable which plugs into a dongle which identifies the module to the rest of the game. 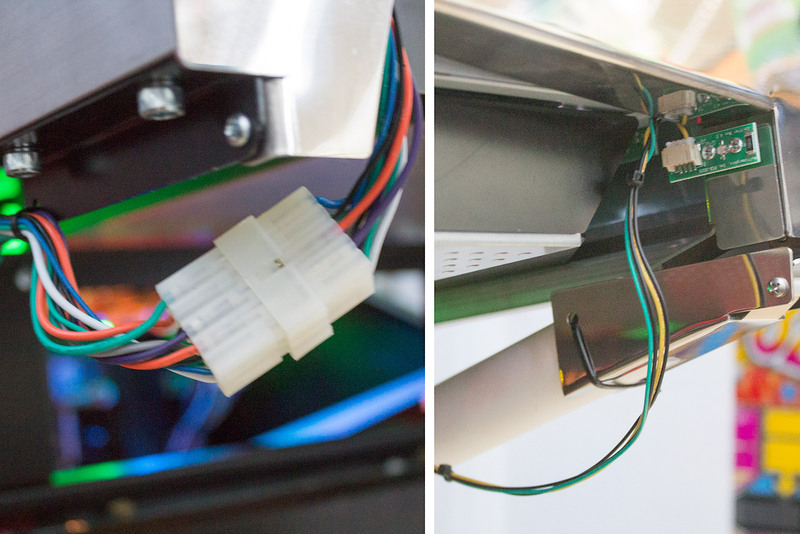 Once these are unplugged, the module can be lifted up and out using a handle at the back. 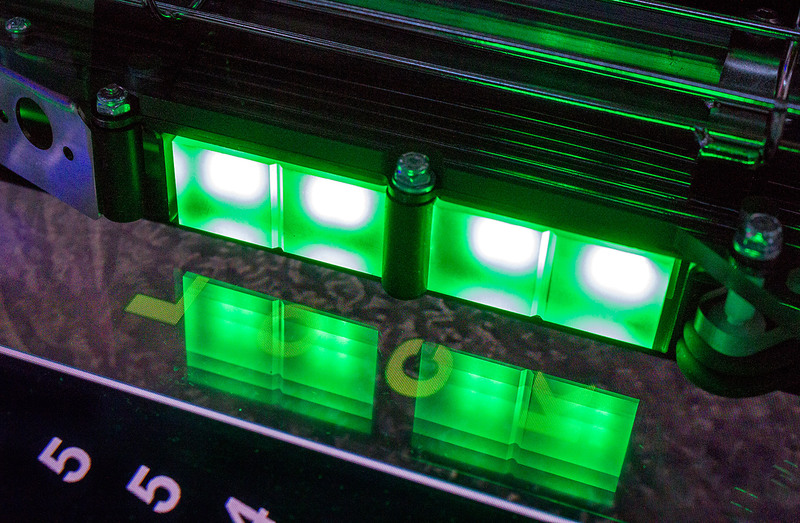 The modules are quite delicate with exposed cables and LED PCBs, so care needs to be taken. Once the module is removed it can be stored in its packing box. We’ll come back to removing the module and installing the Cannon Lagoon one a little later, but let’s stay with Lexy Lightspeed for now and explore its shots, targets and toys, working clockwise as usual. The first thing we come to is the left lane. We might normally refer to this as an orbit shot, only it doesn’t orbit here. Instead it always feeds the pop bumpers in the Weapons Testing area. 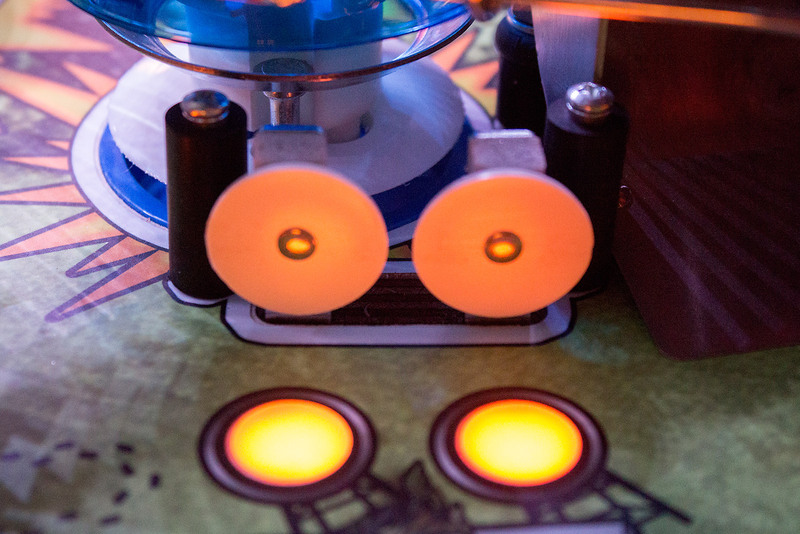 There is a pair of opto switches at the top of the playfield which detect when the ball passes. There’s no IR LED grid in the upper playfield area, so switches and targets are the more traditional optos, blade switches and micro-switches. The left lane sends the ball into the pop bumpers which is called the Weapons Testing area. At the top of the Weapons Testing area is a five-bank of standup targets. These targets can be hit when the ball is kicked by the bumpers. 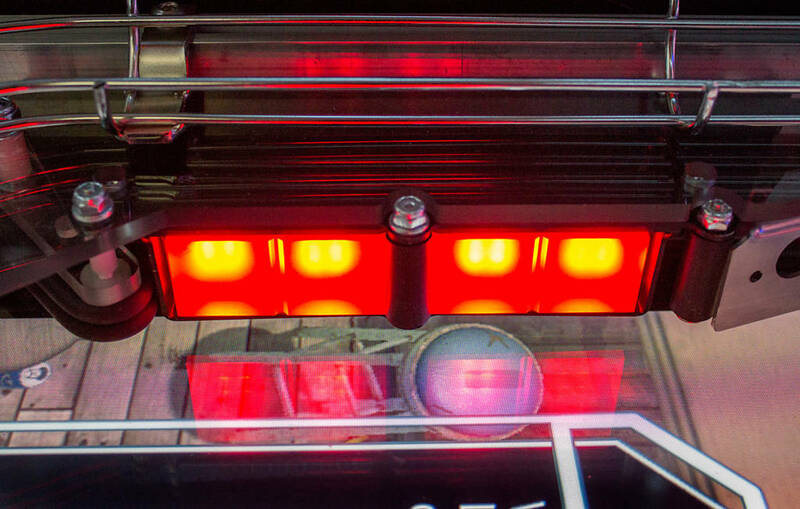 Each target has a corresponding LED above to show when it has been activated. There are the traditional three pop bumpers below the targets, each with a conventional design. They sport blue bumper caps and are pretty active when a ball is introduced, allowing some good movement and sending the ball into the standup targets above. That’s just as well, as the pops are the only way to hit them. There are no flashers to add to the action, but there are two possible exits from the area – one to the right which drops into a sink hole before kicked out of a VUK, and one on the left which sends the ball back to the flippers (or between them). The next shot is the left ramp. 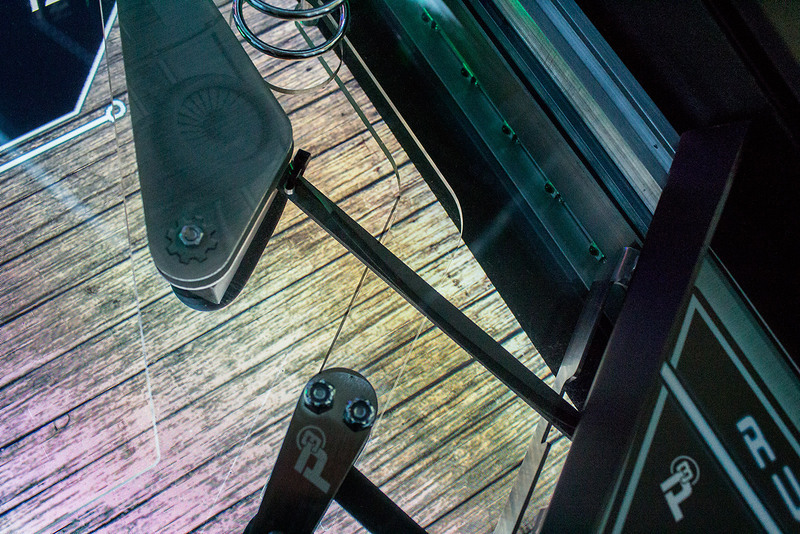 This is quite a steep clear plastic ramp where inaccurate or weak shots will fall back towards the flippers. There us an insert under the ramp entrance to indicate when it is lit for the current mode but apart from that there is no dedicated artwork or inserts in front to advise you to shoot it or tell you what it is worth. Instead this is shown dynamically on the rather more distant main playfield LCD. The left ramp rises and turns to the right, where it passes behind the ball lock and joins the wireform from the right upkicker. This then feeds down to the right inlane on the main playfield. On the right of the left ramp entrance is the first of a row of seven standup targets. Like the other six, this is a white target with a round insert in front. The RGB LED lights the insert and gives a coloured wash to the target face too. Next to the standup target is the spaceship lock shot. 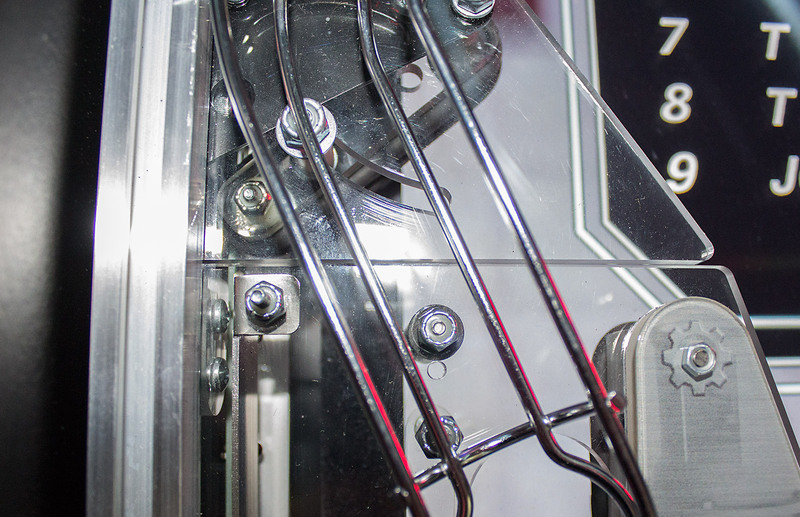 This shot feeds balls into the rotating ball lock via a short metal ramp. 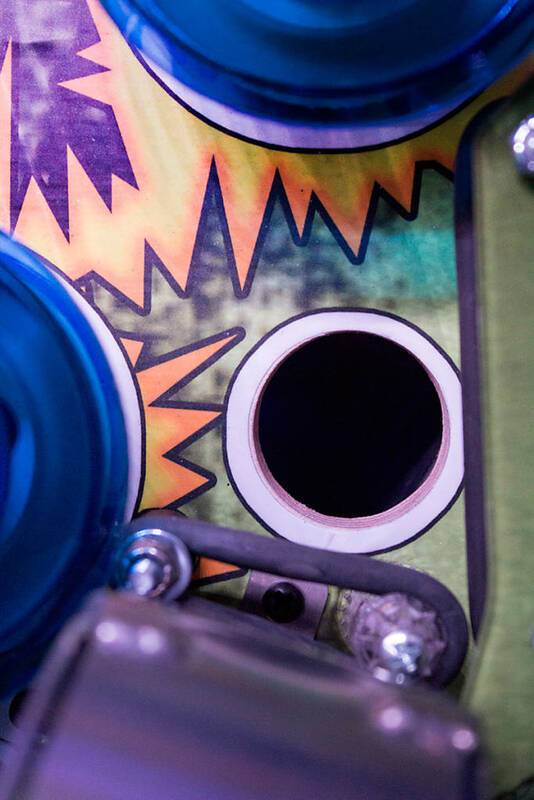 The ball goes up the ramp and drops into the waiting lock hole on the rotating spaceship. Once a ball enters the spaceship, the whole mechanism rotates to either the next vacant slot, or turns fully to release the ball. Balls are released at the top of the spaceship. 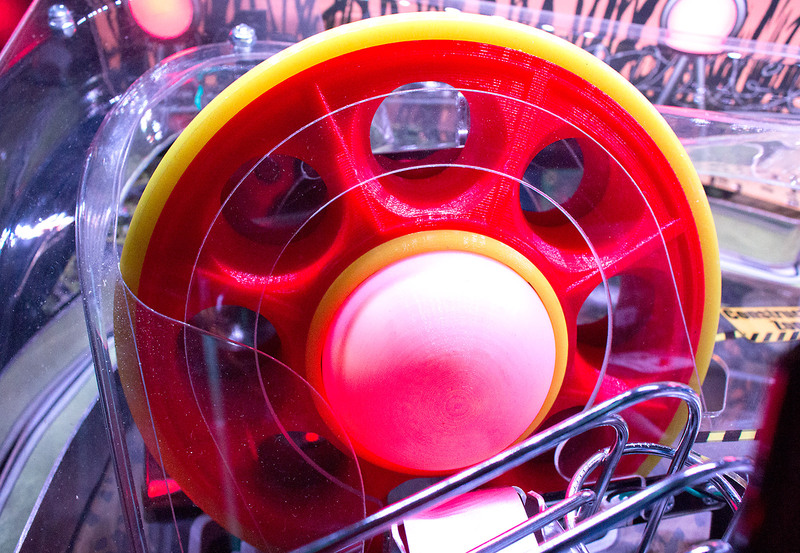 A metal plate stops the ball in the top position from falling out, but that plate can be retracted to allow the ball to roll backwards and onto a short ramp which feels the same wireform we saw above. To the right of the spaceship lock is the upper playfield module’s own 5-inch LCD panel. The 800 x 480 LCD display has a large black bezel and a plastic shield to cover the front. You may remember how we said there was only one video output from the PC in the backbox, and that was for the main playfield monitor. 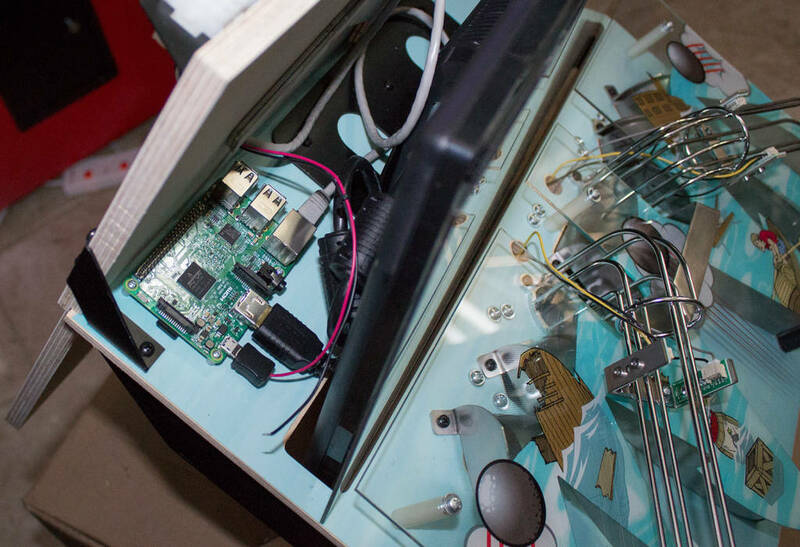 So this upper playfield module contains its own single board computer to drive its monitor – in this case, a Raspberry Pi mounted to the back of the display. 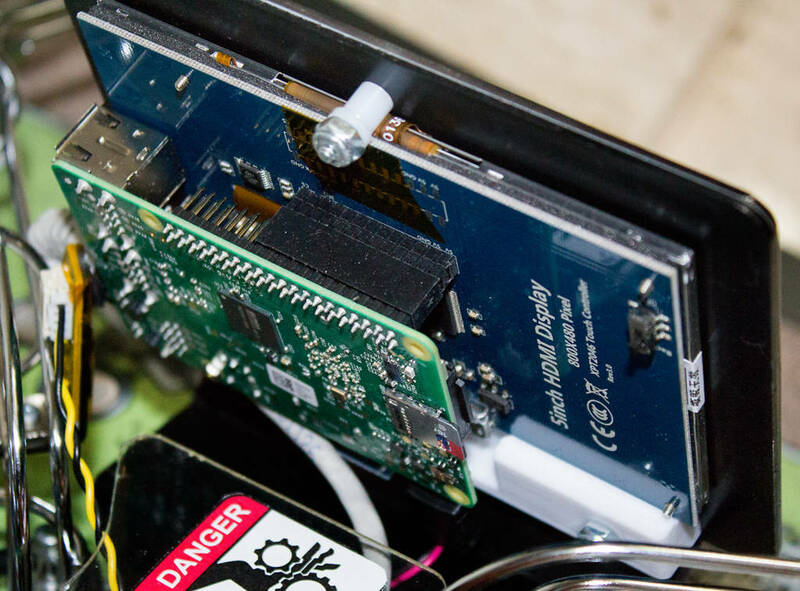 The Ethernet cable connecting the Pi to the back panel connector is bent very tightly to minimise how much it sticks out the side of the display. 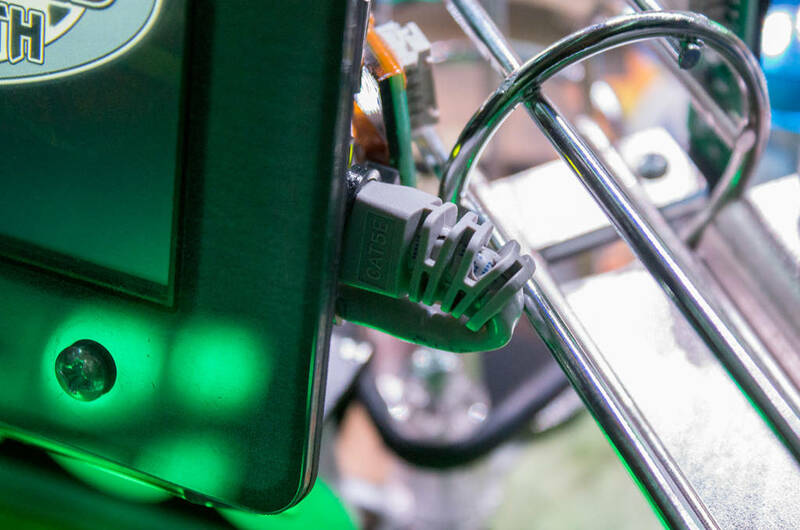 While a good quality shielded cable is a good idea in an electrically-noisy environment like a pinball machine, a black cable or a right-angle plug here might make it less strained and look a little neater. 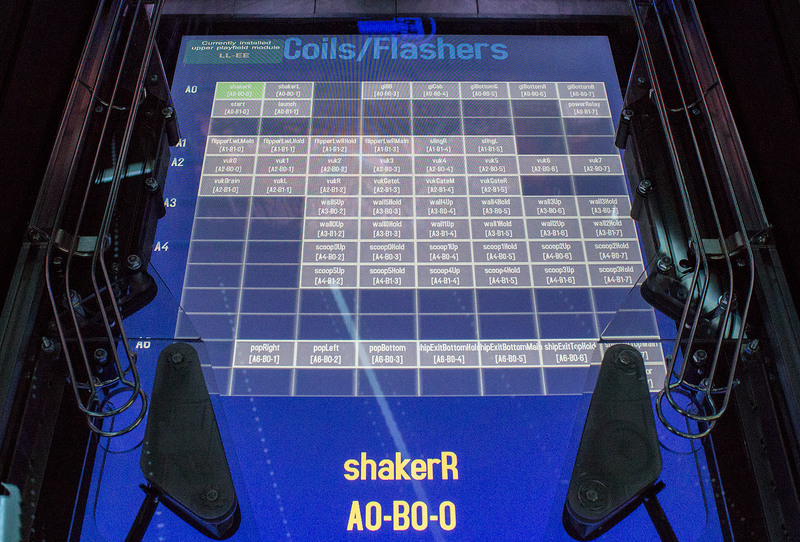 The display is used to provide additional game information to the player and to identify the functions of the standup targets below. 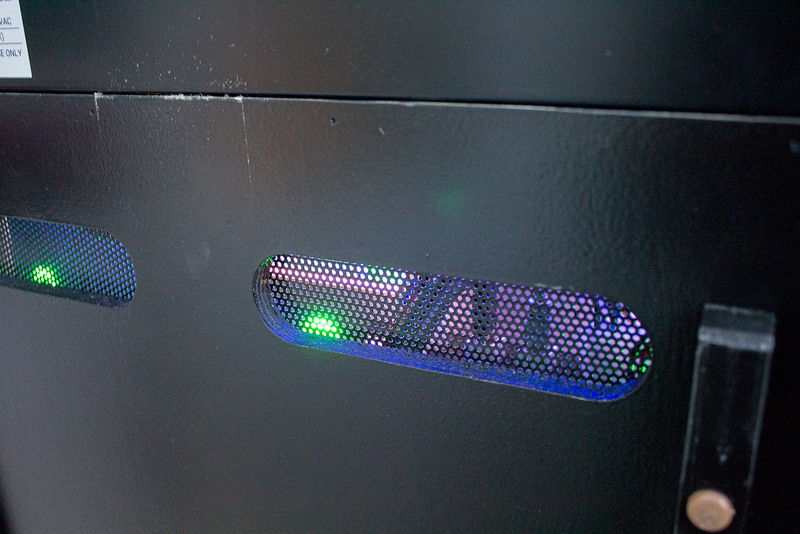 The four standup targets which form the Detention Center are, like those on either side, plain white with colour added by the RGB LEDs under the circular inserts in front. 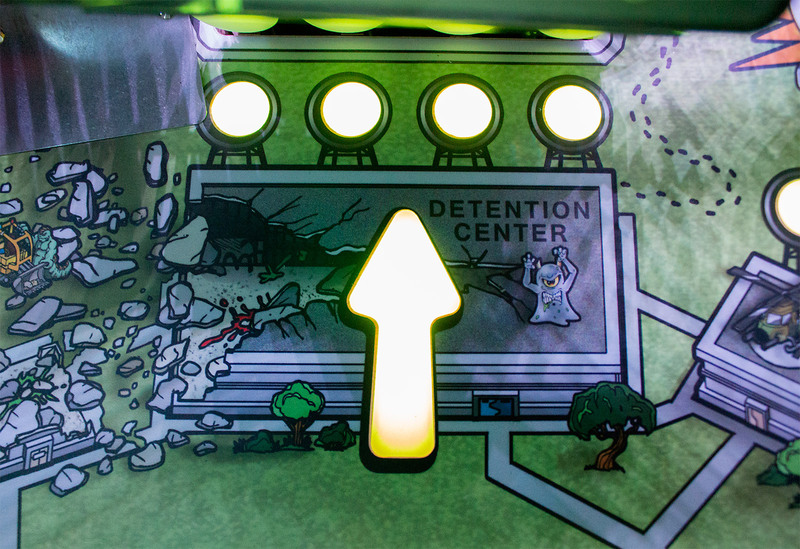 In addition, there is a large arrow insert to draw your attention to the Detention Center targets when they are lit for Alien Attack. 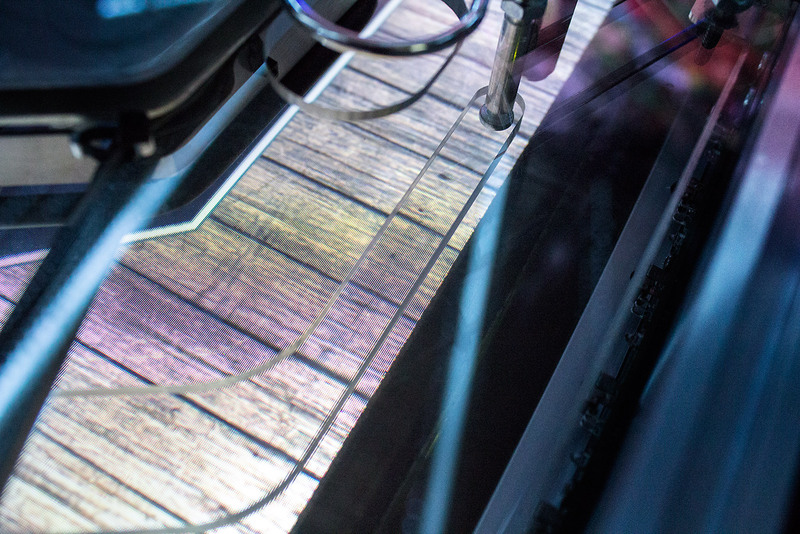 Behind the monitor are the upper playfield module’s two vertical upkicker wireforms. 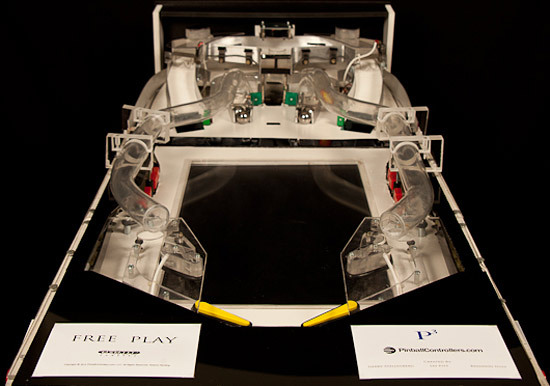 These form part of the P3‘s ball trough system which sits at the back of the game and features eight upkicker positions across the width of the game. 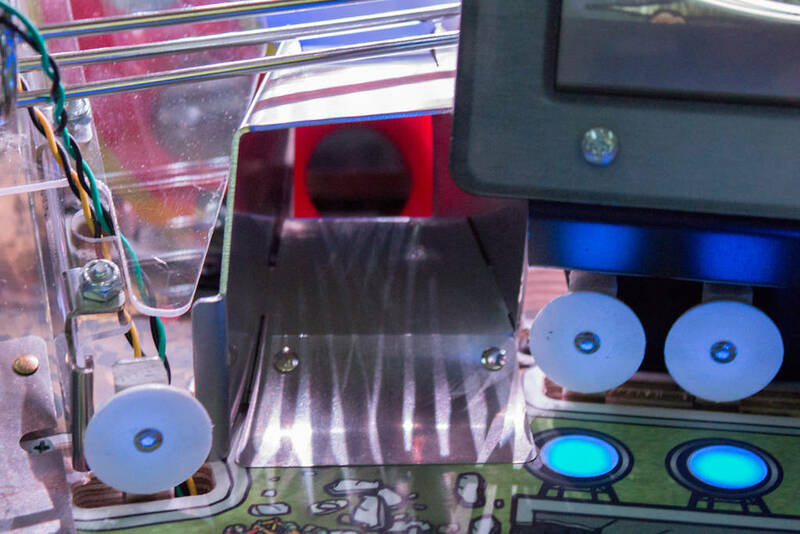 There are only two wireform returns back to the flippers on the main playfield, but an upper playfield module could kick balls out of the trough into other toys, onto the upper playfield itself or onto extra wireforms as long as they don’t impinge too much on the main playfield. The left upkicker is the only feed to the left return wireform, whereas the ukpicker, left ramp, ball lock release and right ramp all feed to the right wireform. On the right of the Detention Center is the left exit from the Weapons Testing pop bumpers, and beyond that are the last two of the set of seven circular standup targets. Then we come to the right ramp. This is a 180 degrees U-turn housed in a robust-looking mechanism. The ramp quickly deposits the ball onto the wireform from the right upkicker, meaning it ends up down at the right inlane. 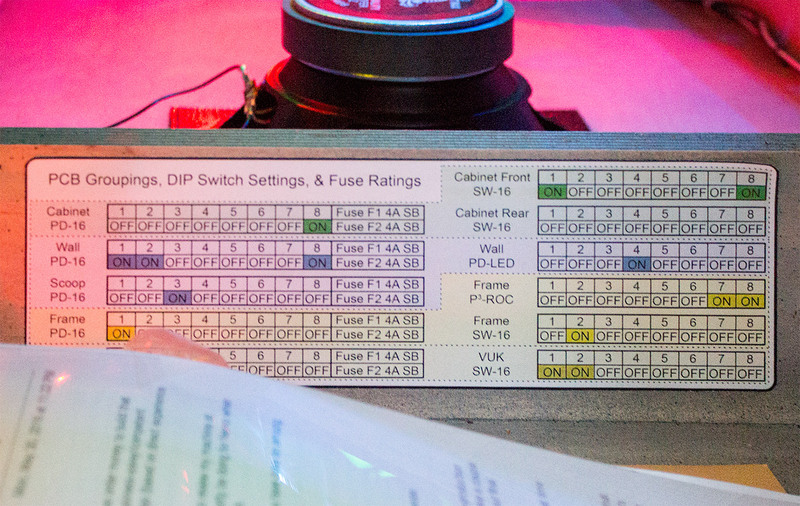 An opto switch at the top of the curve detects a completed shot, albeit with rather visible cabling. 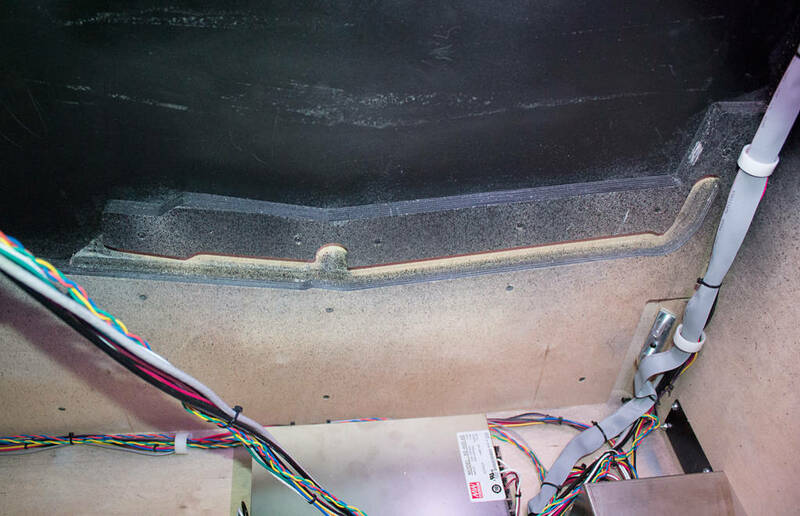 The welds look pretty solid, so they should be up to the task of keeping the ball on-track and moving freely up the ramp without breaking apart. 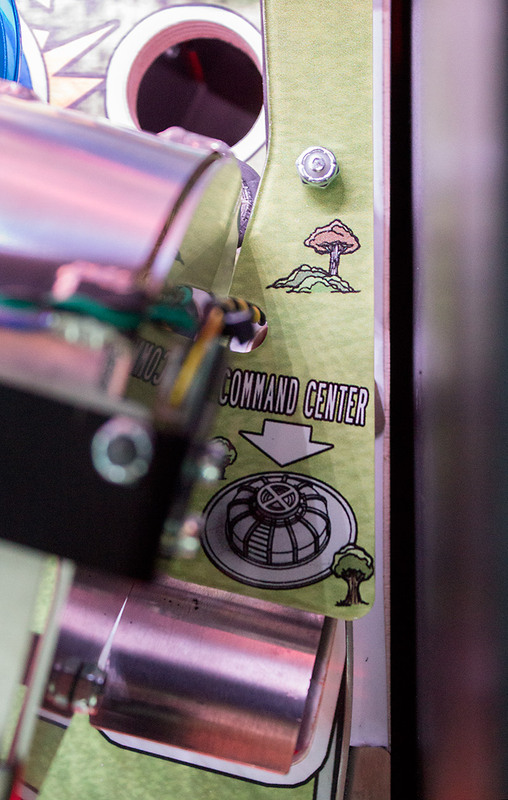 The final upper playfield shot is to the scoop on the far right, which is designated the Command Center. Like the other sub-playfield mechanisms, this one sends the ball to the trough so it can be ejected through one of the upkickers. The Command Center scoop is mostly used to start modes following a shot to the right ramp to qualify it. 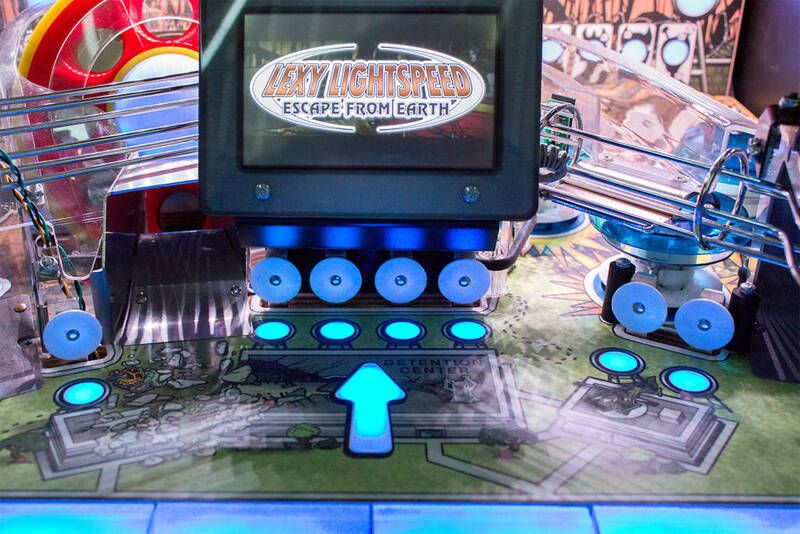 That concludes our look at the Lexy Lightspeed upper playfield module, but if you want to remove this module and replace it with, say, Cannon Lagoon, it’s a fairly simple procedure. 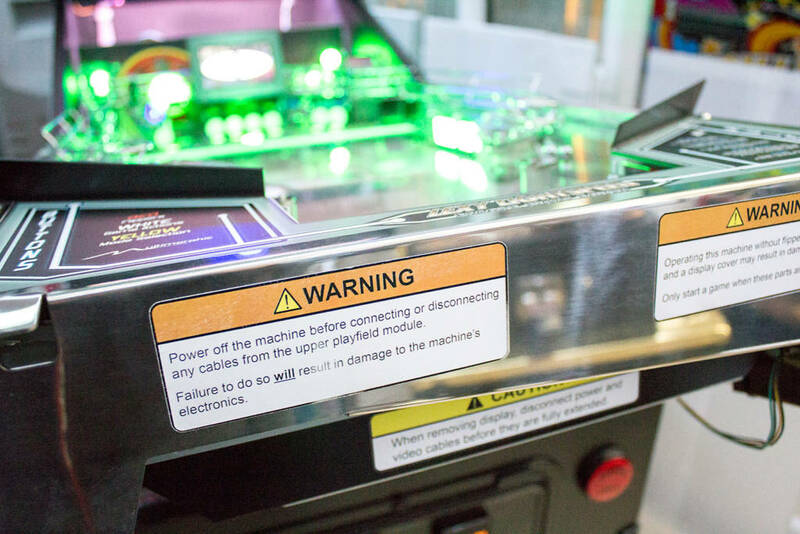 As we saw earlier, you de-power the machine, disconnect the four connectors, unlatch the playfield module and lift the unit out using the handle at the back. 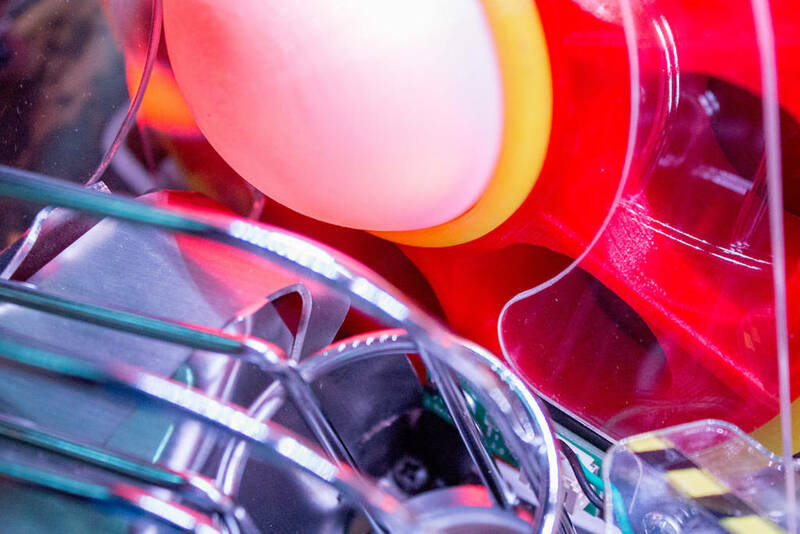 You then need to remove all the balls from the ball trough at the back of the game so that the upkicker wireforms can sit properly above the solenoids. 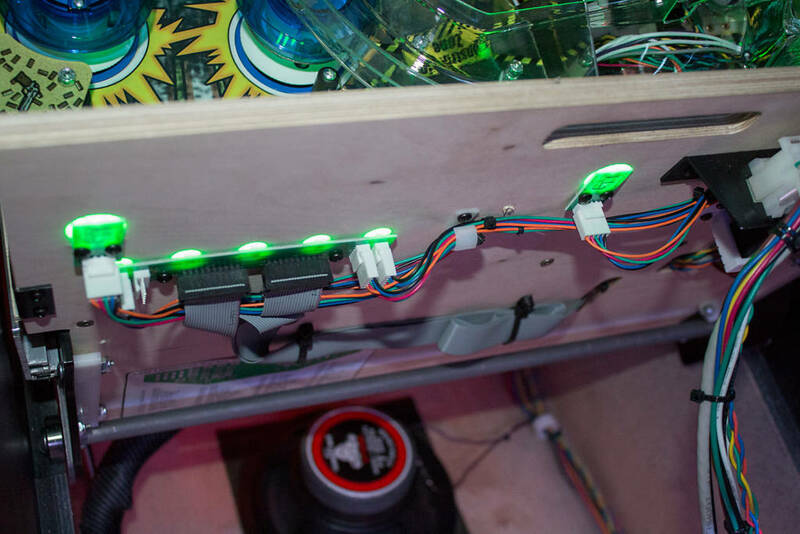 Then you just slot in the new module, connect it up, reinstall the balls through the main playfield drain and power up the P3. The Cannon Lagoon module also has two upkicker wireforms to link to the main playfield’s, but it otherwise pretty sparsely populated with just a series of five lanes each leading to a sinkhole. 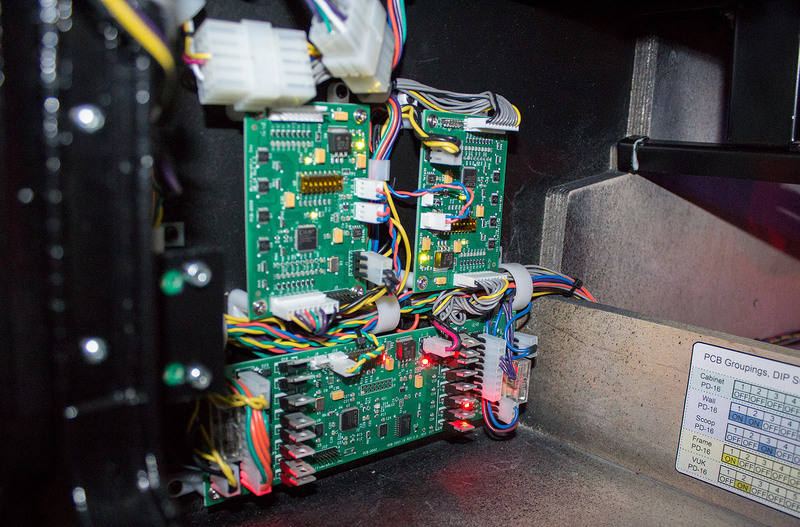 This module also differs from the Lexy Lightspeed one by having a large secondary LCD screen mounted at the back. As with Lexy, the second screen is controlled by a Raspberry Pi board. 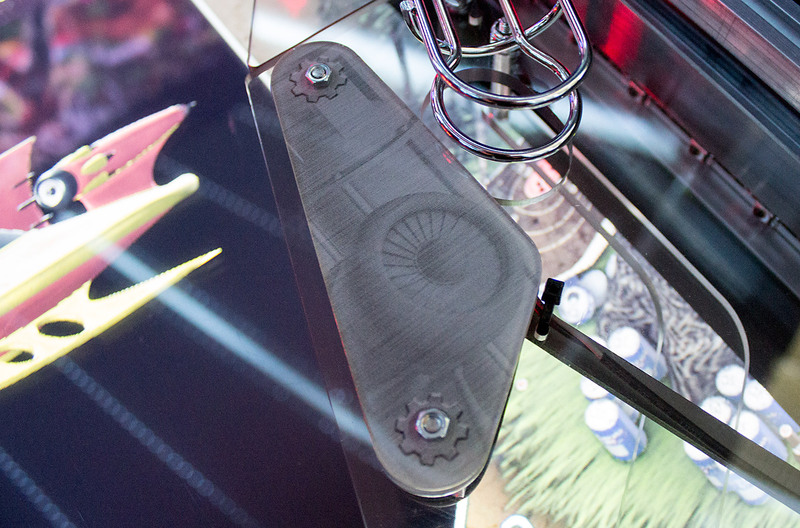 The Cannon Lagoon module comes with some new slingshot plastics and cabinet art to replace the Lexy Lightspeed pieces. They don’t need to be fitted if you are only swapping playfield modules for a short time, but they are useful if Cannon Lagoon will be staying for a while. When the module is installed and the game re-powered, the dongle tells the core P3 software it now has Cannon Lagoon installed so it can unlock the games which use it and disable those which use the Lexy Lightspeed module. 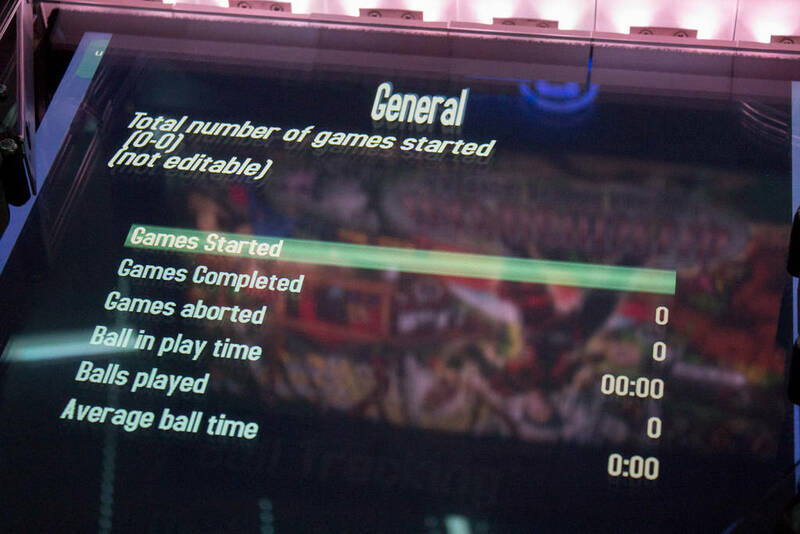 You can swap the playfield module in just a few minutes and have a perfectly playable game. If you want to change the cabinet art and install the new plastics then it will take five to ten minutes longer. Cannon Lagoon is a much simpler game than Lexy Lightspeed with fairly basic graphics which might make the $1,499 cost seem somewhat excessive. 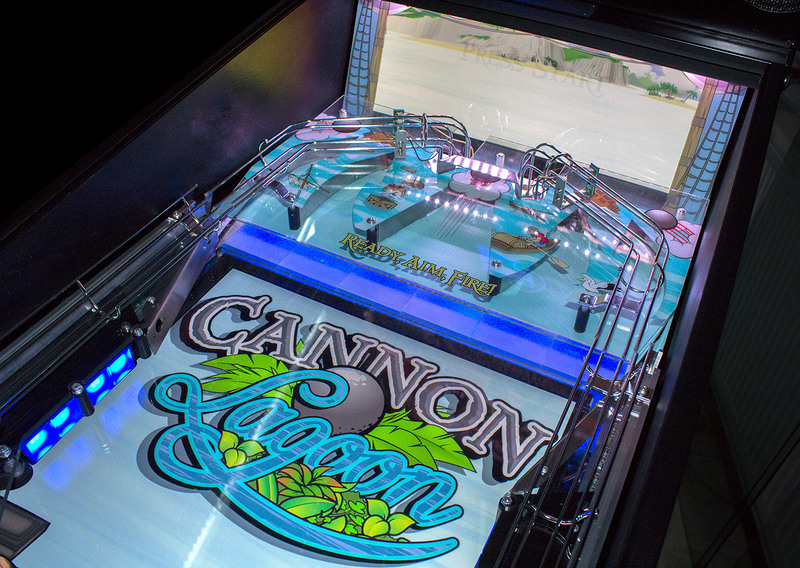 However, the Cannon Lagoon module can then be used with other games including the upcoming baseball-themed Grand Slam Rally and the head-to-head title Heads Up! These cost $499 and $399 respectively which, while not exactly give-aways, are much more affordable prices. 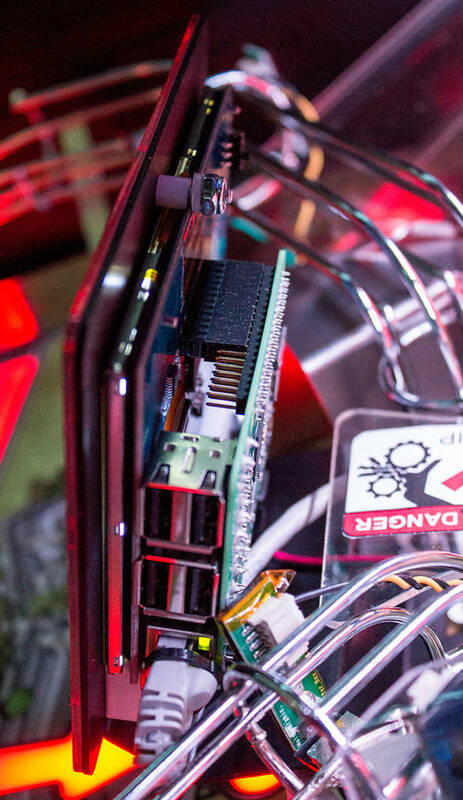 Whichever module you install and game you run, you’re still working with the core P3 hardware and software. That software provides the underlying operating system, which includes a full set of diagnostic and configuration options. 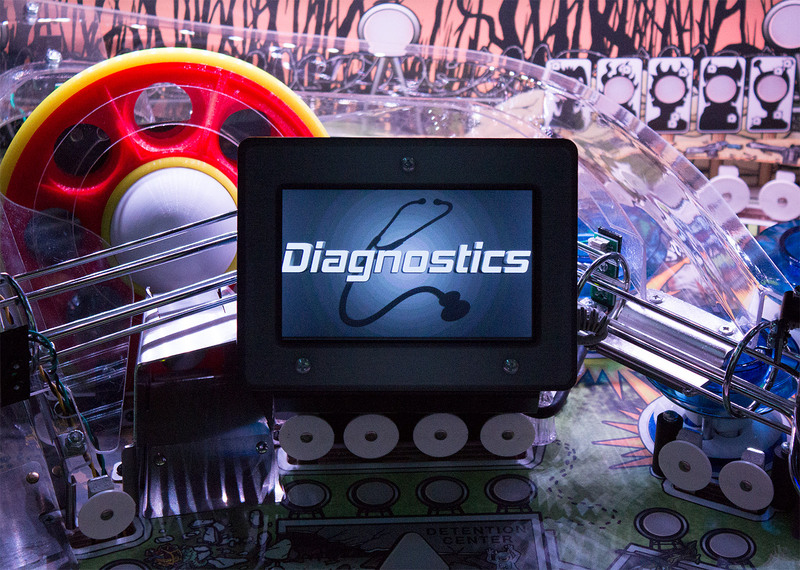 Diagnostics is one of the options on the game selections screen, and it provides you with a good range of tests for the main switches, solenoids and LEDs, as well as audit information. 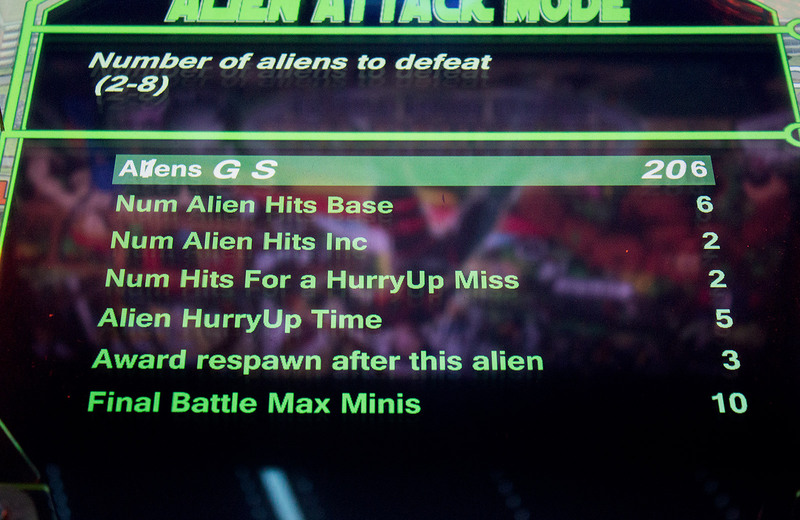 In most of the menus the currently installed upper playfield module is shown in the top left of the screen, although that is sometimes covered by menu backgrounds. 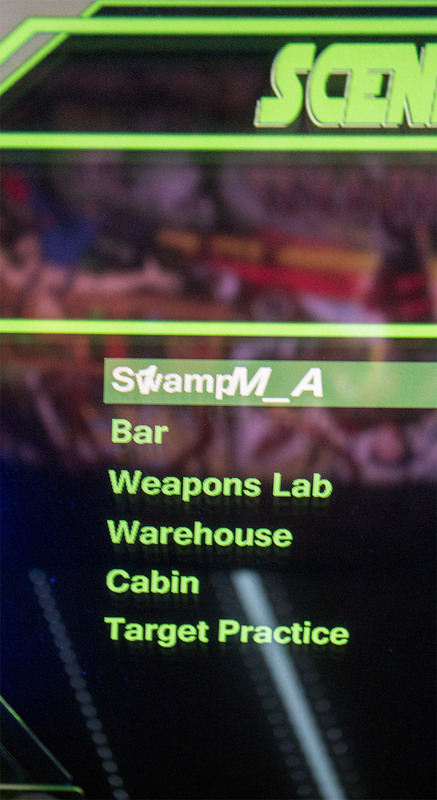 When you enter the Diagnostics menu there are multiple selections to make changes to the way the game plays as well as some more basic controls and a set of debugging utilities. 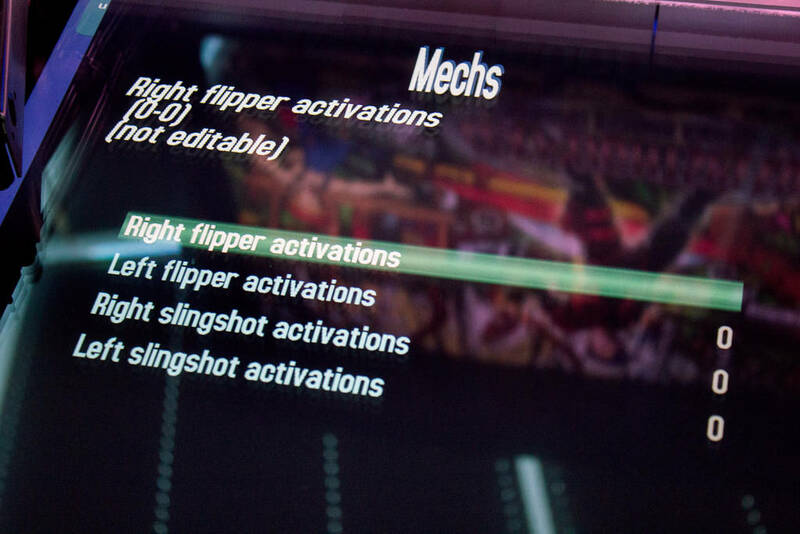 In all the menus, the flipper buttons and the start & launch buttons being used to make selections and change settings, with the buttons’ functions adapting to the menu chosen. Maybe it was just our unfamiliarity with the system but we found ourselves stabbing around at various buttons quite a lot to try to find which one did what we wanted. 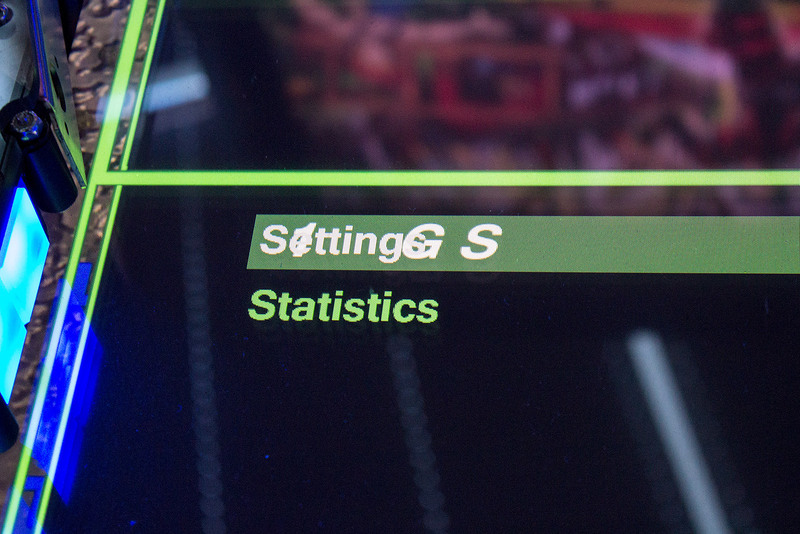 In the Debug menu you can test the hardware components of the P3. The switch test shows which switches are open and which are closed. 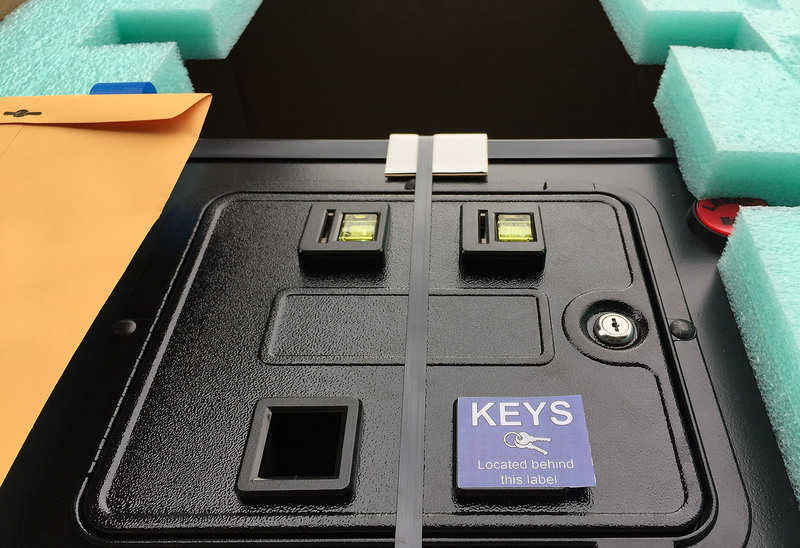 The first 64 switches are for the P3 – the cabinet and main playfield – while switches 65 and above are for the upper playfield module. 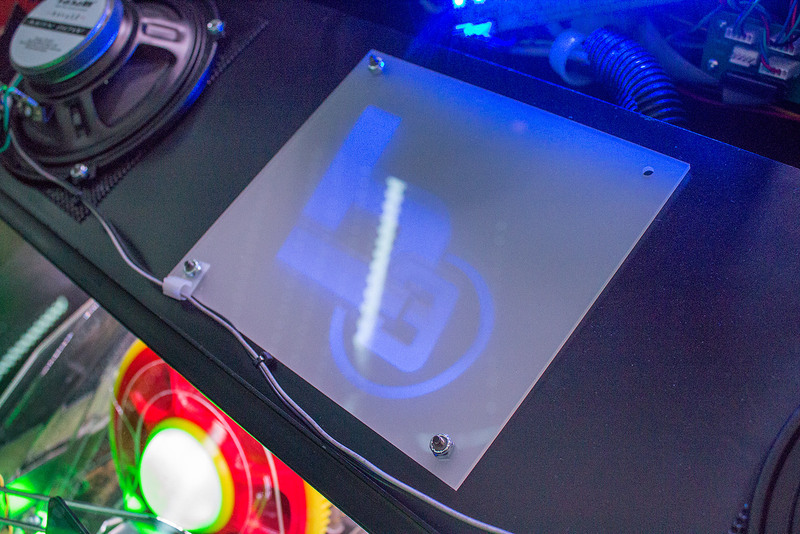 With all the playfield LEDs being RGB devices, there’s a comprehensive LED test screen too. 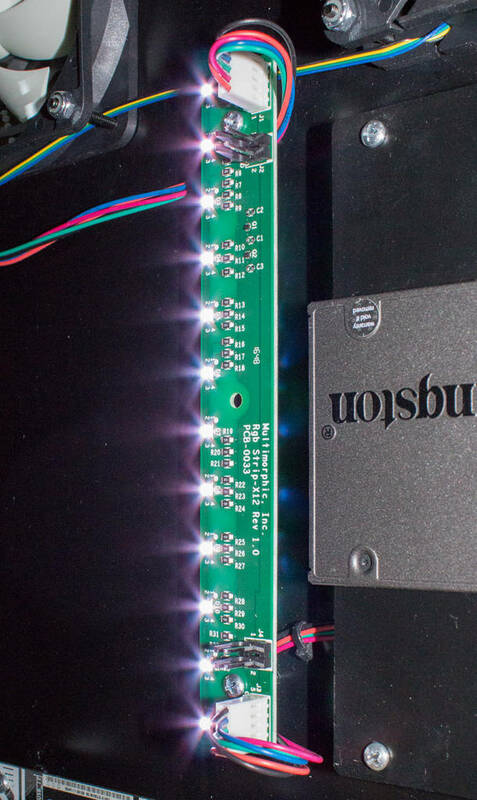 Each LED can be cycled through red, green, blue and white, with the corresponding colour shown on the screen. 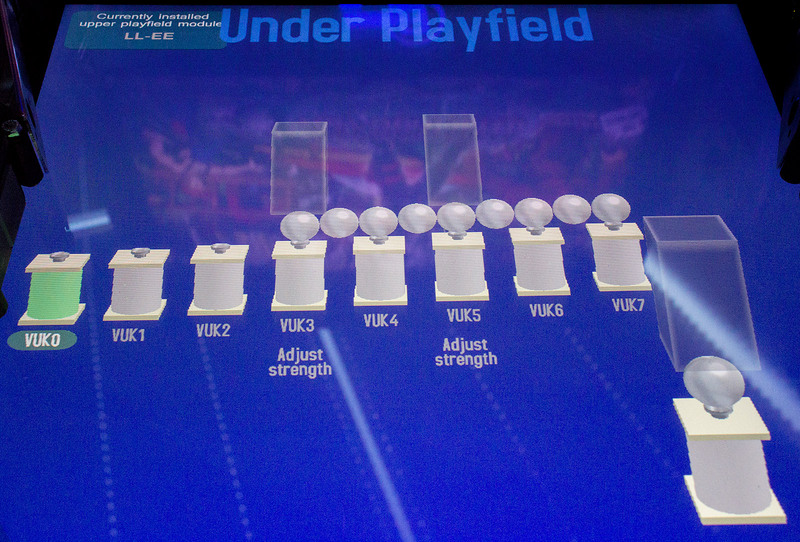 There is also a visual representation of the ball trough and upkicker arrangement. 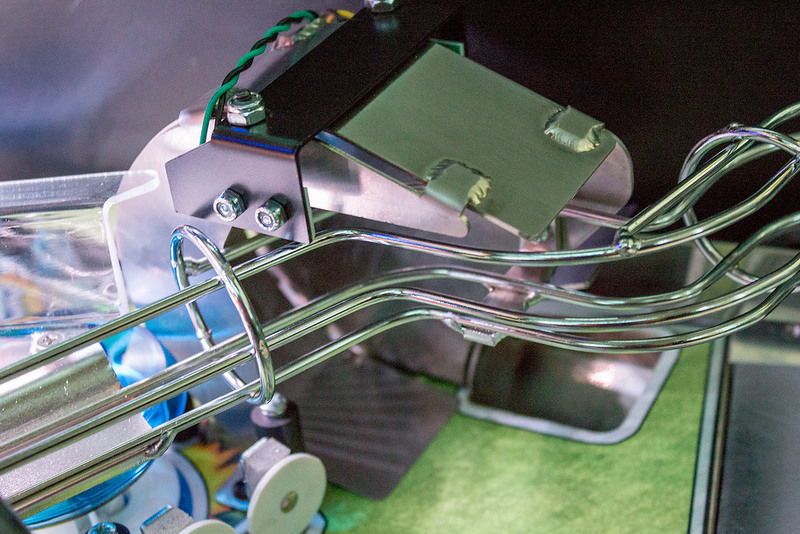 If – as in the example above – the left-most vertical upkicker (VUK) wireform sits above solenoid #3, that’s as far as the balls are allowed to roll. 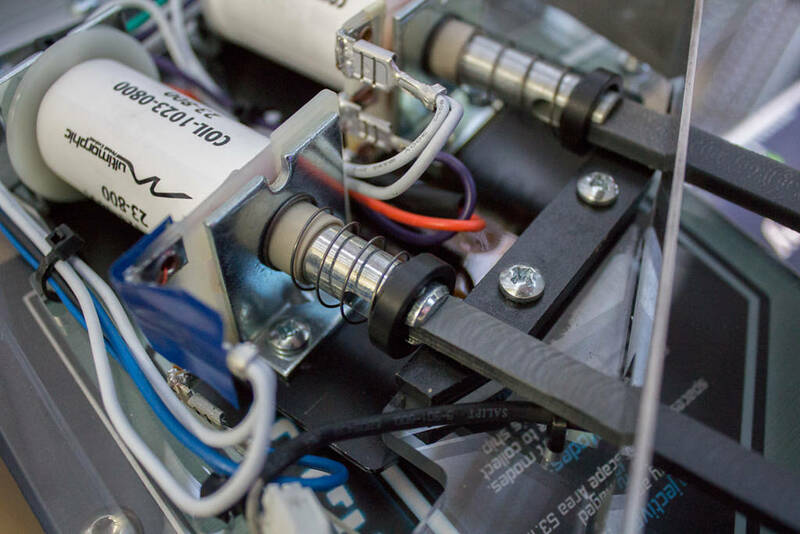 Similarly, only VUK solenoids #3 and #5 are used when this playfield module is installed, although different upper playfield modules could use other or additional upkicker positions. 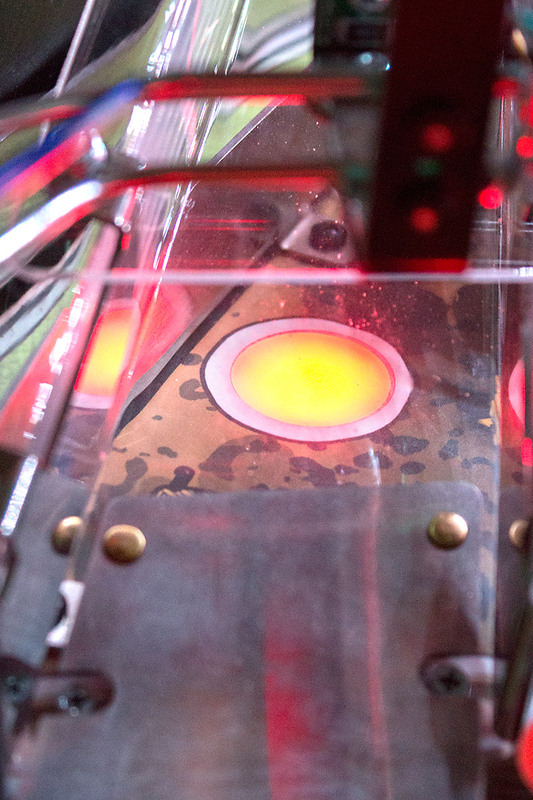 We talked earlier about the grid of infra-red LEDs which are used to track the ball’s movement. 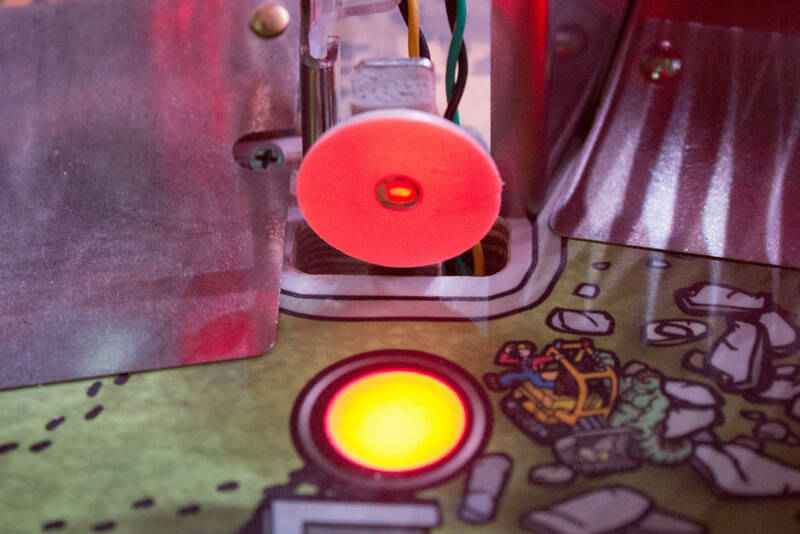 You can also check this is functioning correctly in the Ball Tracking test by moving your finger across the playfield and seeing how the IR beams are broken. 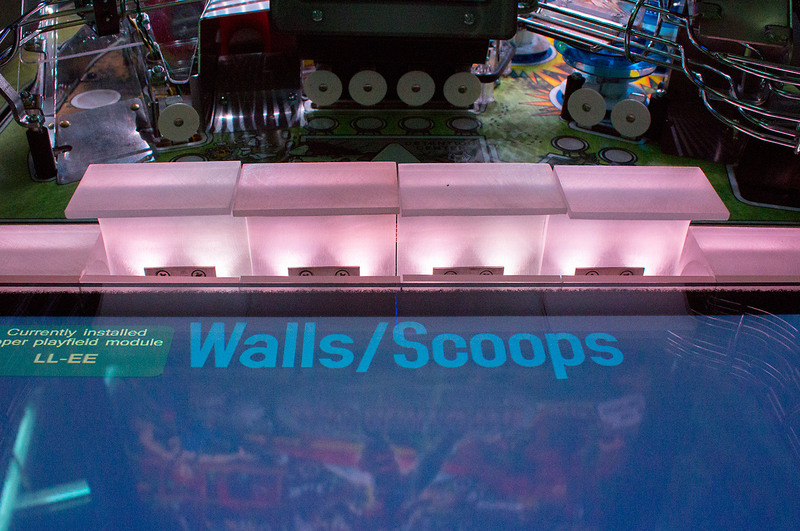 You can also test each of the six walls and six scoops to make sure they pop up and drop down correctly. 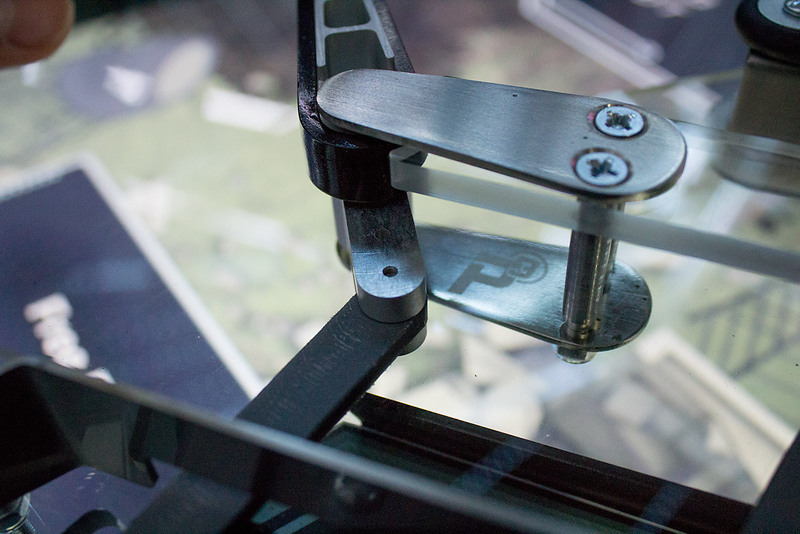 The General menu gives details and settings for the most basic elements of the P3. 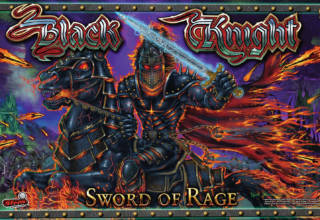 Unfortunately, this version of software had a tendency to continue showing parts of the high score tables over the top of some menus. It was only a display issue, but it could make some of our pictures a little confusing if you didn’t realise what it was showing. Choosing Statistics gave you a number of non-changeable game details. In the Settings menus you can adjust the basics, such as the number of players, number of balls per game, whether you can remove players once the game has begun, whether there is a temporary ball saver or not, and so on. The software can also look for cheaters! 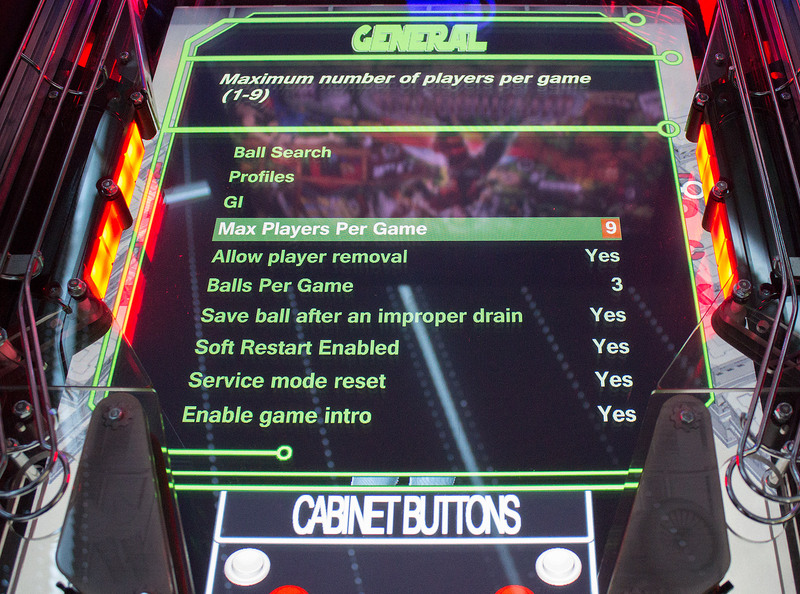 Many of the game’s multiballs and other features can be tweaked to your personal preference. Then there are the mode-specific adjustments which control how each of the scene modes started at the Command Center scoop work. We won’t go into all the options. 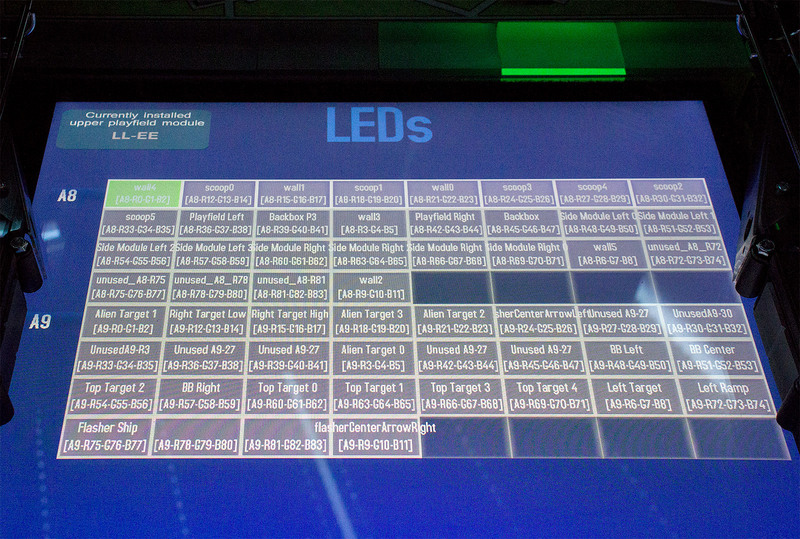 but each mode has a page of settings including varying the number of shots needed and the time available. And that brings us to the end of our look at the P3‘s hardware and software. 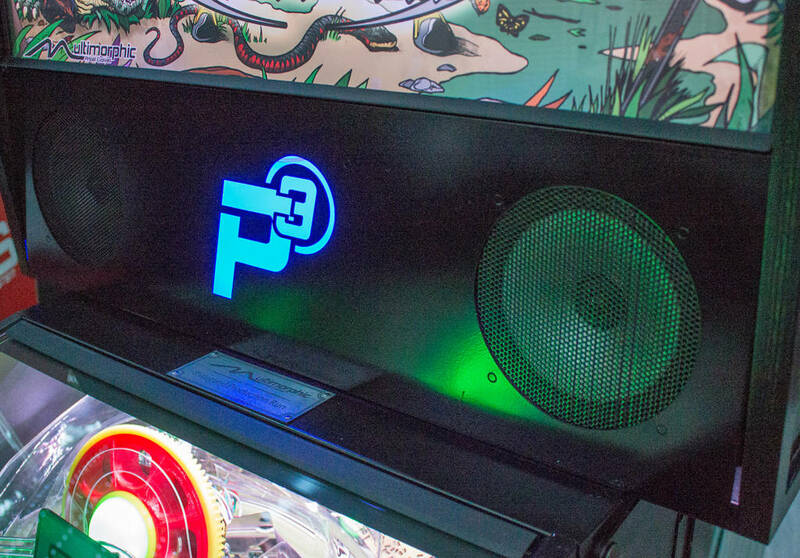 The P3 is certainly a different type of pinball game aimed at overcoming a number of specific problems with traditional pinball ownership, namely cost, space and lack of innovation. Owning half-a-dozen new games is a major investment these days. 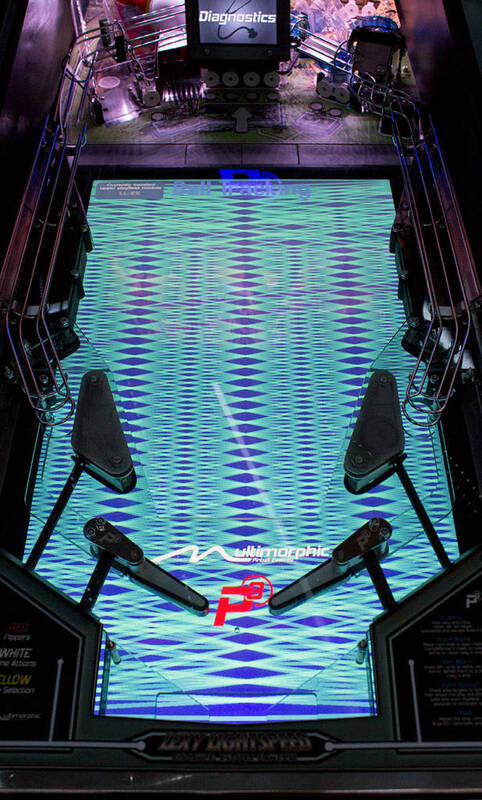 Purchasing one P3 with a number of games installed and a few upper playfield modules is much more cost-effective, even if the initial outlay is close to $10,000 for the base system with the Lexy Lightspeed game and module. Having a single base cabinet and a few upper playfield modules also takes up a lot less space than six full-size machines. Both these arguments in favour of the P3‘s modular approach work well in certain circumstances where both space and costs are major issues. Of course, this solution only provides a single playable machine, so it’s not good if you have multiple players all wanting to play games simultaneously. 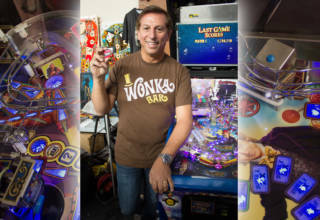 When it comes to innovation, pinball manufacturers have generally been hugely Luddite in embracing the kind of technology which has become mainstream in other consumer products. 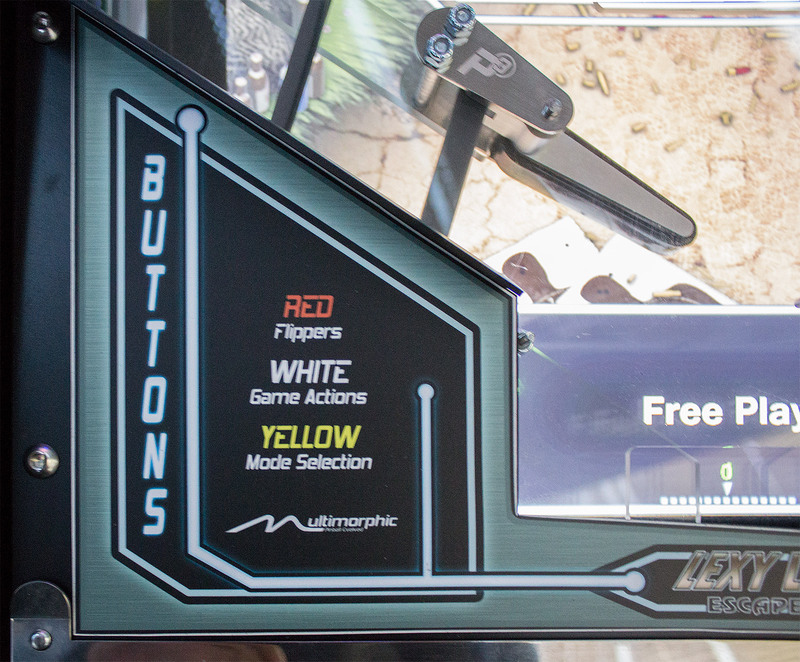 Large and multiple displays have only recently appeared in pinballs, while features such as Bluetooth, AR, in-game playfield cameras, social interaction and game personalisation are still almost nowhere to be found. 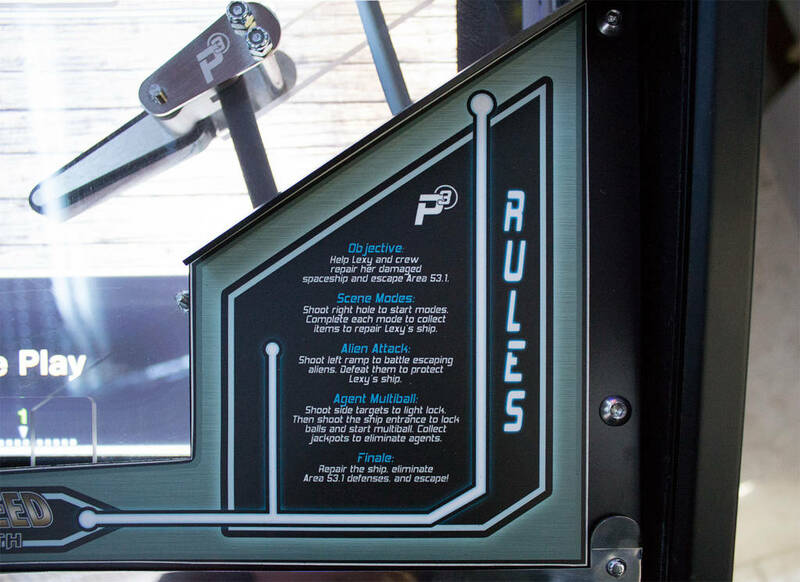 The P3 has made strides in this area by using dynamic playfield artwork and virtual targets through its ball-tracking system, but clever as it is, large LCD displays and touch-screen panels in all shapes and sizes are ubiquitous and cheap, so having debuted this technology nearly six years ago it no longer has the same wow-factor it once had. It also feels like the currently-available games have only scratched the surface of what should be possible using the ball tracking and the dynamic artwork. 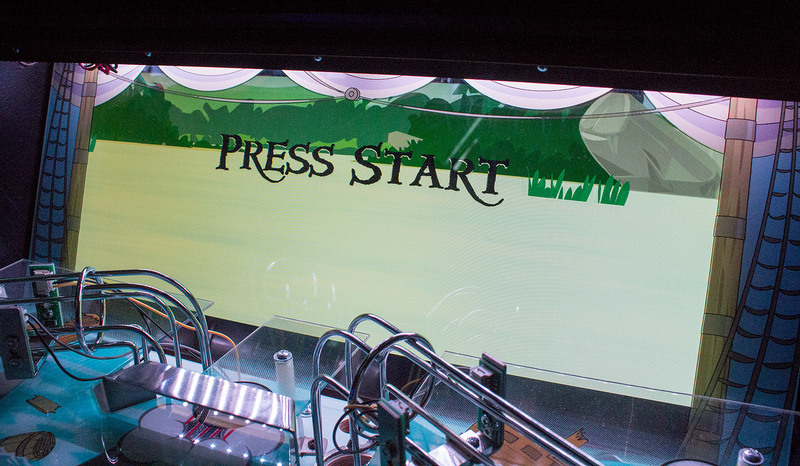 The game could react a lot more to the ball’s trajectory and movement, both visually on the display and in the audio and lighting cues. 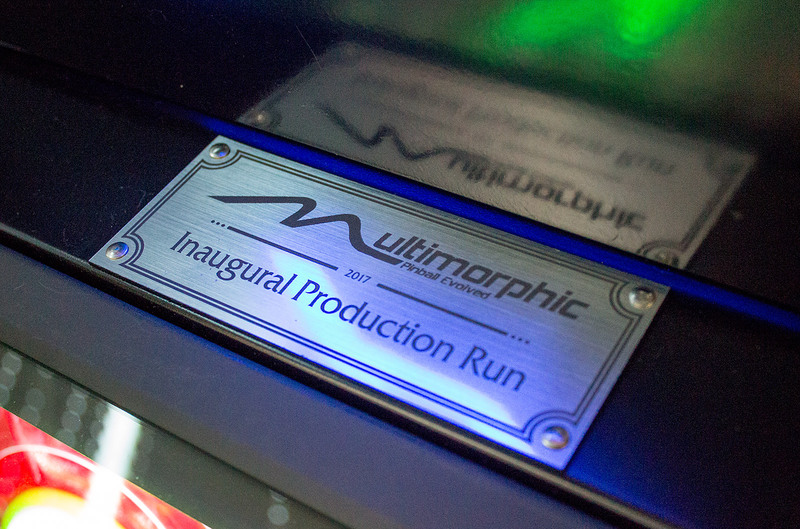 Meanwhile, Multimorphic has had to tread a fine line between the P3 being viewed as just another a video pinball (and an expensive one at that), and falling back into building a safer, more marketable, more conventional design of mechanical game. They have tried to keep one foot in both camps by changing the design of the P3 significantly in those past six years. 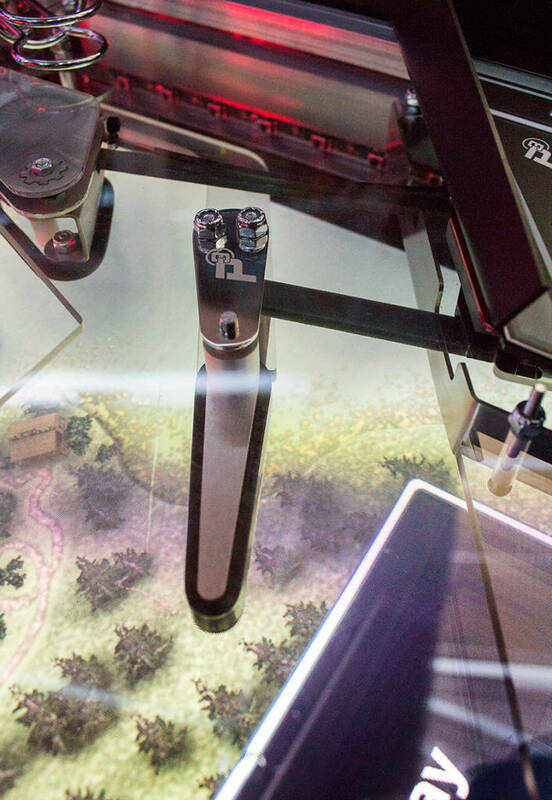 The video part has (literally) grown, with the smaller LCD panel of the original design – which only filled the space between the slingshots – replaced with a full-width, taller display extending into the flipper area. But as the video area grew, that original mechanical design enclosing it was seen as too restrictive to potential game designers. So, the upper part of the playfield was made modular to allow a greater variety of shots and toys to be added to better suit each game’s theme. 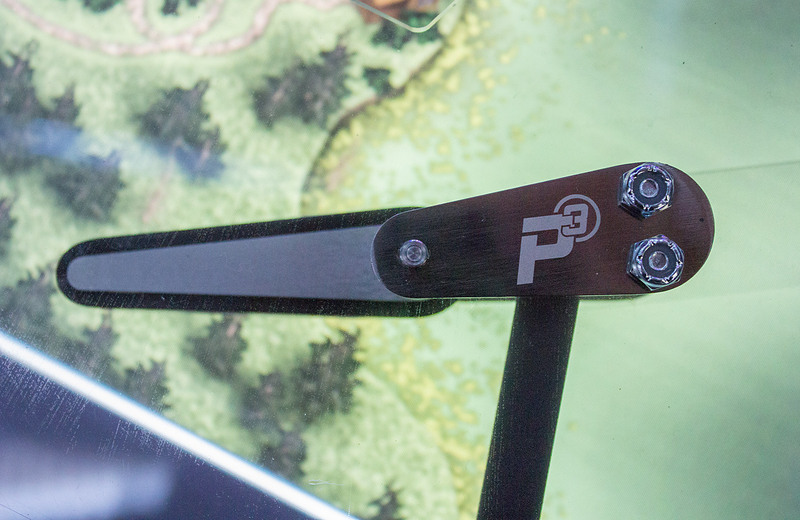 Ignoring all the technical bells and whistles, is the mechanical design of the P3‘s more permanent playfield a good one and a fun one to shoot? It’s not bad, but it does feel lacking in physical shots around the monitor area with just those side targets to hit. 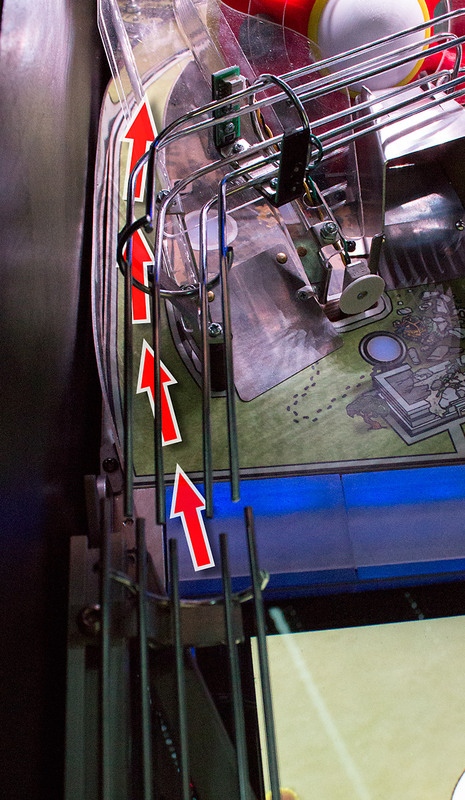 That pushes most of the useful shots up to the top part of the playfield, turning it into a ‘shooter’s game’. 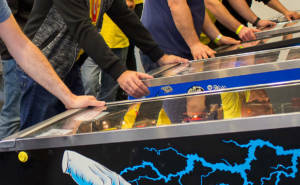 It looks like there could have been space behind those side targets for a curved lane like the Treasure lane on Pirates of the Caribbean (Stern) or the Spider Sense lane on Spider-Man which would create some more interesting shot possibilities without relying on the upper playfield module to have all the fun. Yes, there are the walls and scoops and the potential of unlimited virtual‌ targets on the screen, but these are generally only available at specific points in the game. The flippers do feel comfortable and consistent to use, and while the slingshots are a little less sensitive than we would expect, the overall feel of the game is familiar and robust. 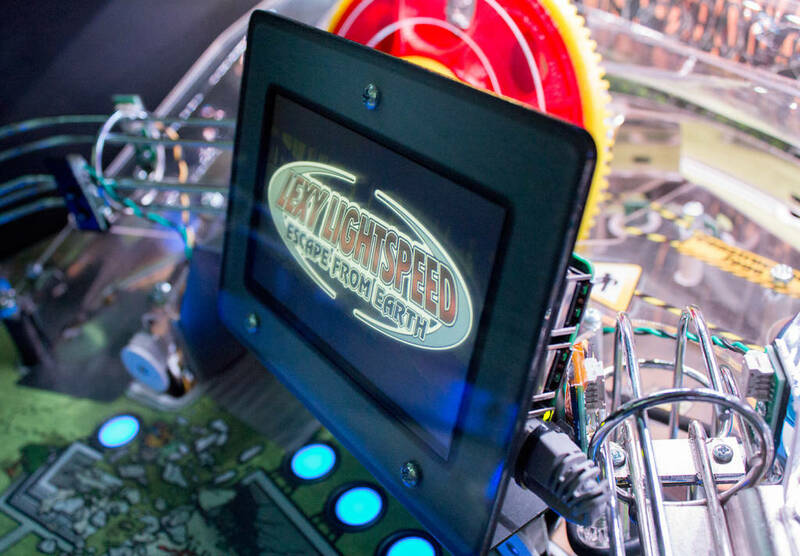 For the top section of the playfield it’s a bit of an unknown quantity, as who knows what features and shots future modules will give us? 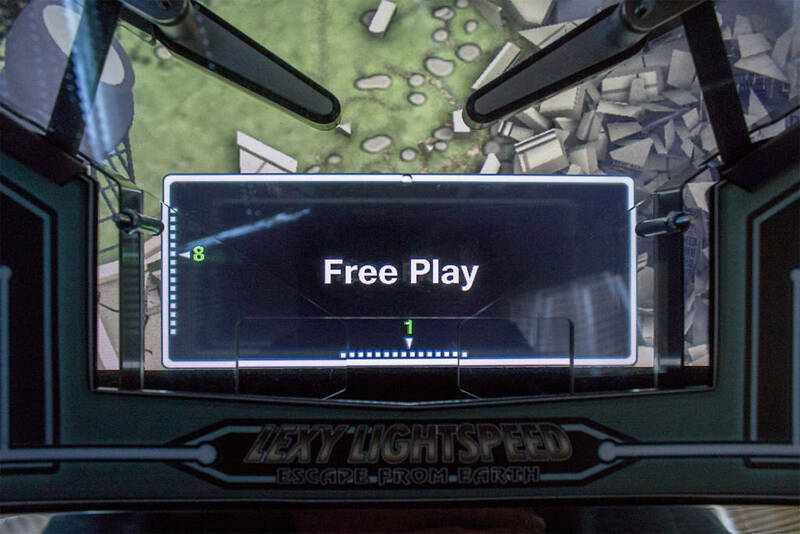 While it is quite a tight space in which to design, the Lexy Lightspeed playfield – the most populous module available at the time of writing – does manage to provide an impressive thirteen shots or targets, so there are plenty of possibilities. 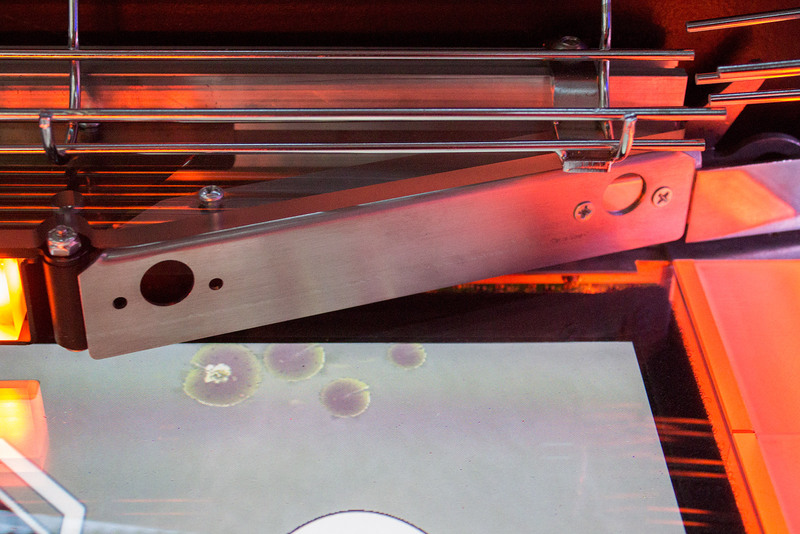 Getting the P3 into production is a major achievement. Yes, it has taken much longer than expected, but the path has been transparent with the progress and delays fully-explained to pre-orderers, avoiding all the uncertainty, speculation and heartache experienced by buyers of some other start-up titles. 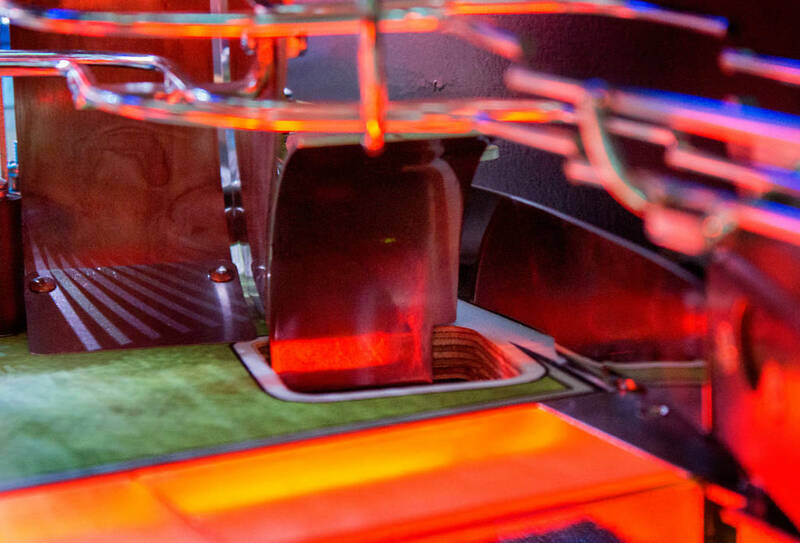 The resulting machine is a well-built, well-engineered product – possibly over-engineered in a few areas – which retains the heart and soul of mechanical pinball while providing an exciting platform for future games. The key is to get game developers making compelling P3 titles, and that requires a critical-mass of owners who will buy the games. 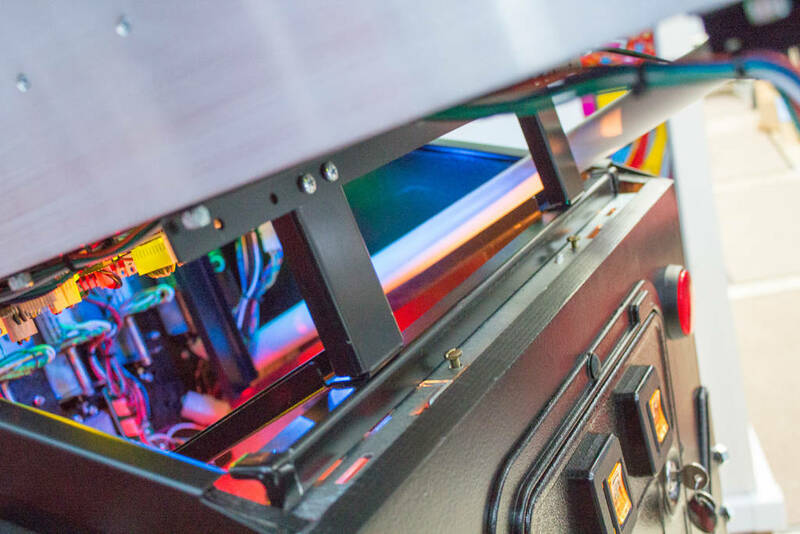 It’s a chicken-and-egg situation, and only time will tell whether the existing machines and their owners will be able to sell the concept of a modular pinball platform to the wider audience needed to make the system ownership more widespread. 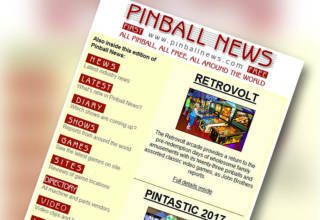 We hope you have enjoyed this latest Pinball News In-Depth Review. Thanks for reading it. With 10,000 words and 211 high-resolution pictures (don’t forget; all the pictures are clickable to see the full-resolution version) it’s certainly one of our longest and most comprehensive. 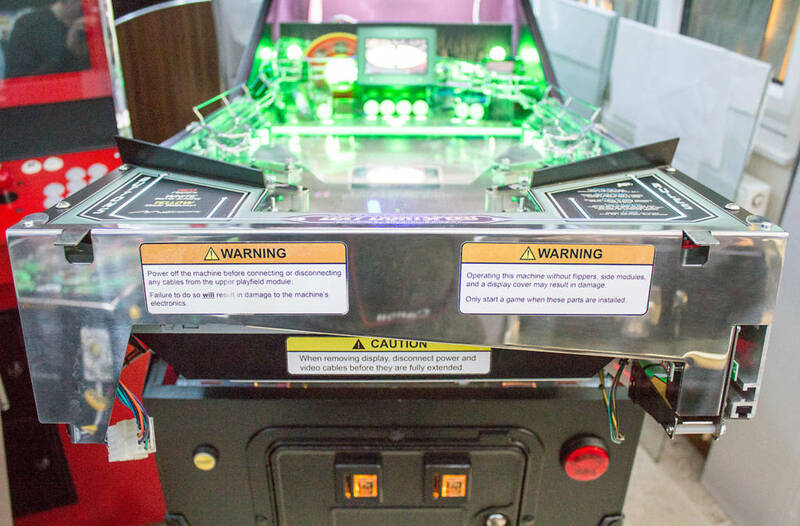 For more information you can check out Multimorphic’s channel on YouTube which includes instructional videos on swapping playfield modules, removing the playfield elements, ejecting all the balls, and more. 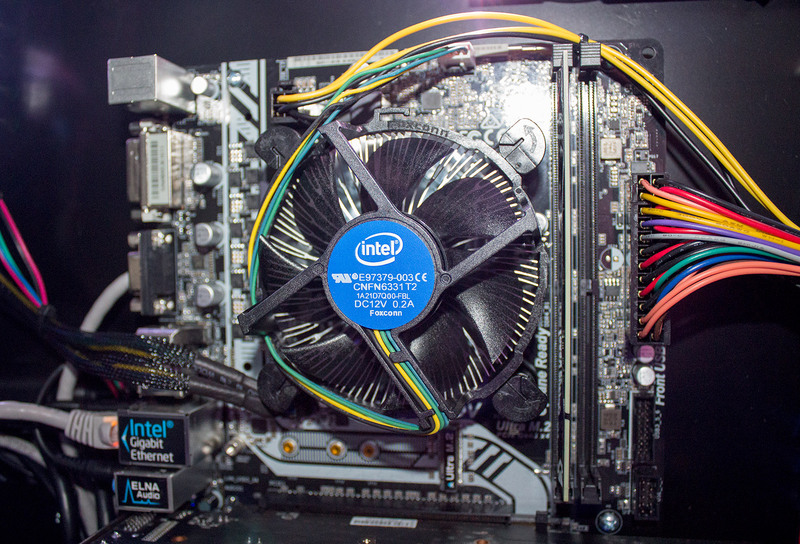 Finally, huge thanks to John Gilbody for the use of his P3 machine for this In-Depth Review. Great review. So much detail, excellent photos. Much appreciated! I’m a long time collector with around 60 pins. I’m Davidus56 on Pinside. I’ve had Lexi for about 2 weeks to play and I must have put 200 games on it. It is not easy and I keep coming back for ‘one more game’. That is what defines a great pin in my book. 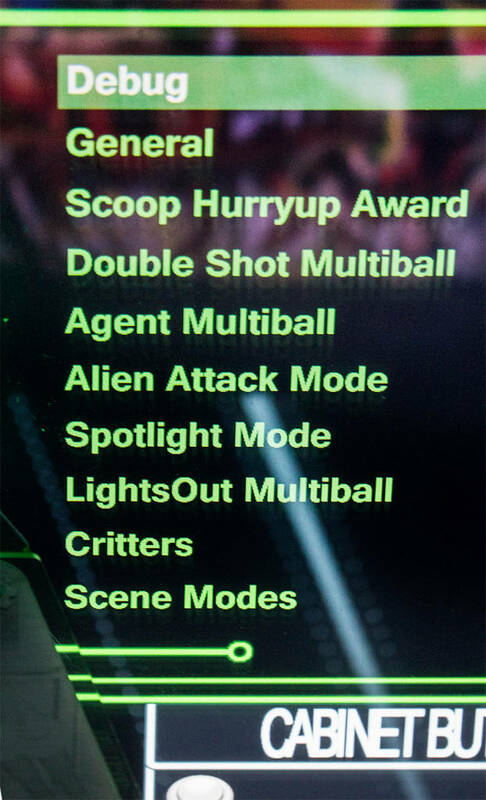 There are multiple modes, each with different goals and very specific shots (and clearly marked shots) required to advance. I have yet to beat the game. I’ve also tried the barnyard game and cannon game but they are really just for kids IMO. The two ramps are very hard to hit (at least for me). It is very satisfying when you hit the ramp shots because they are required to make the big points/advances. I actually think they are easier to hit backhanded. I wonder if that was planned… The software is extremely well done. The voice acting and animation are superb, and I do not believe the company has had a huge budget. Basically, I think they are enthusiasts with a heck of a lot of talent. I think they will go far. Anyway, I’m looking forward to adding a P3 to my collection. It is destined to be a classic. The only pin that draws me back like P3 is my Bram Stoker Dracula. But, it is easier. Great article, really want one of these! on location people will be unbolting the hinge lock bolts. thats not a good design.